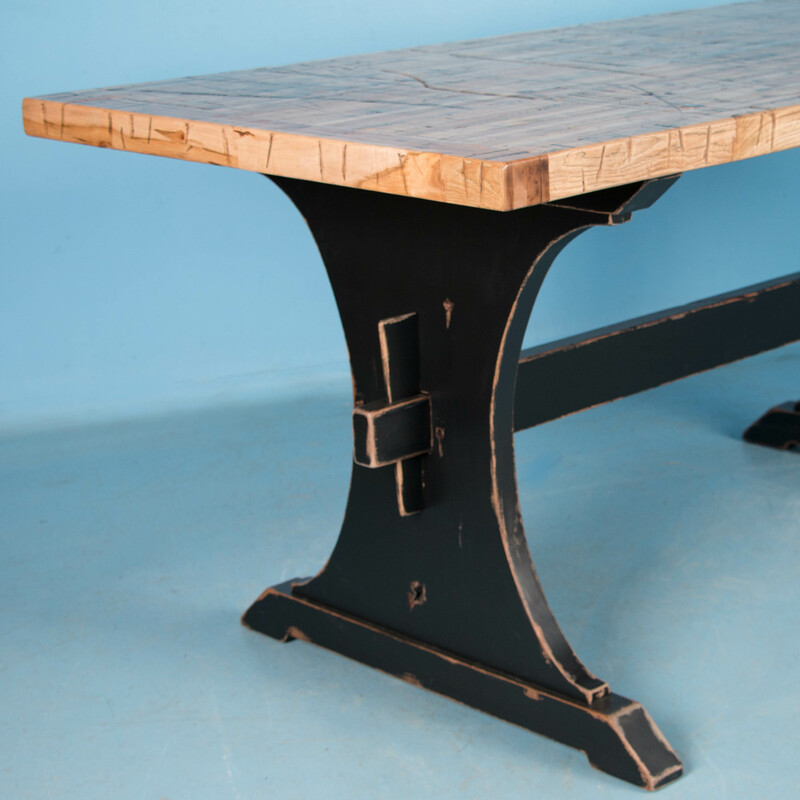 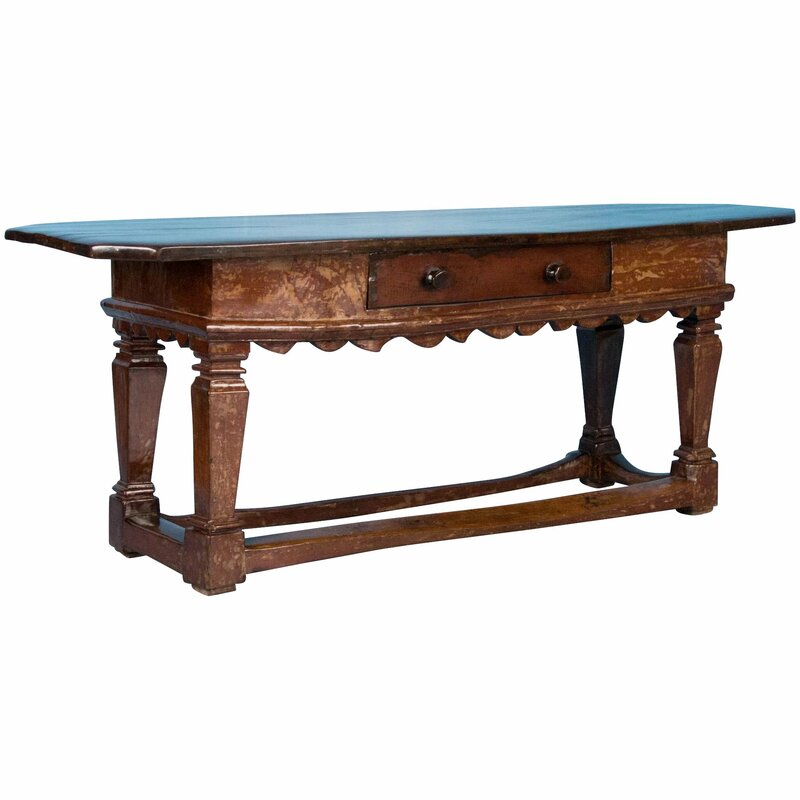 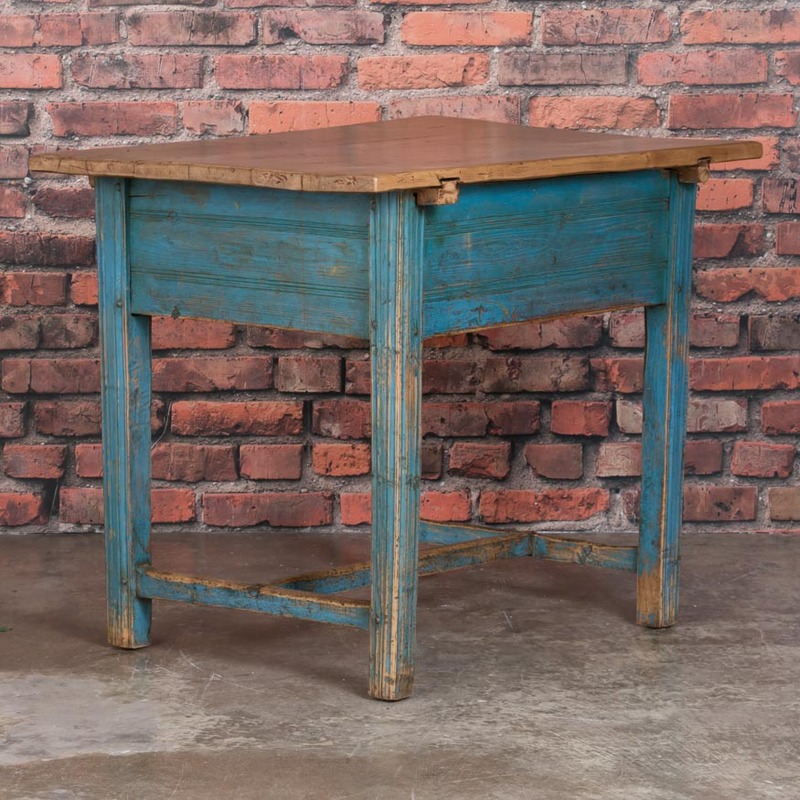 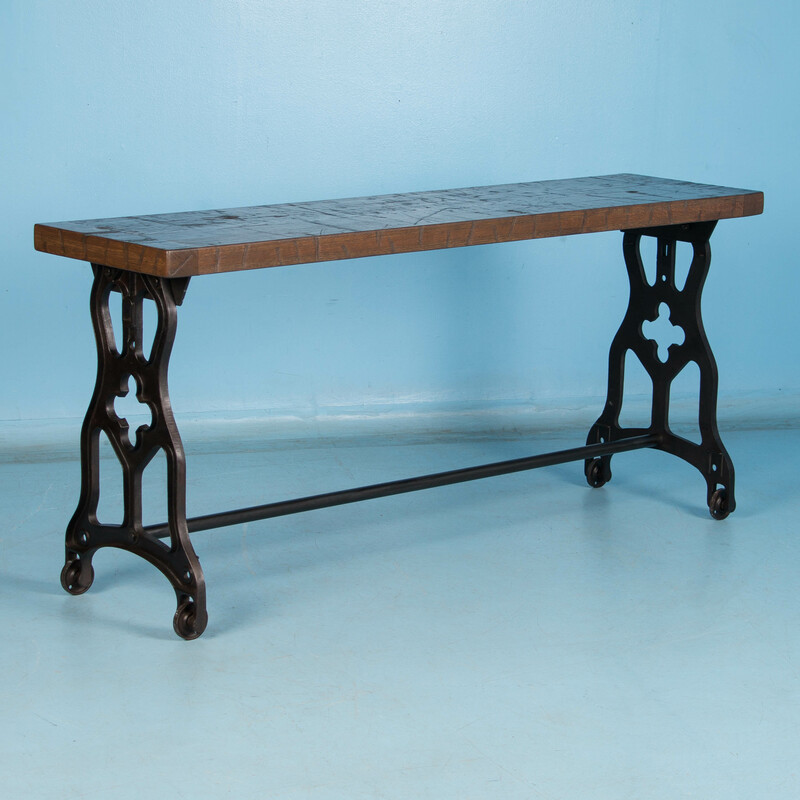 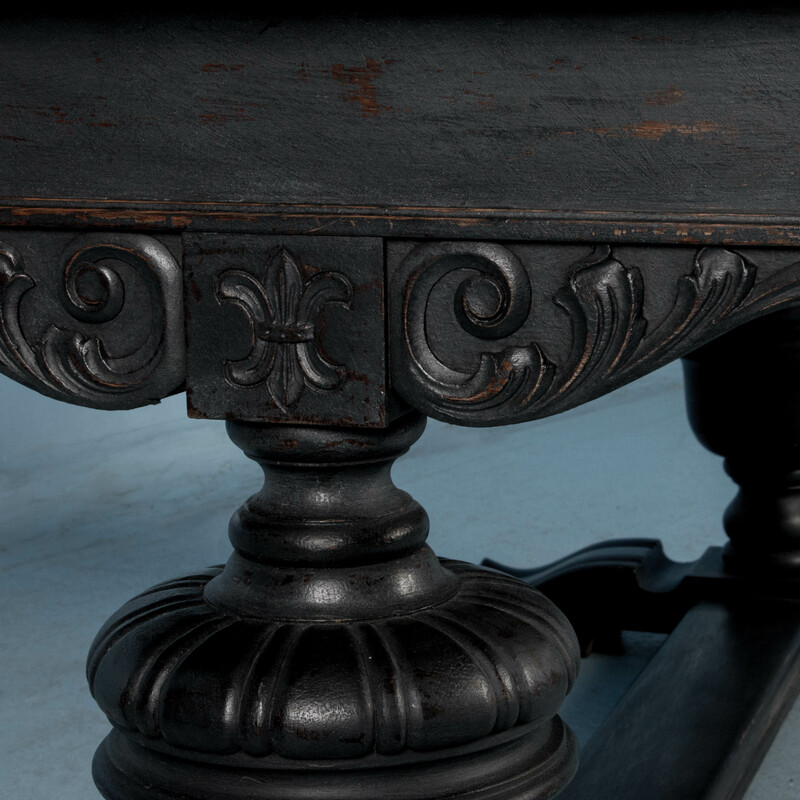 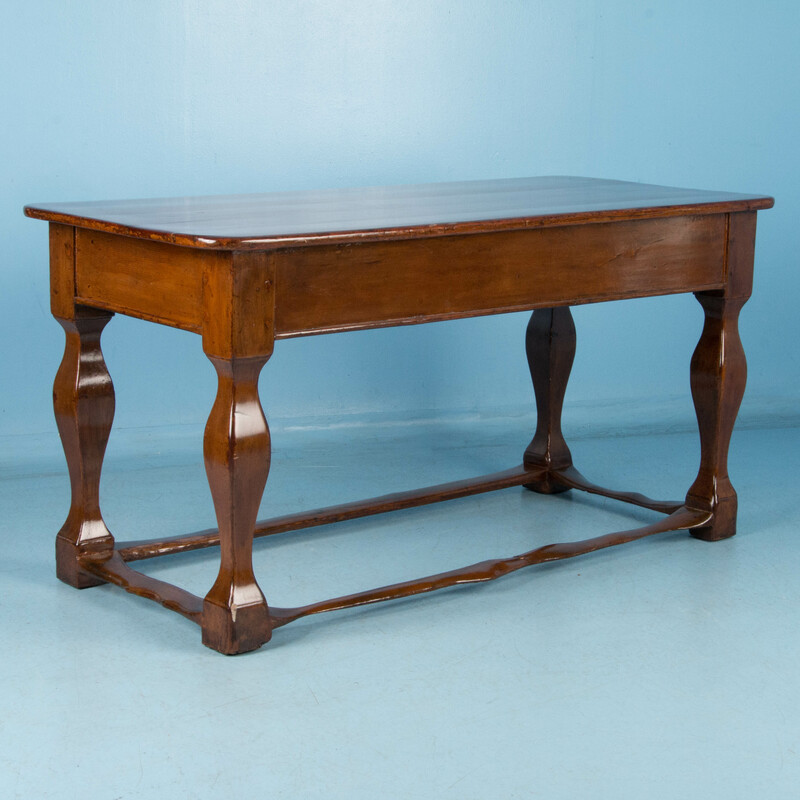 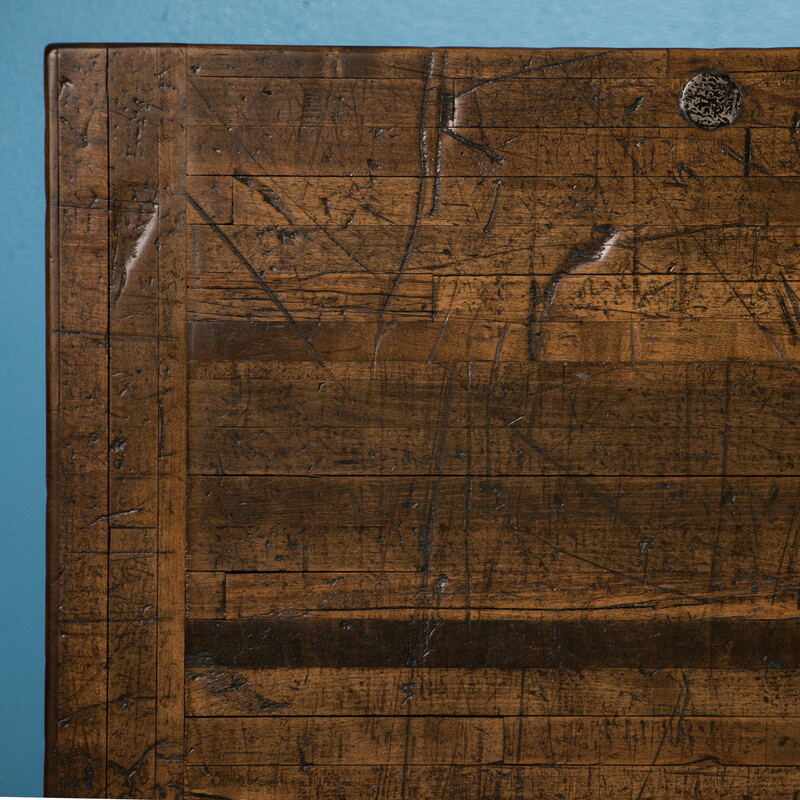 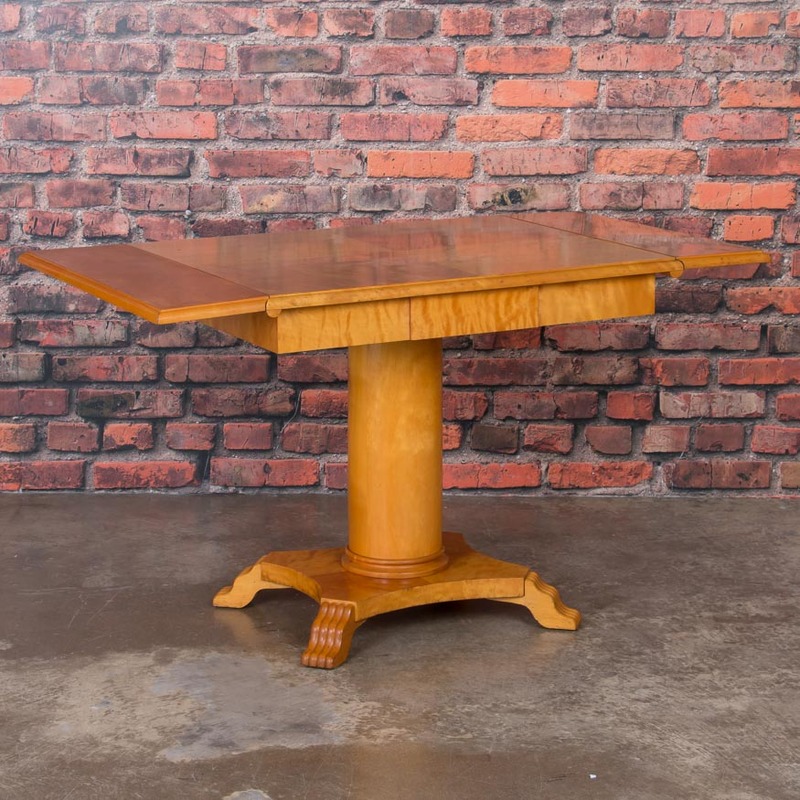 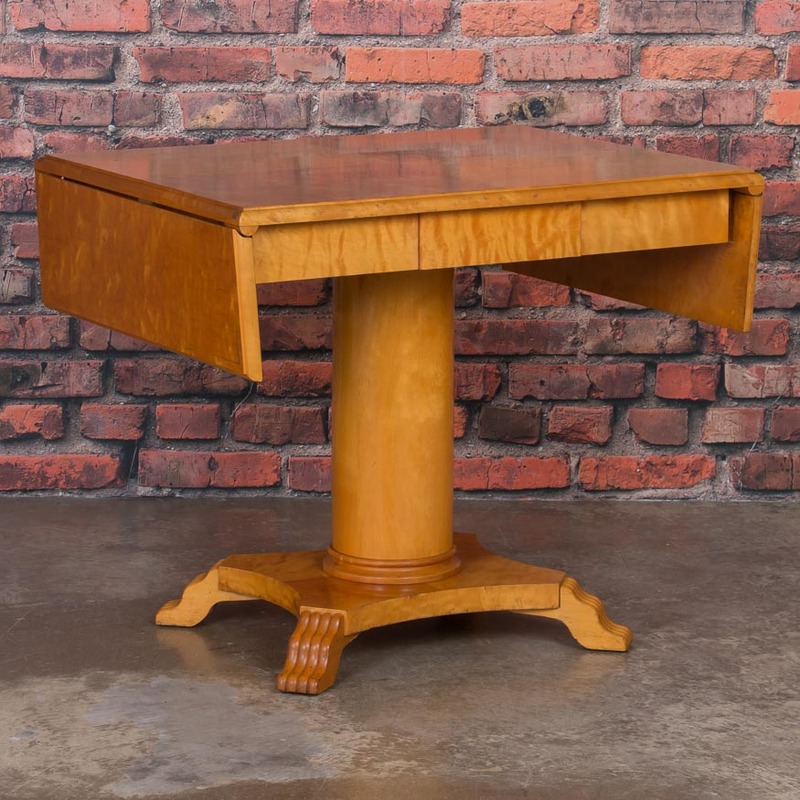 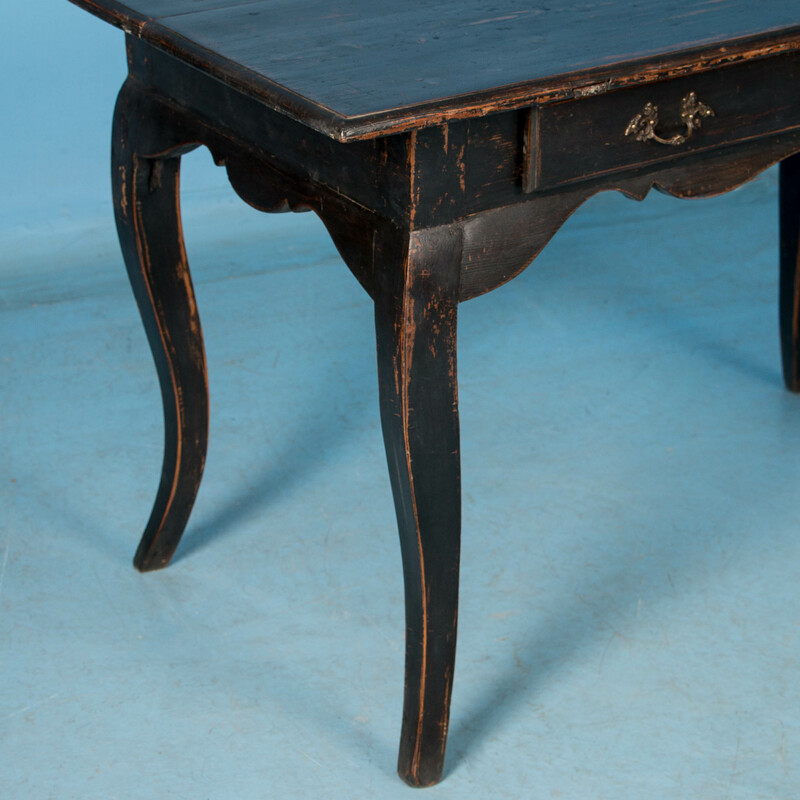 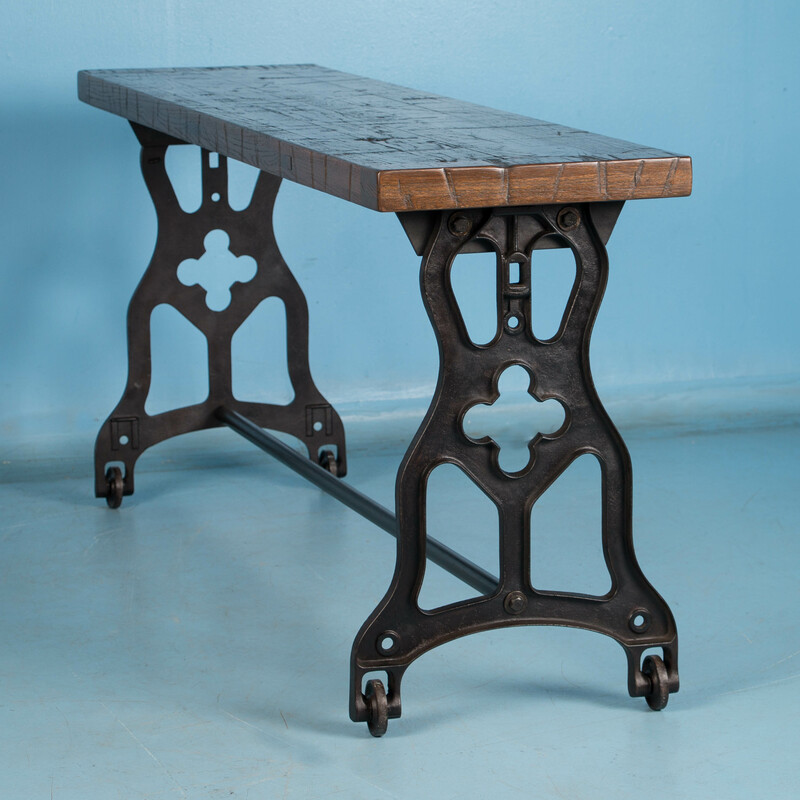 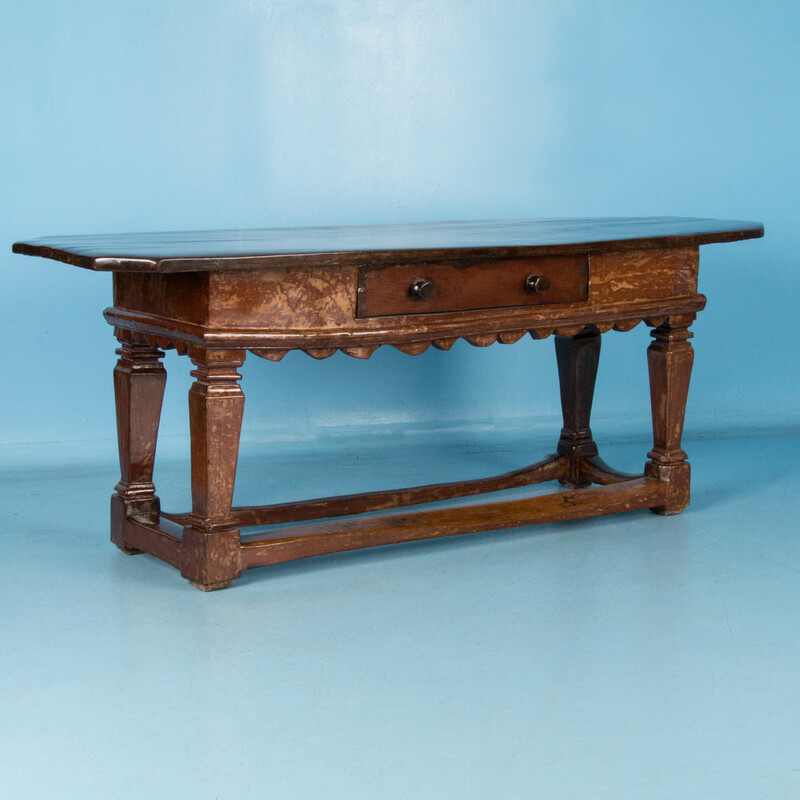 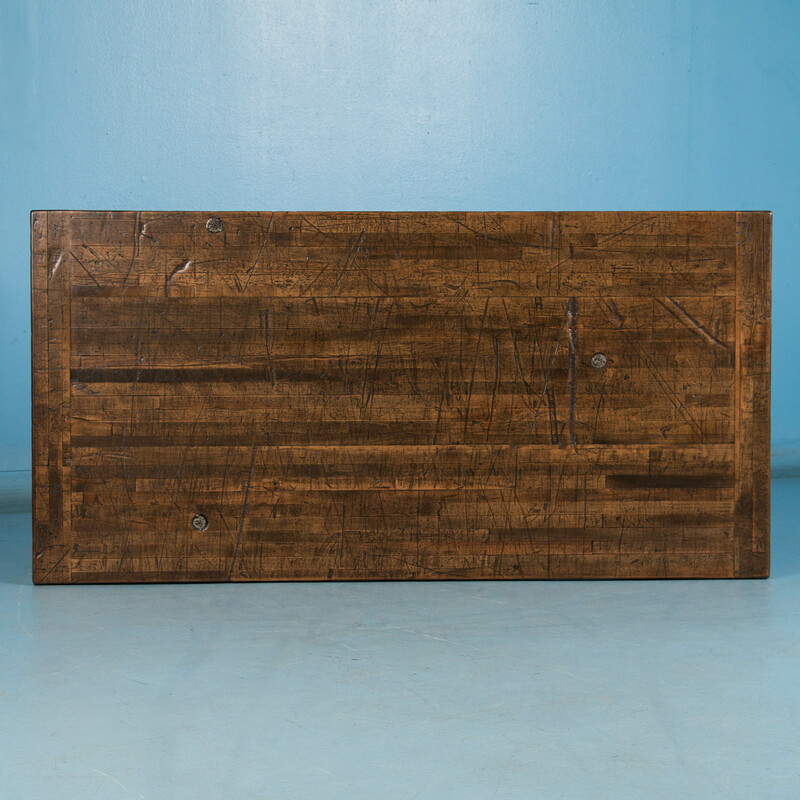 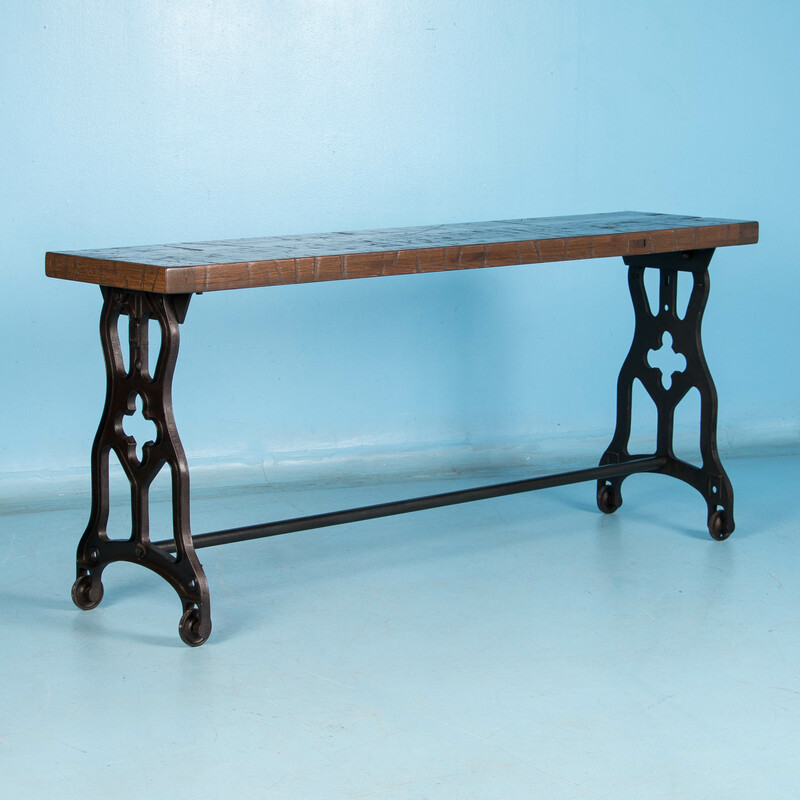 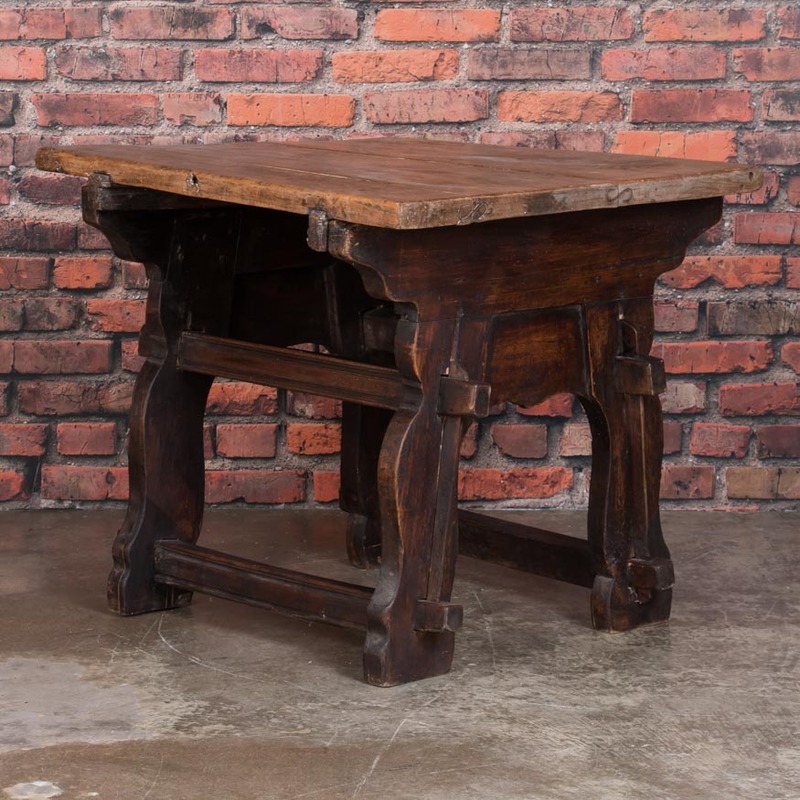 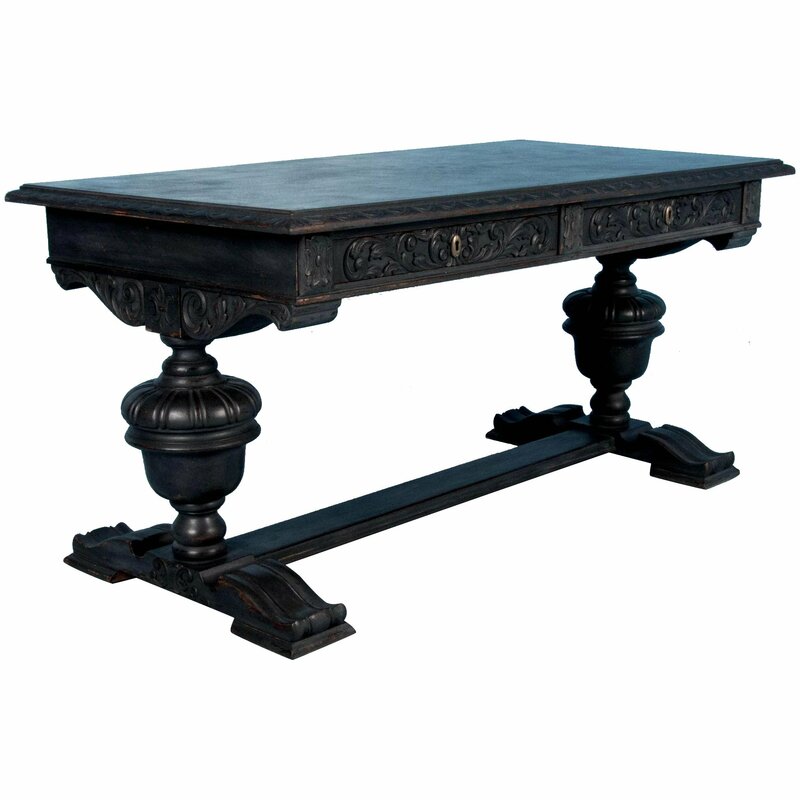 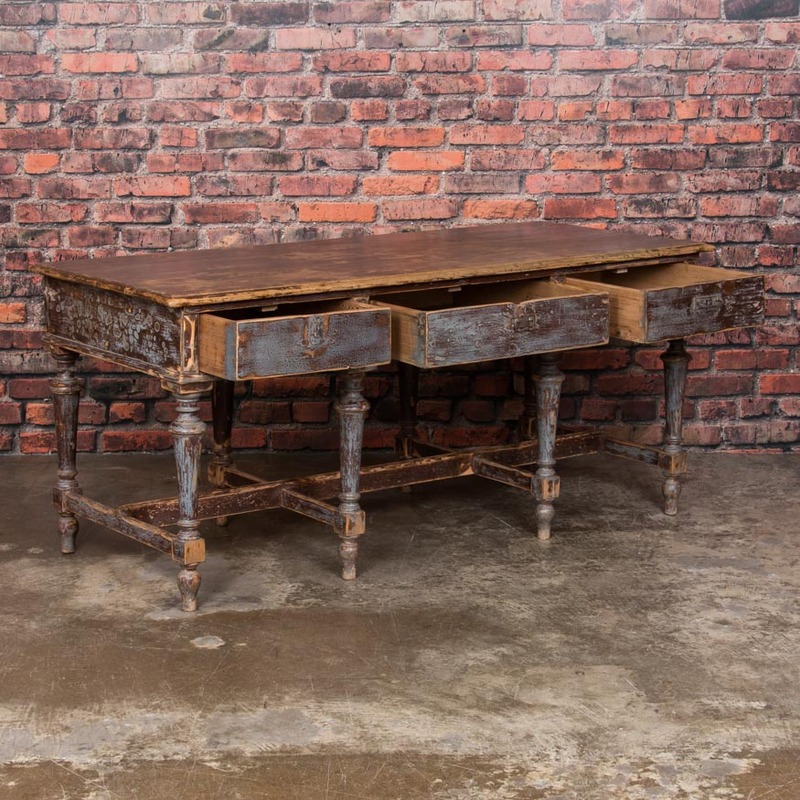 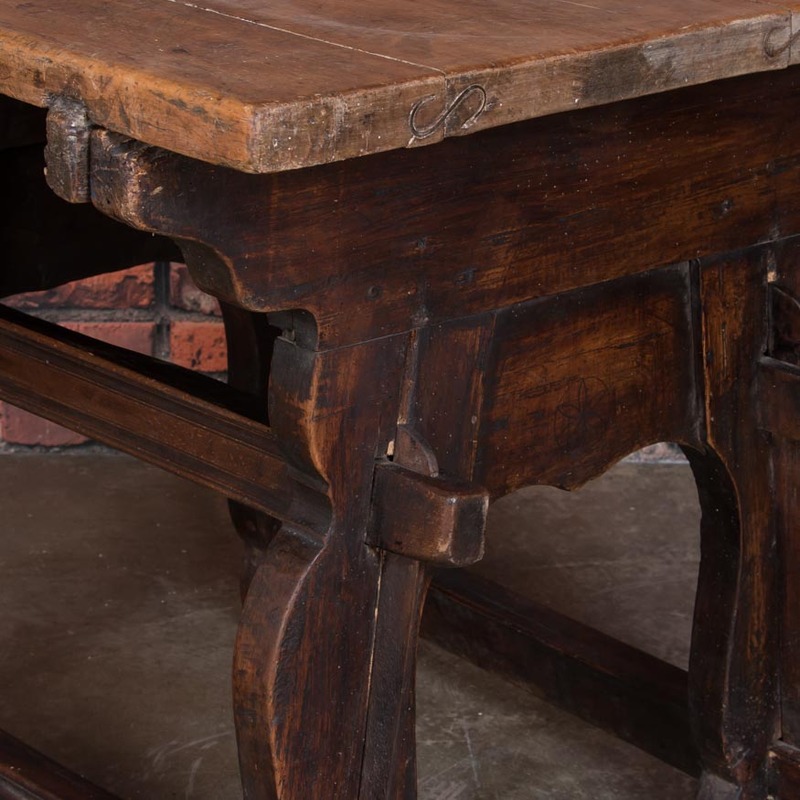 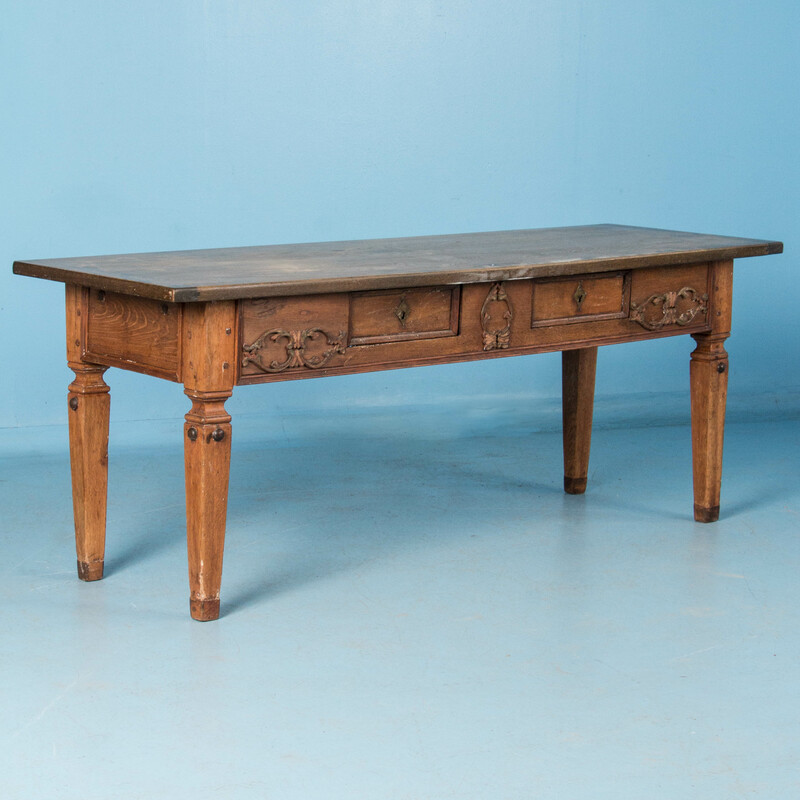 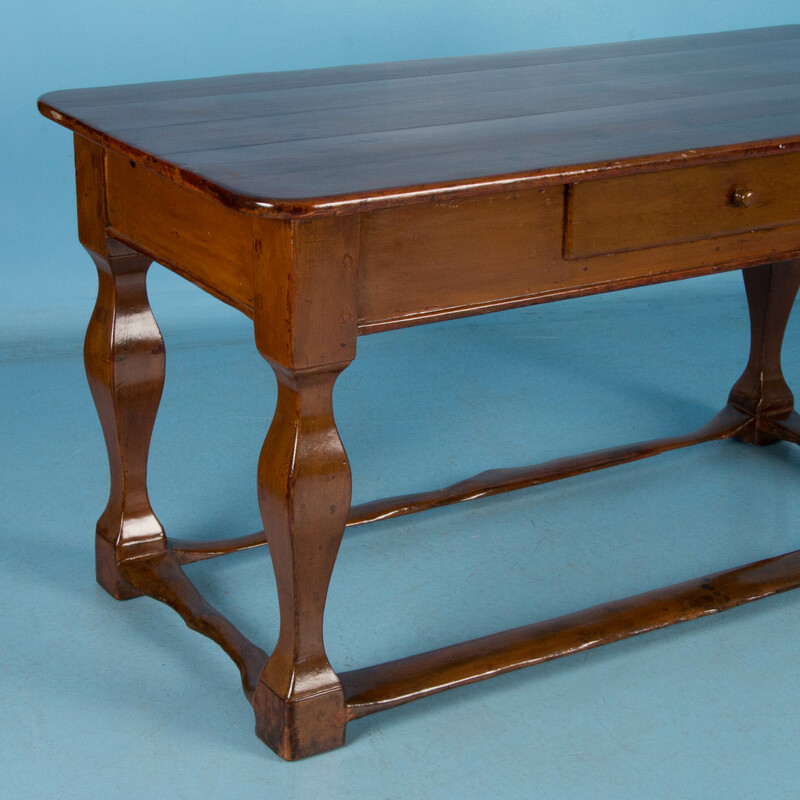 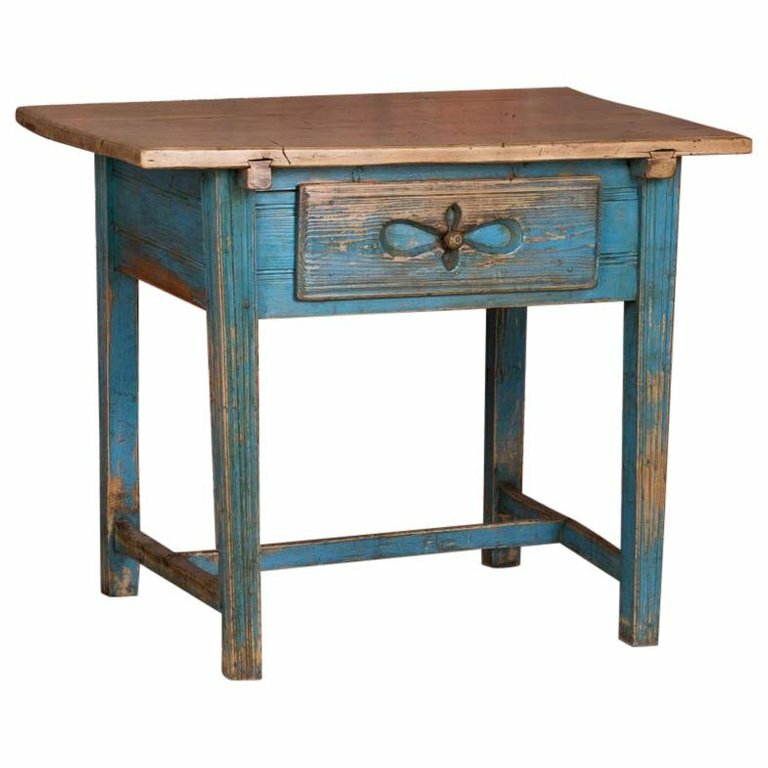 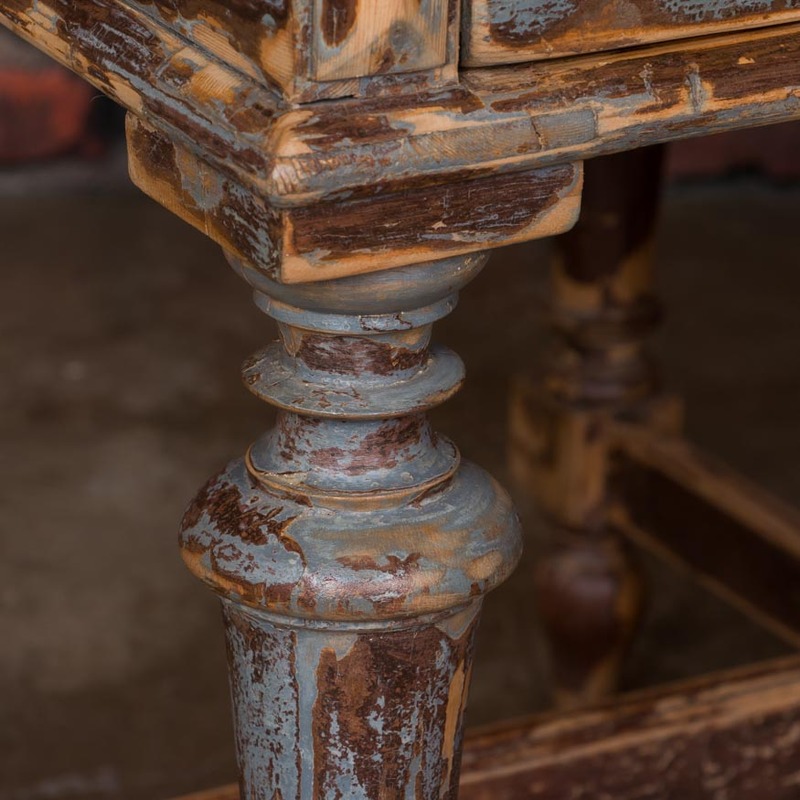 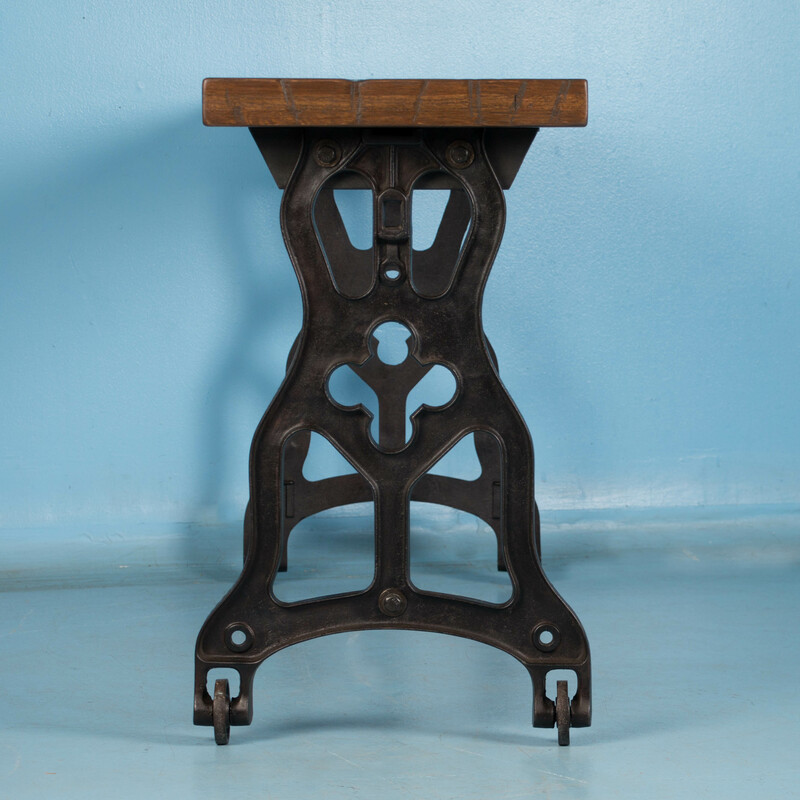 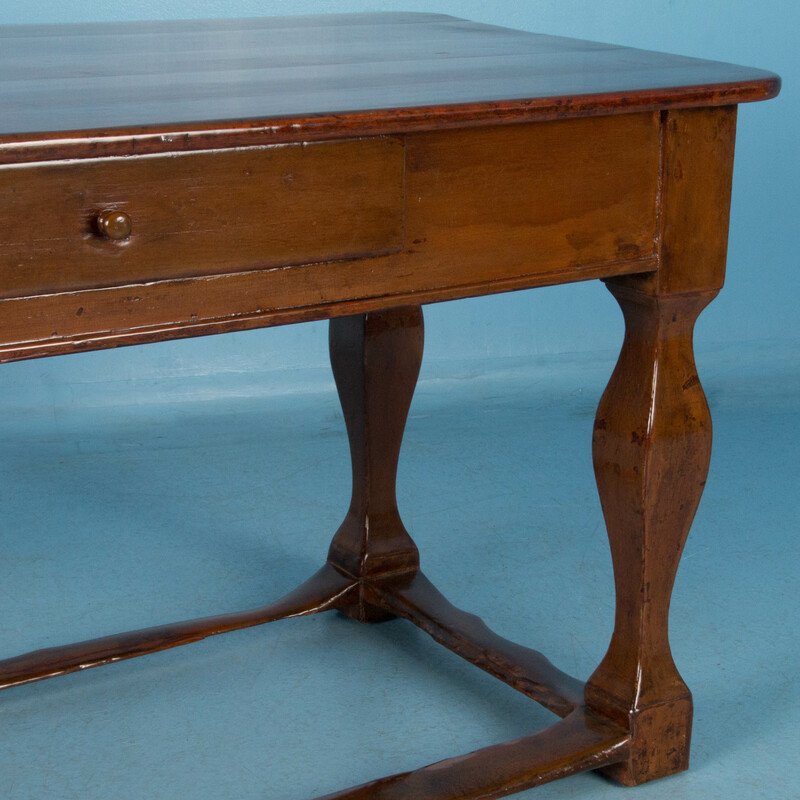 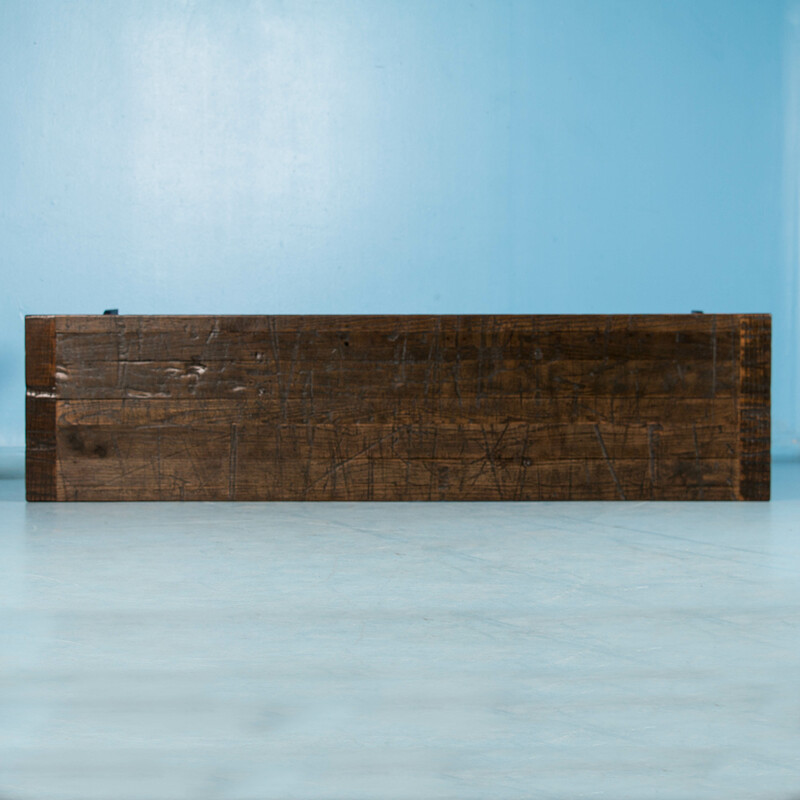 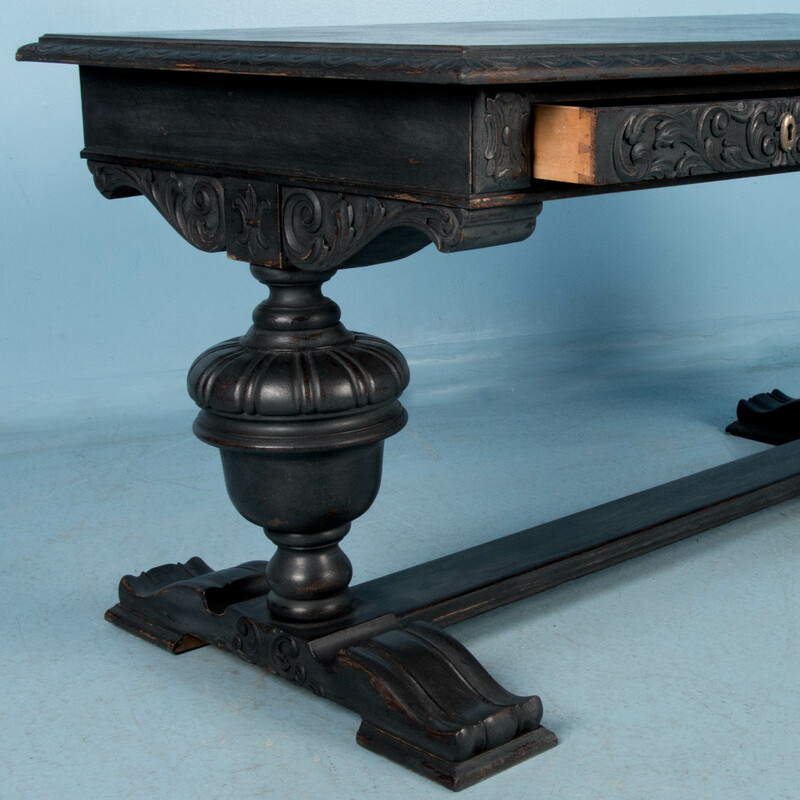 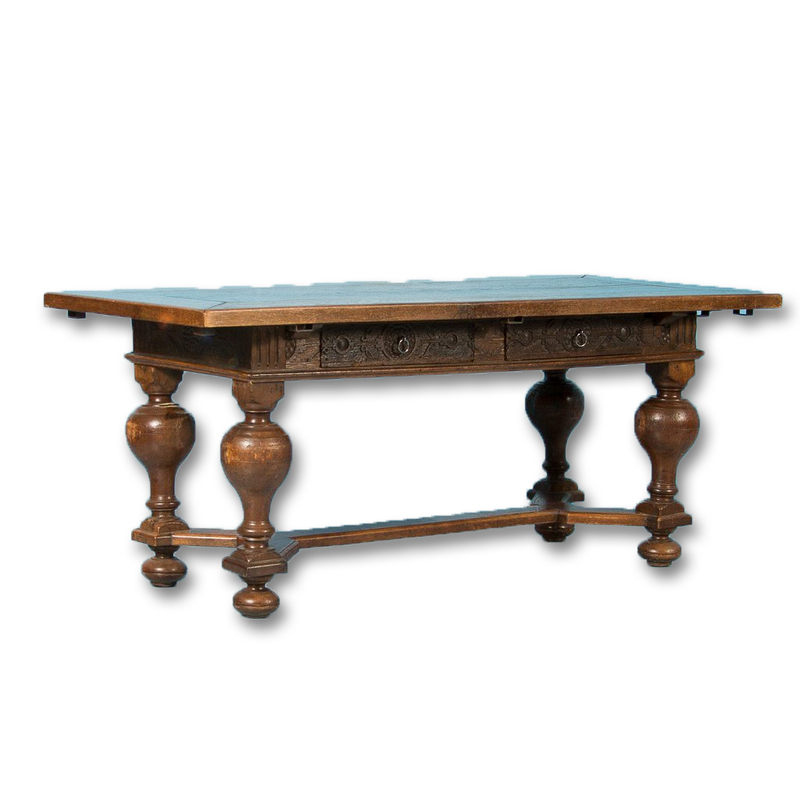 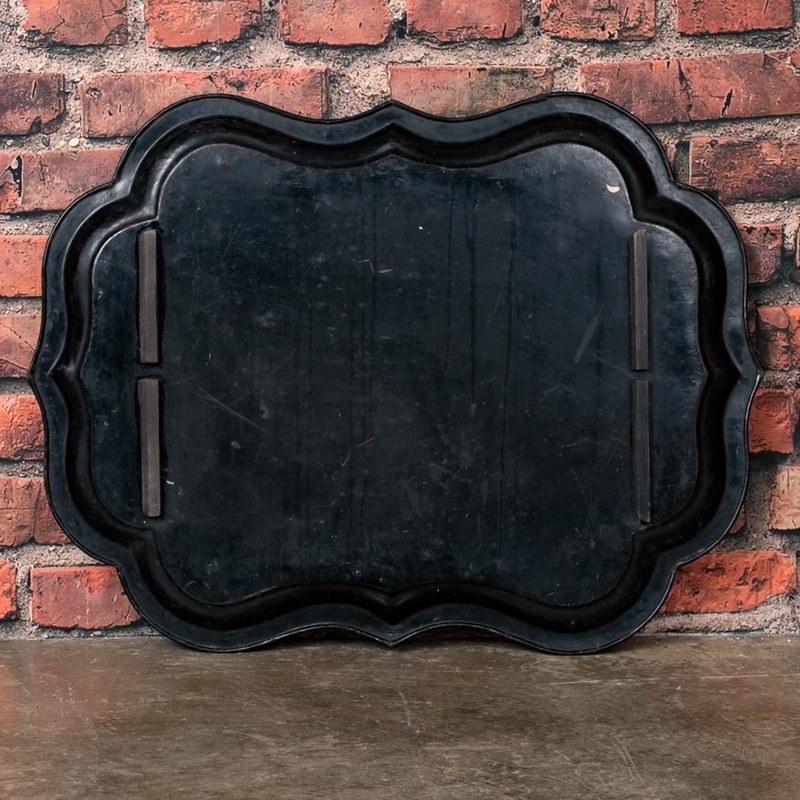 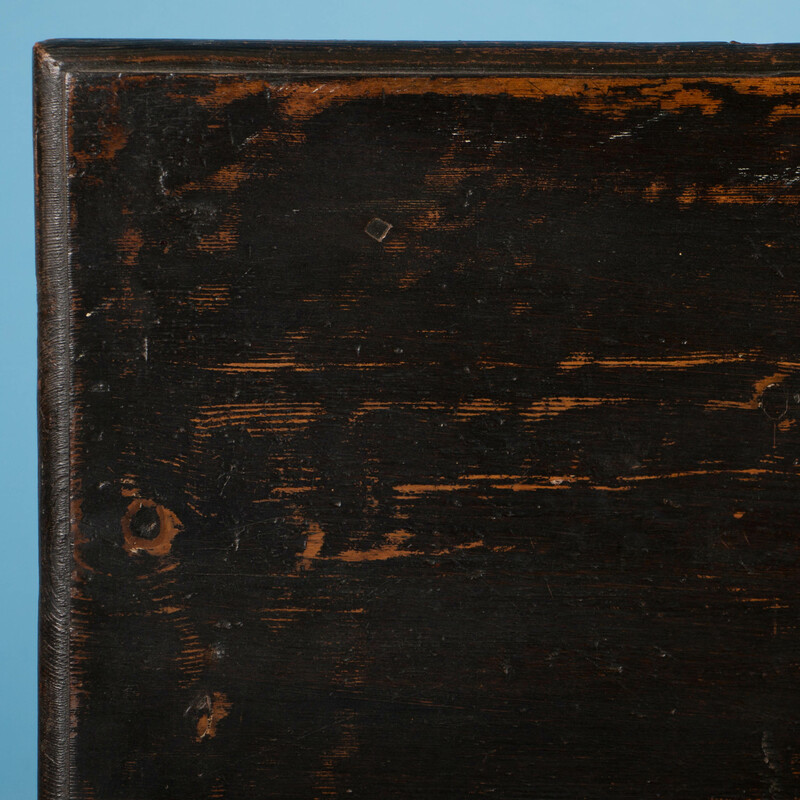 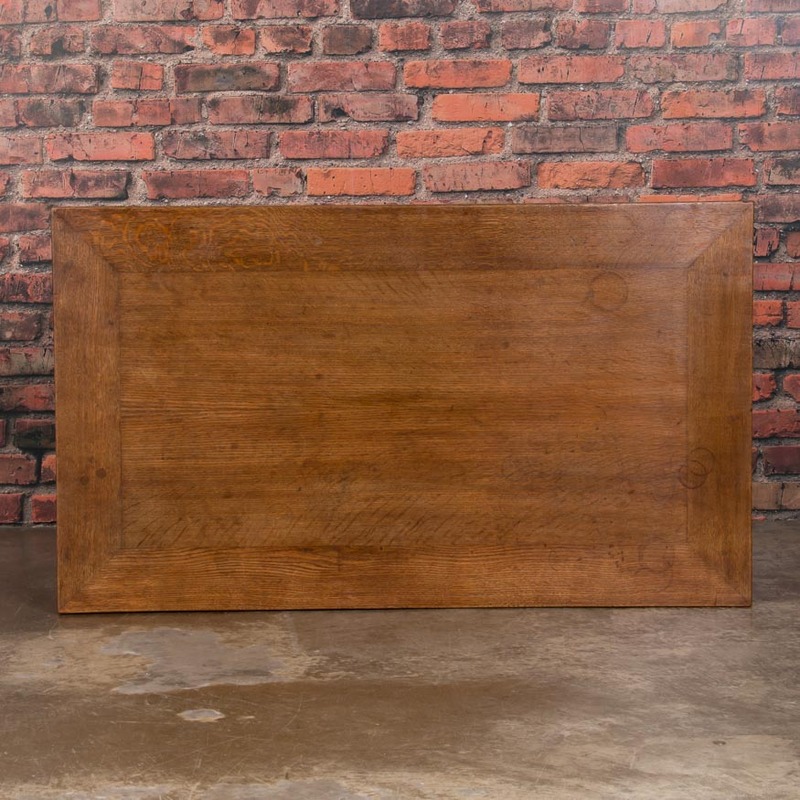 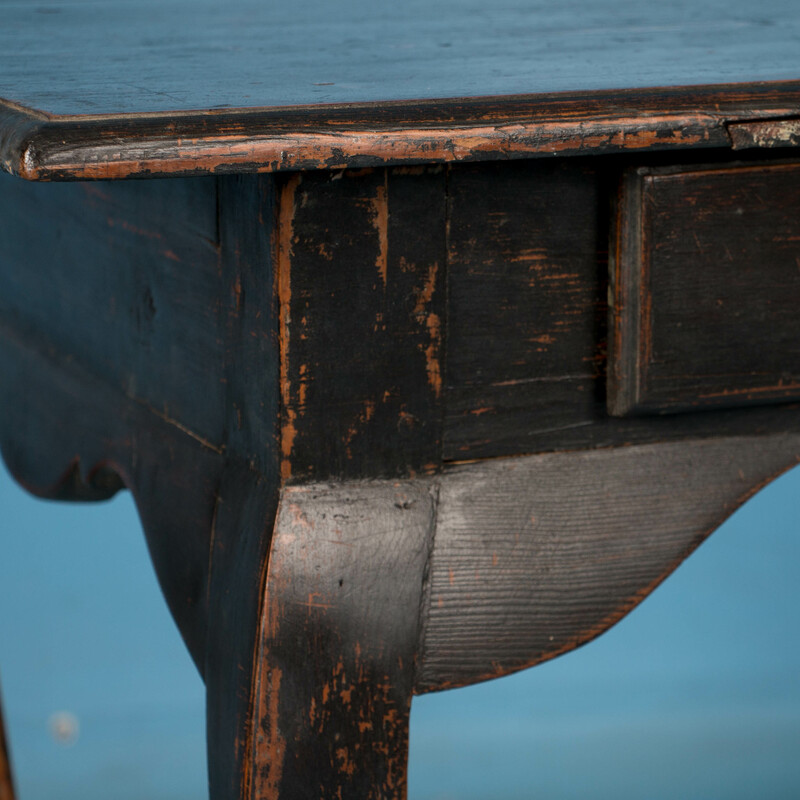 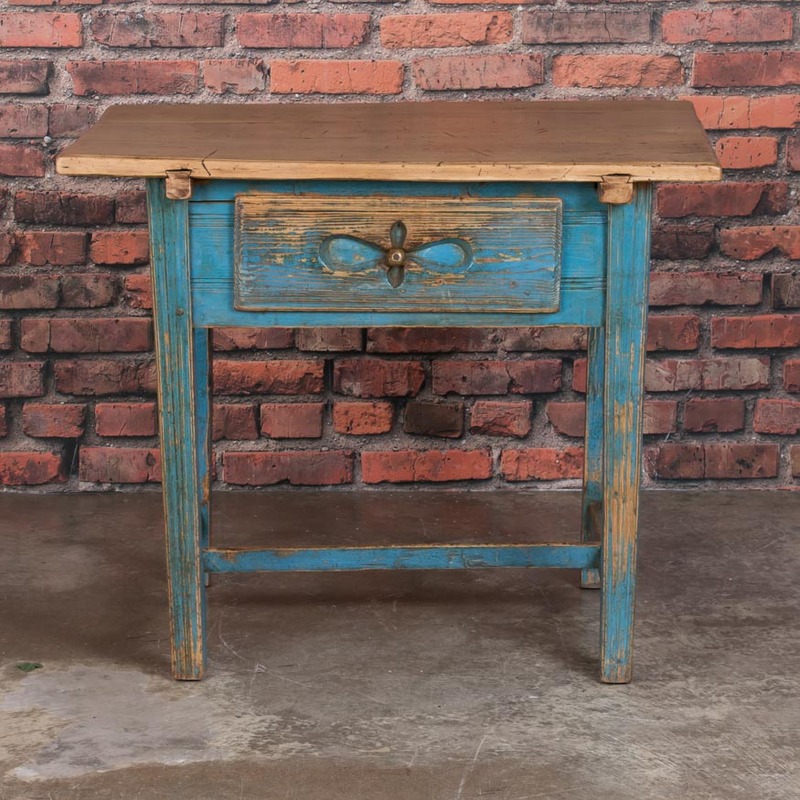 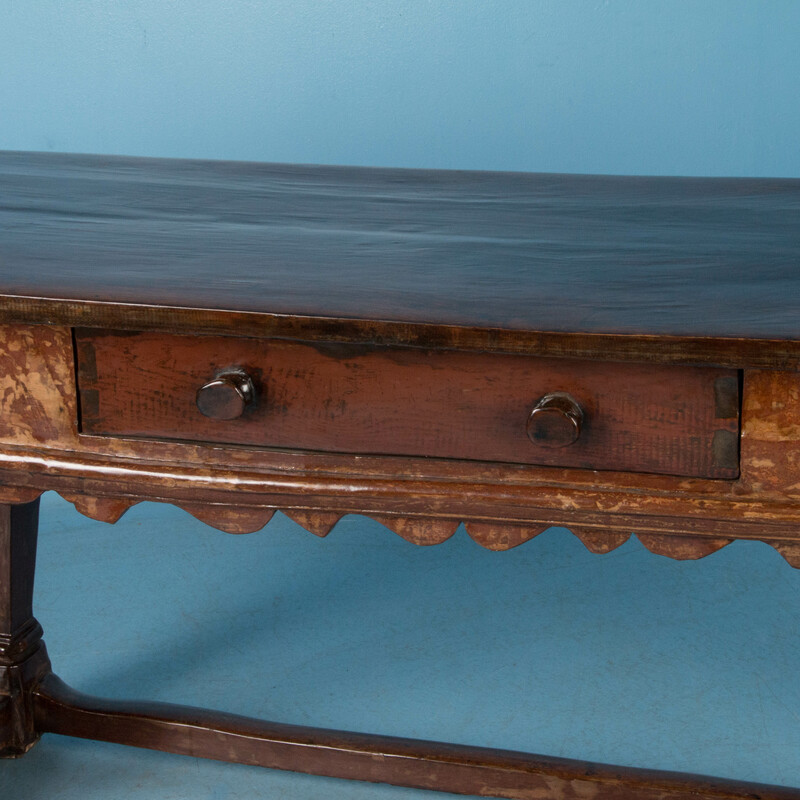 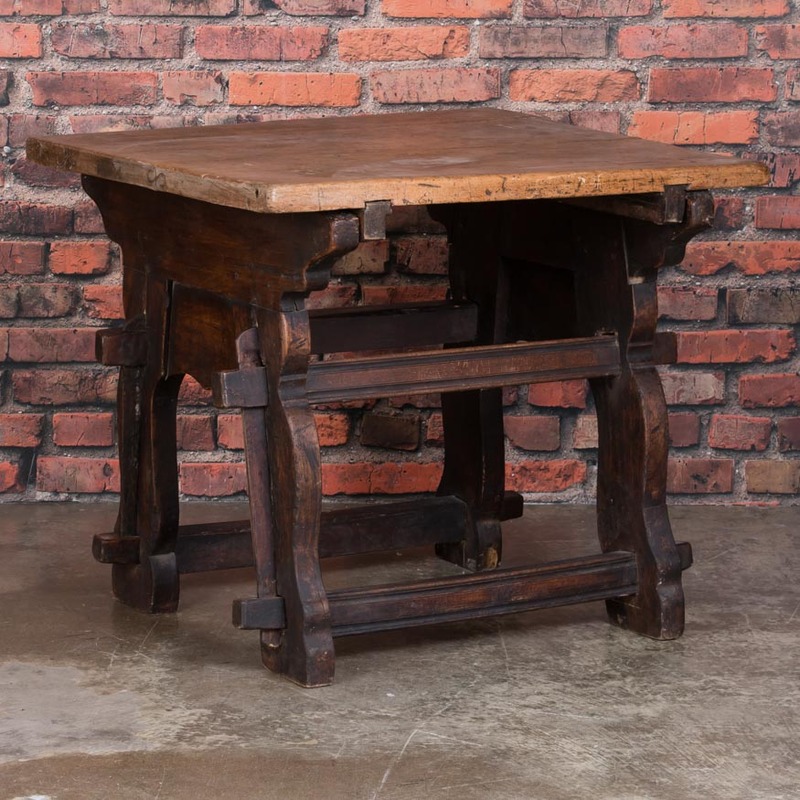 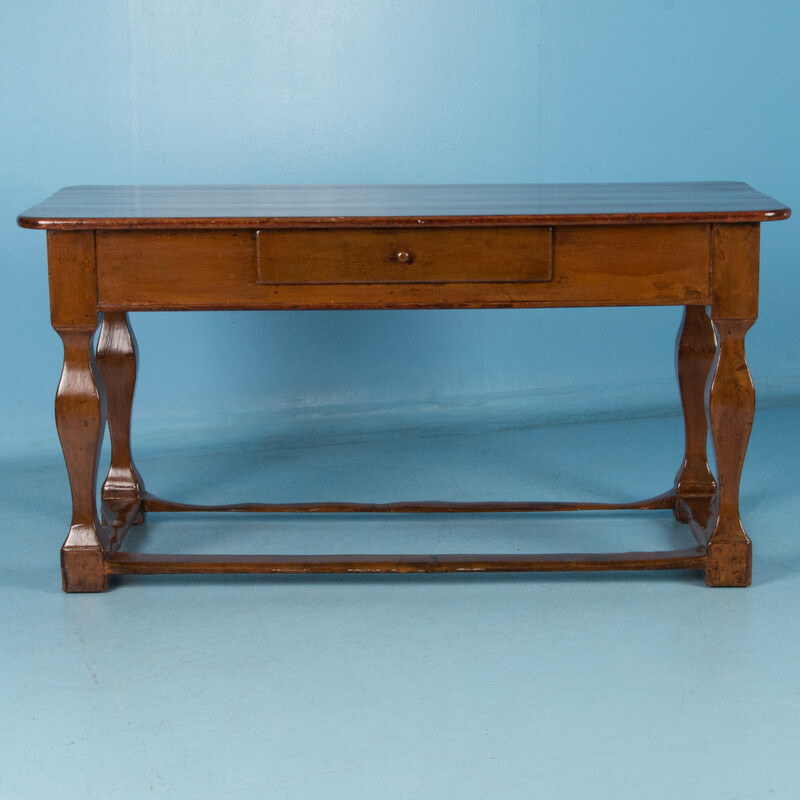 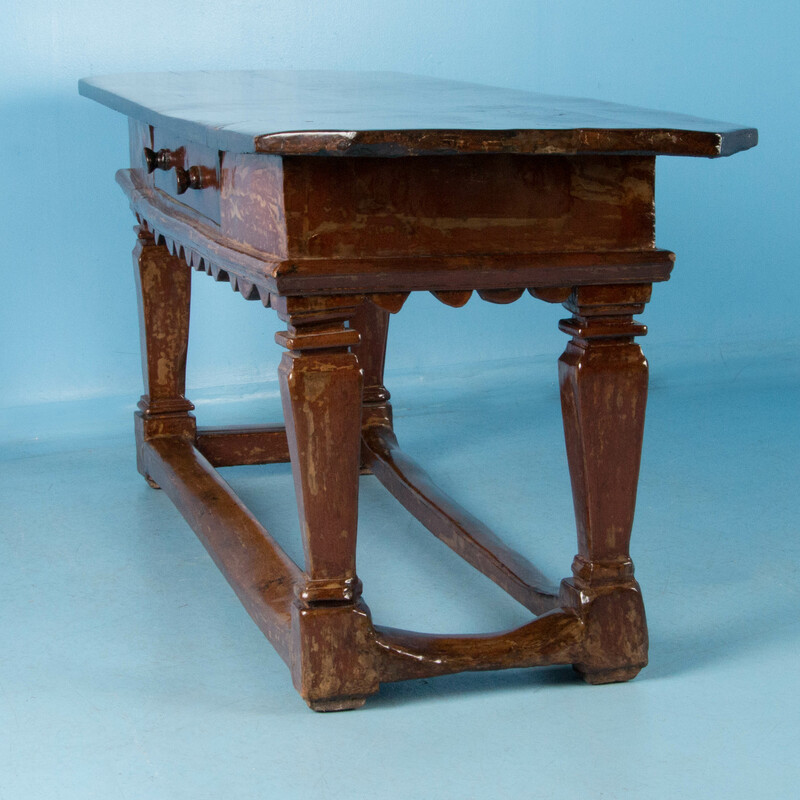 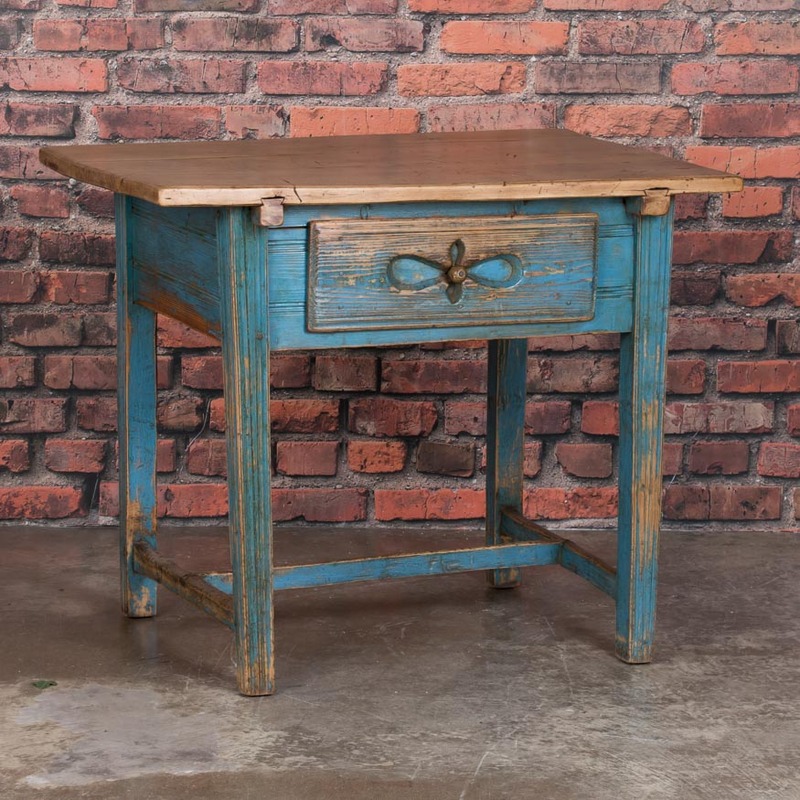 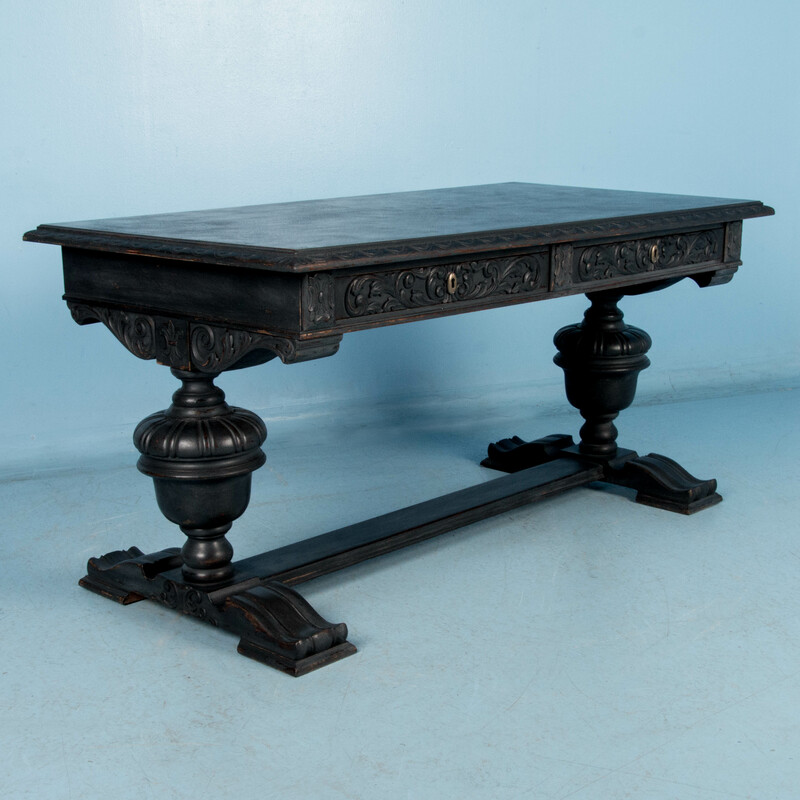 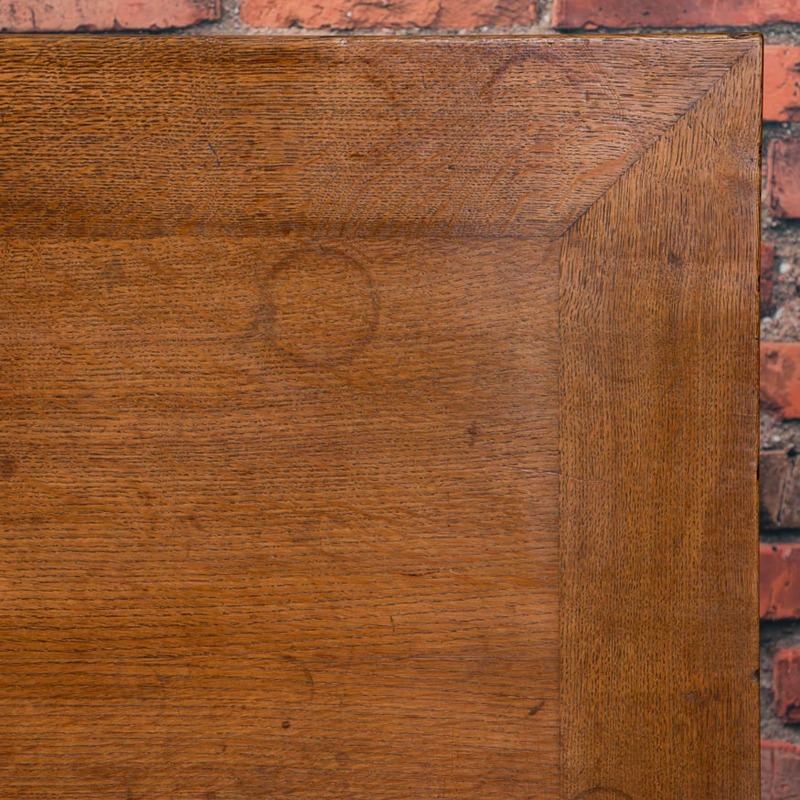 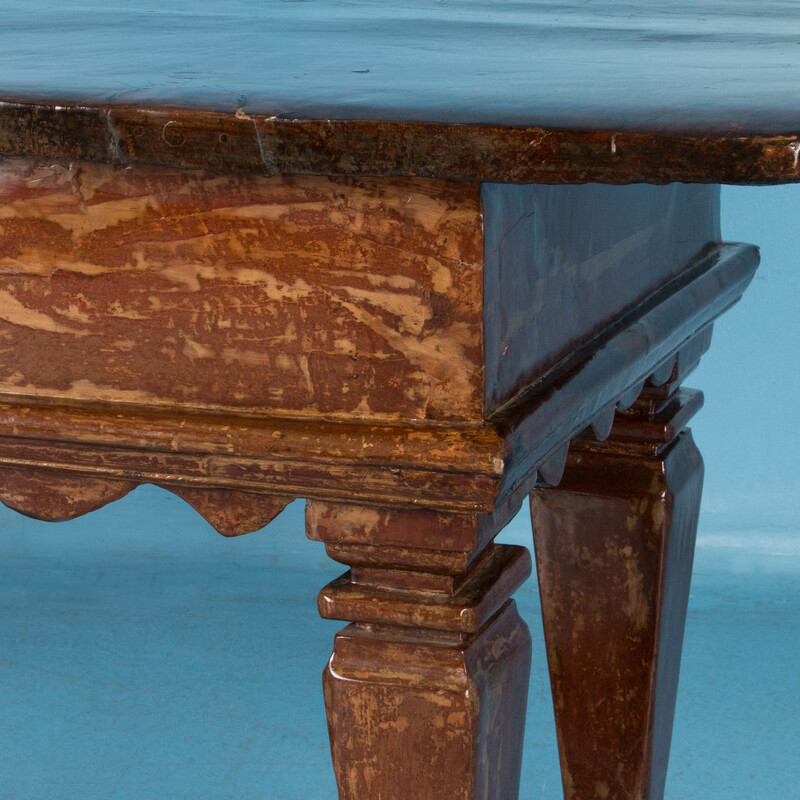 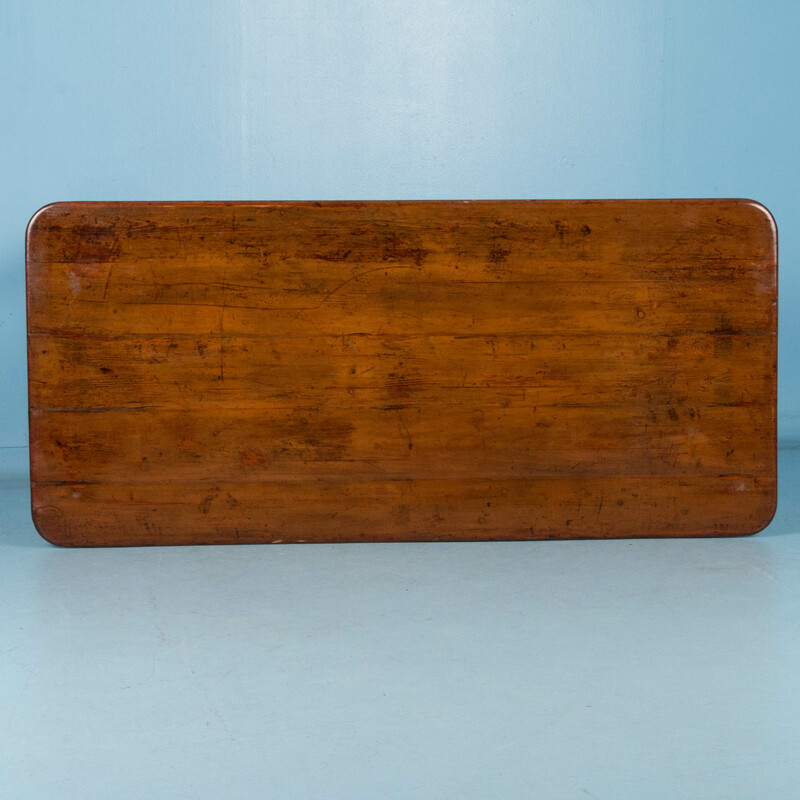 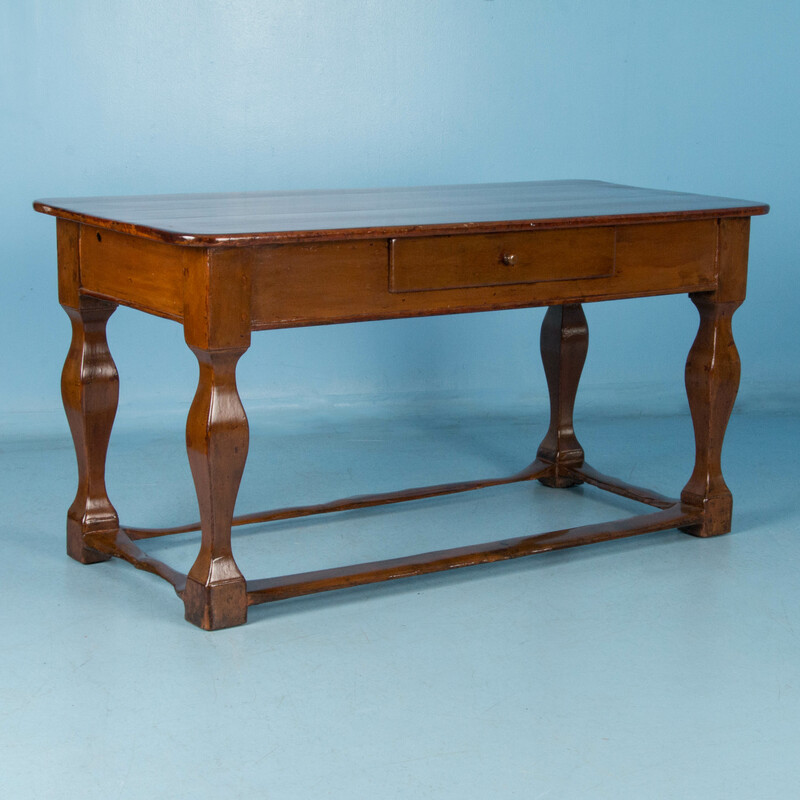 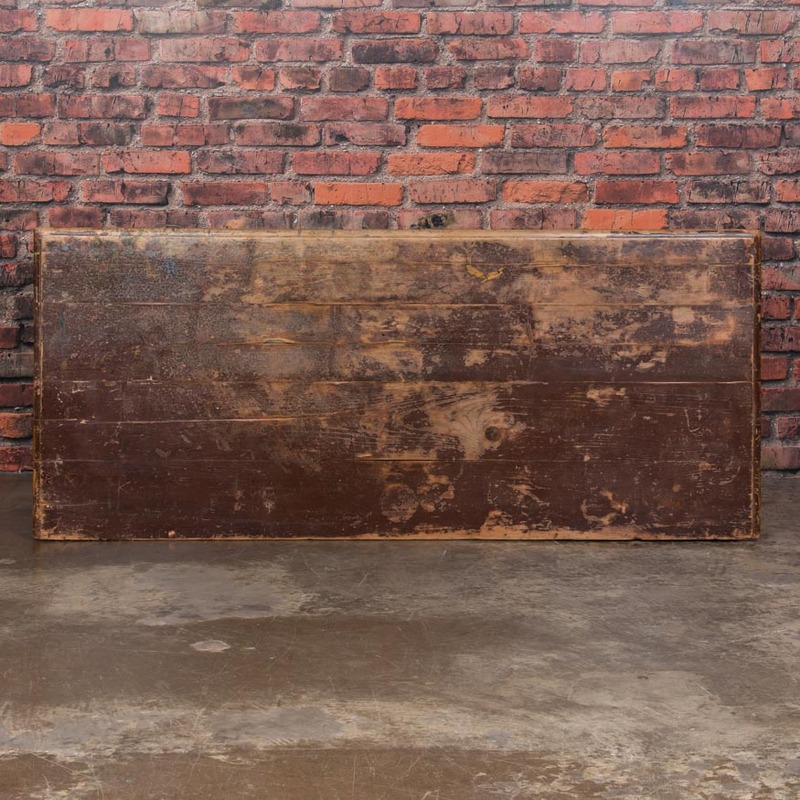 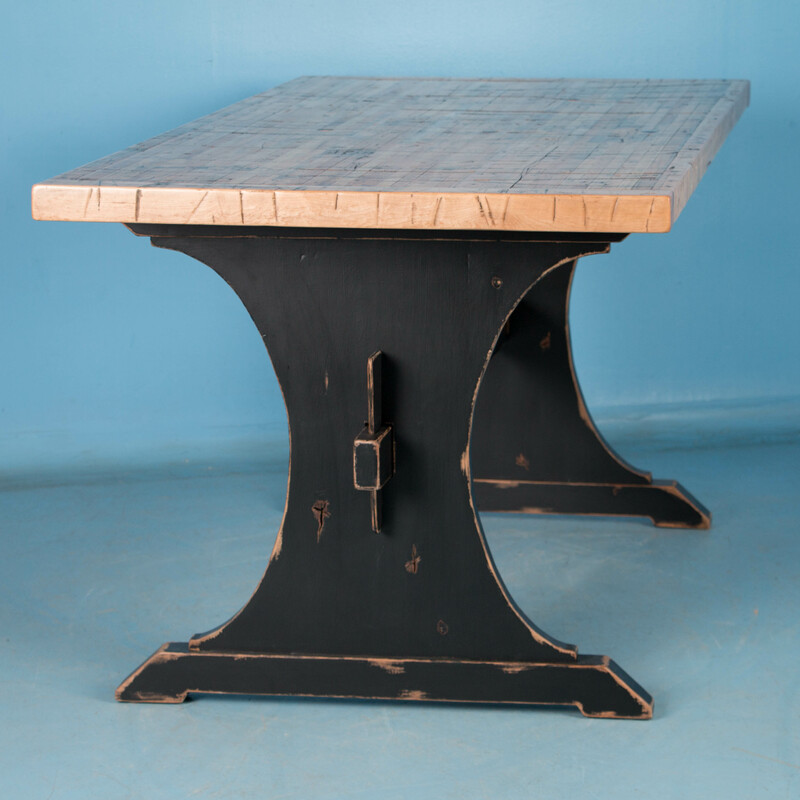 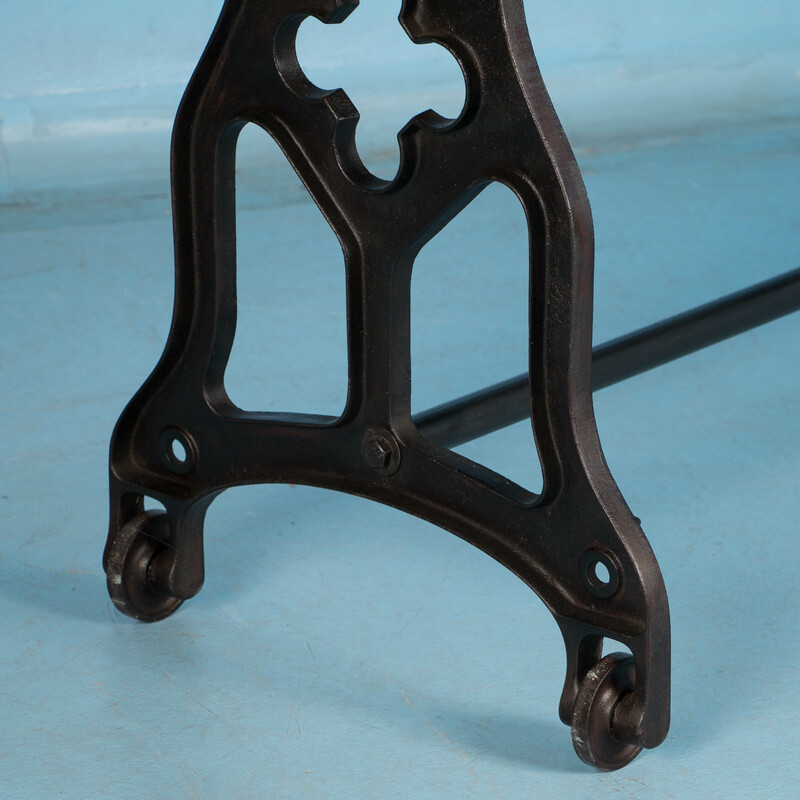 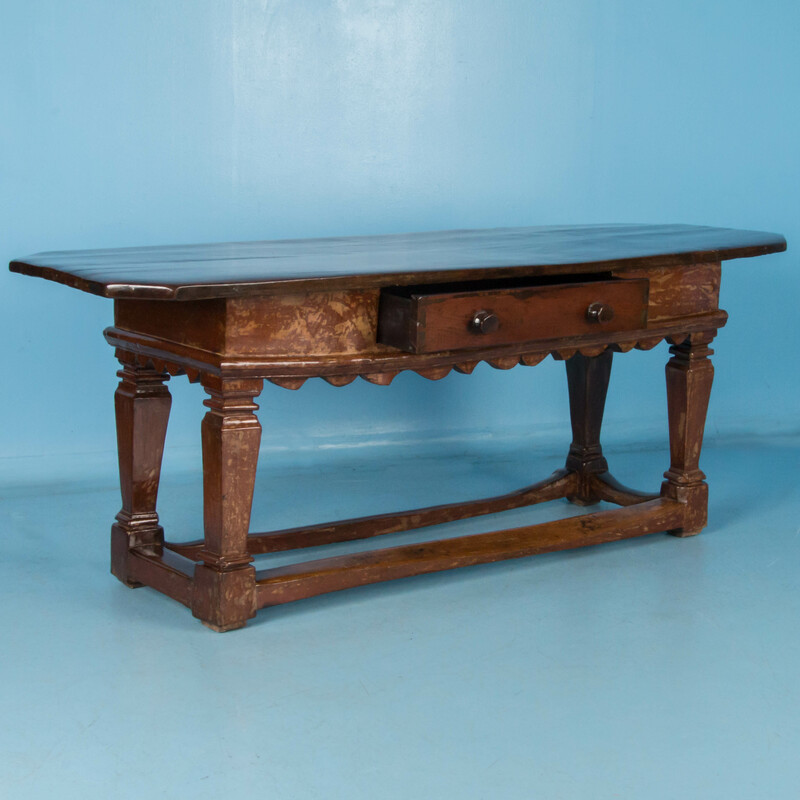 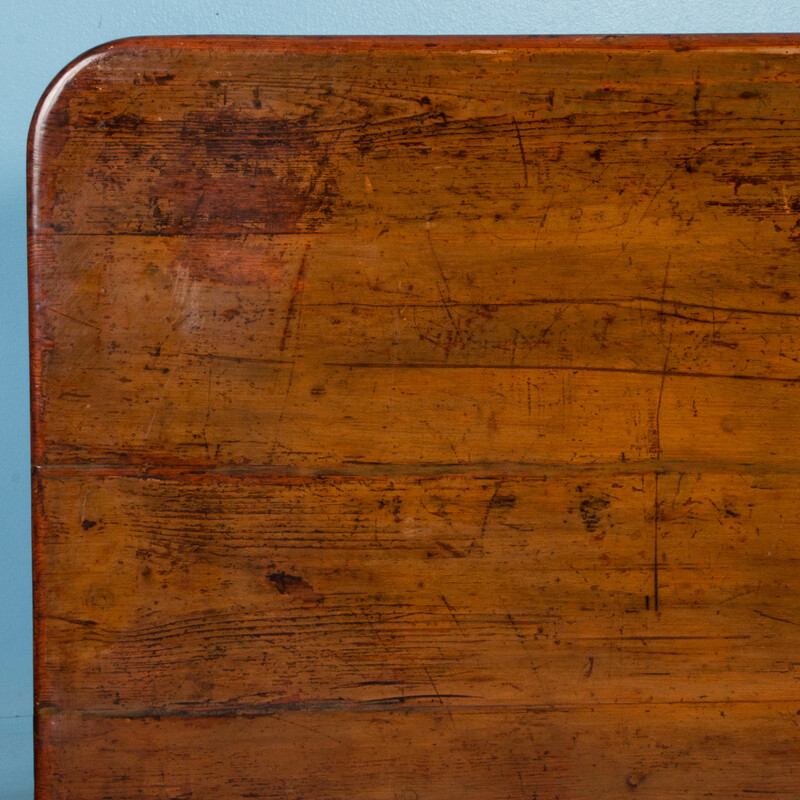 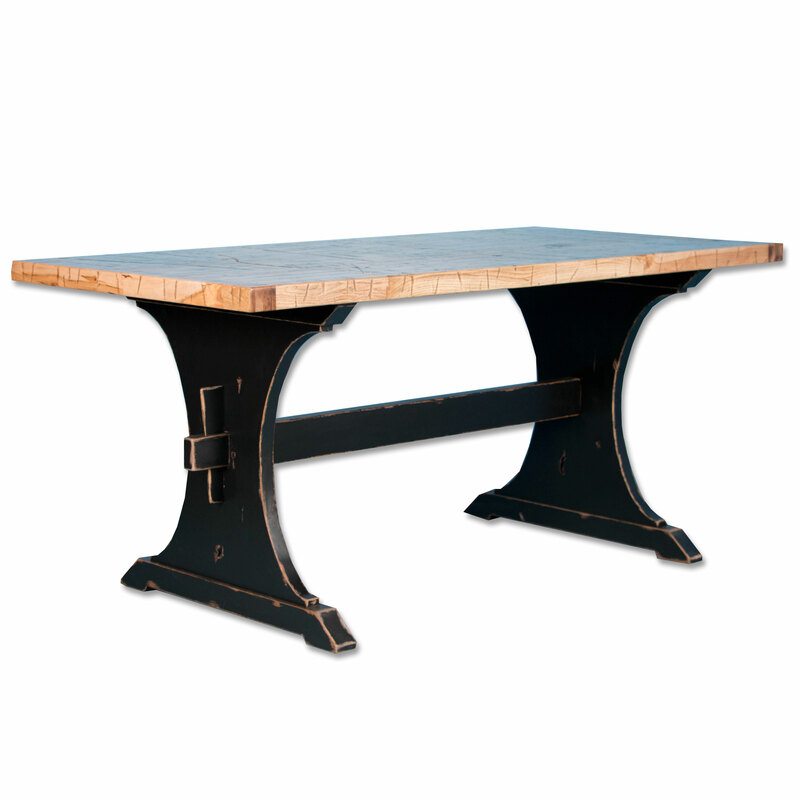 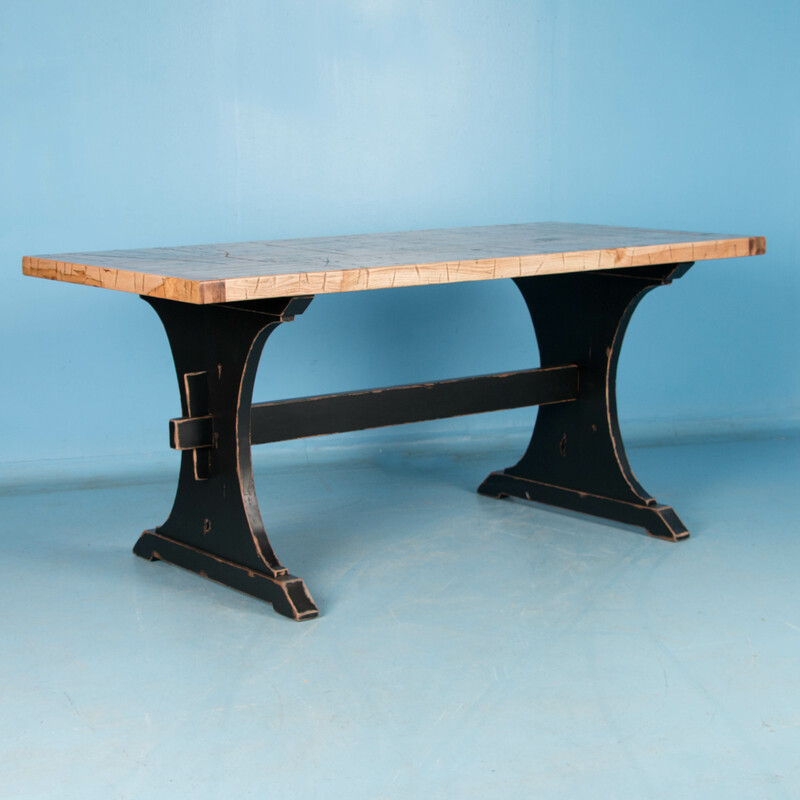 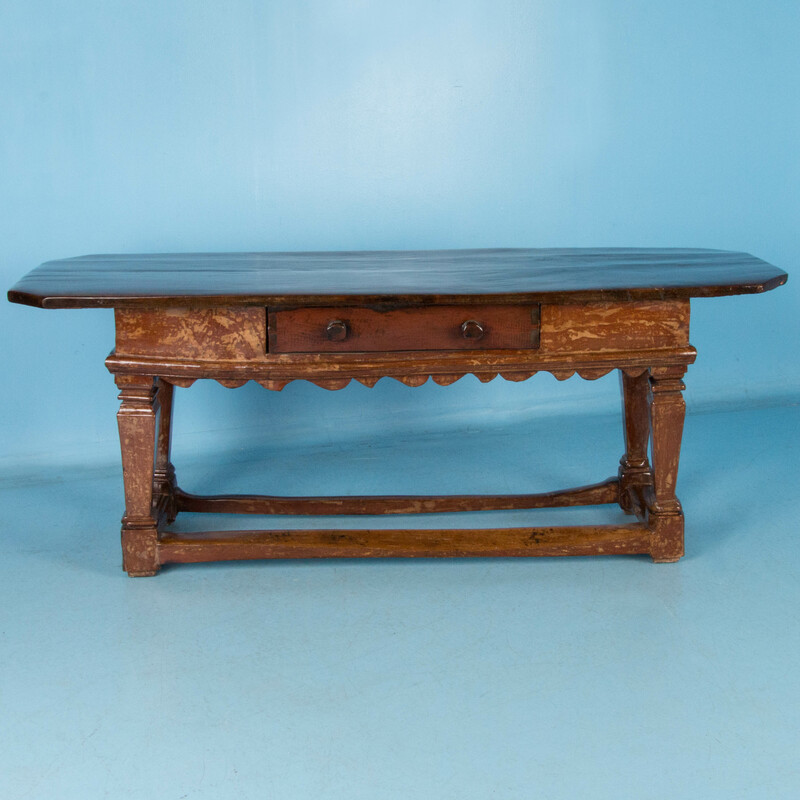 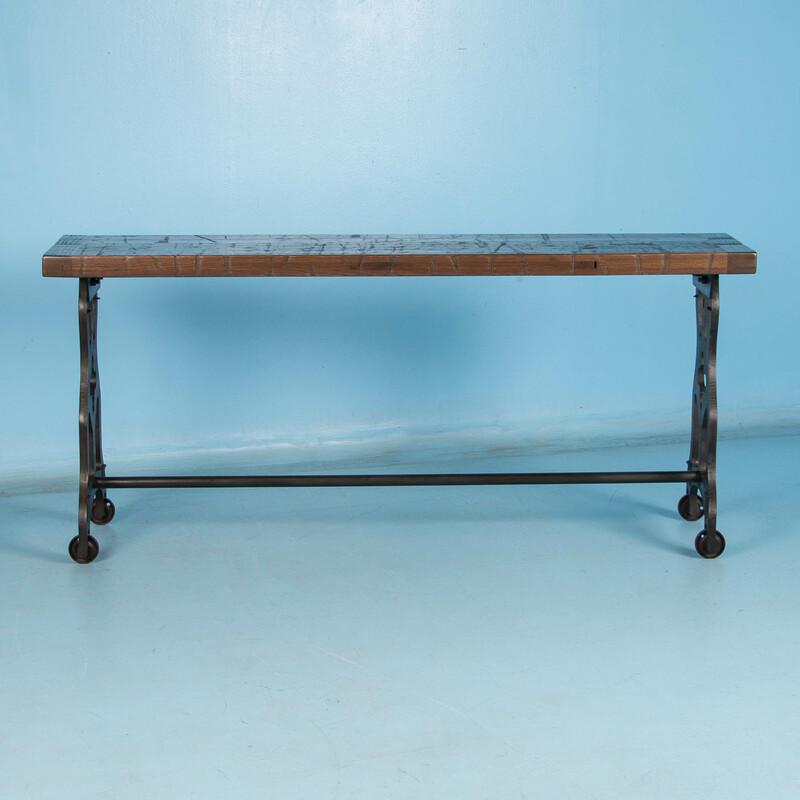 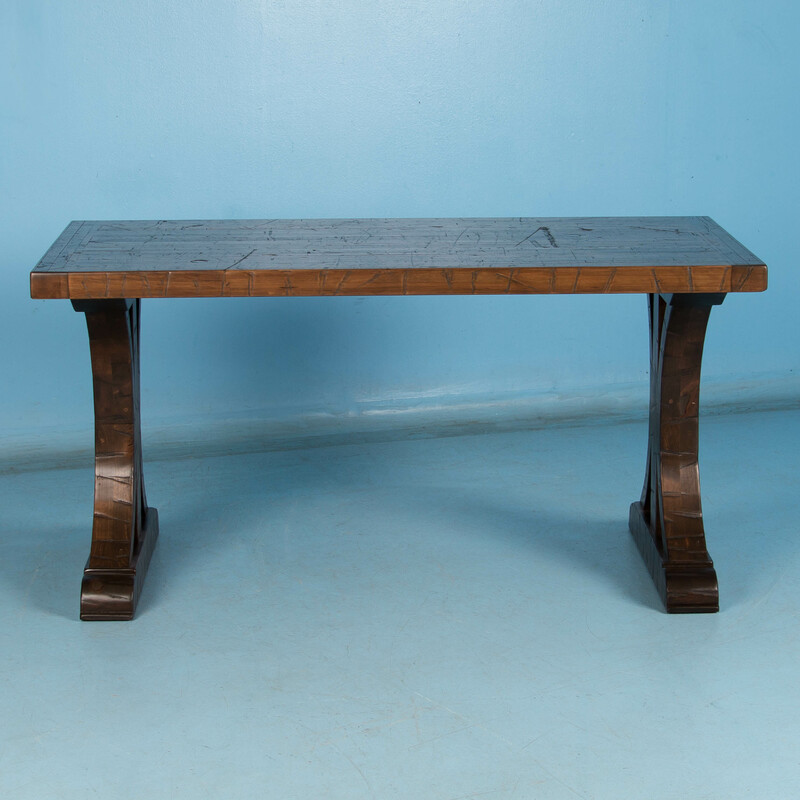 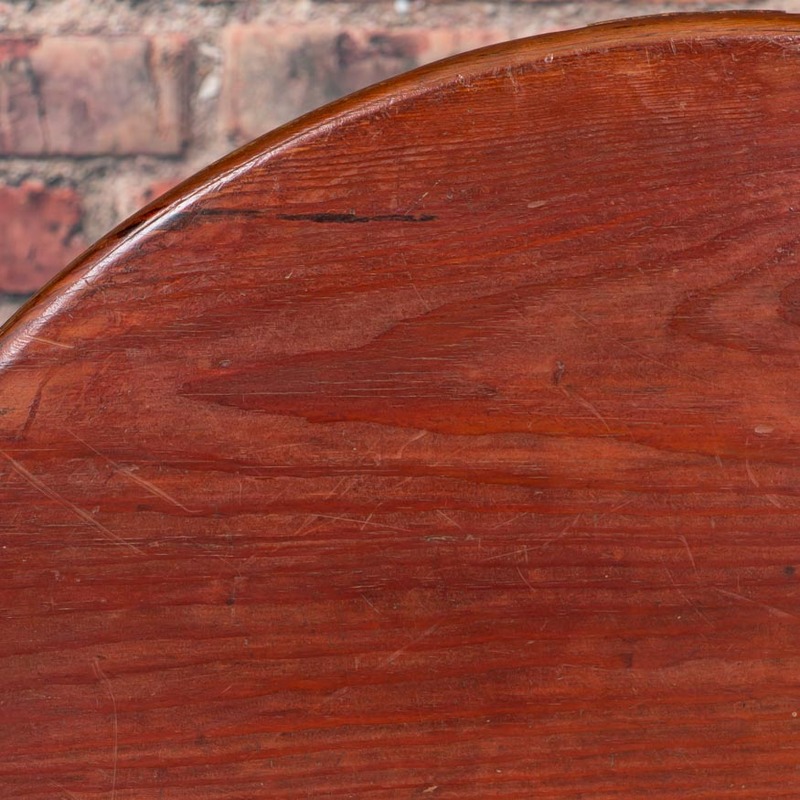 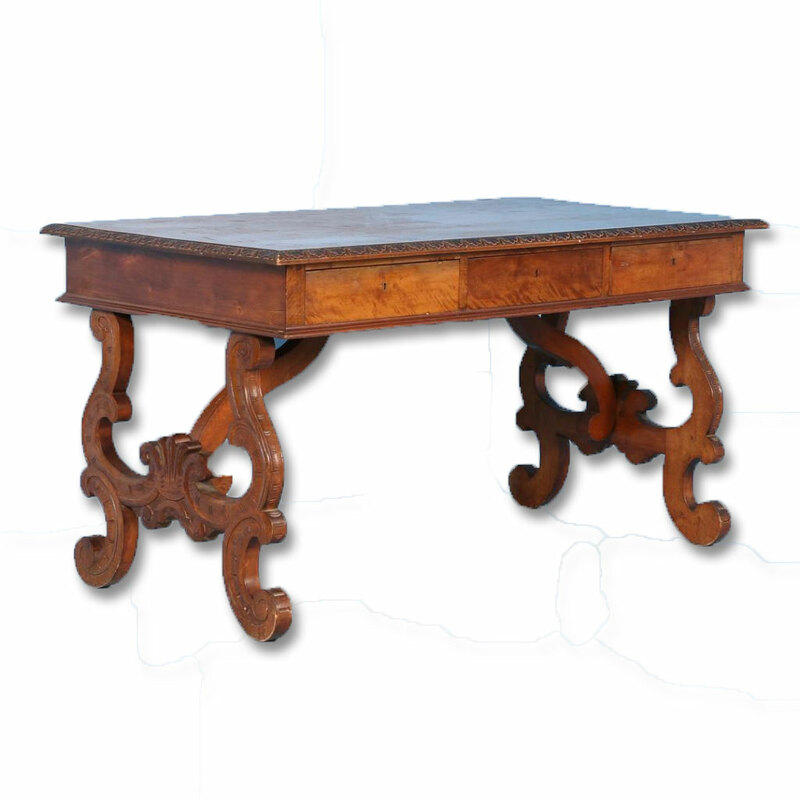 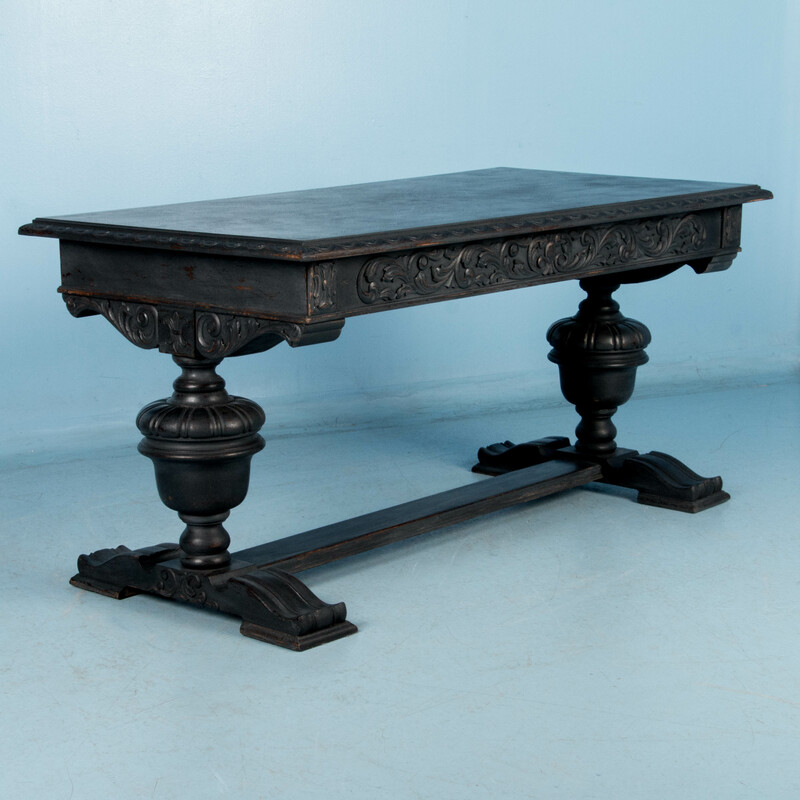 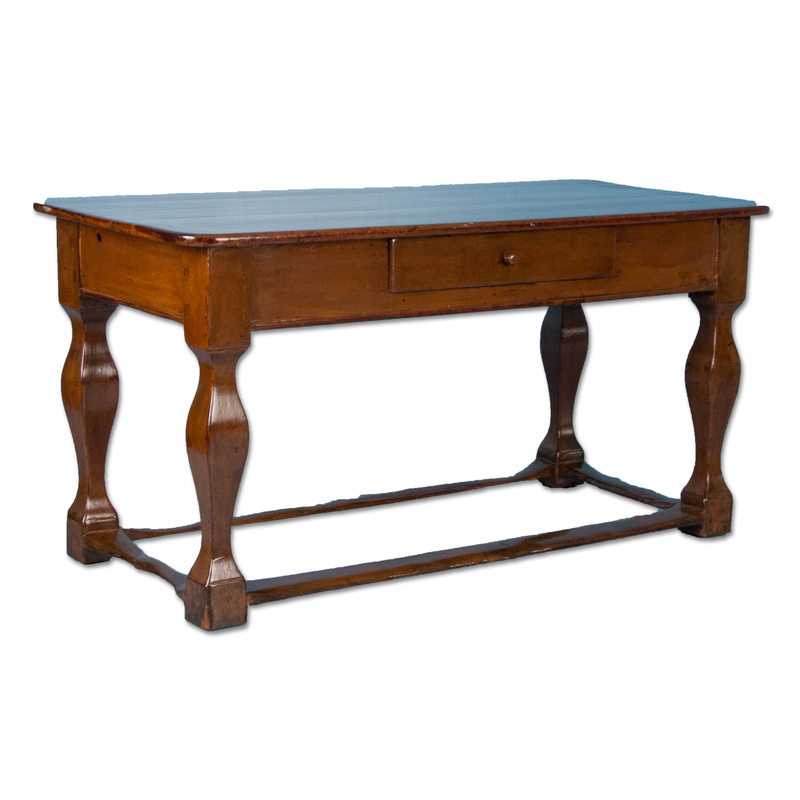 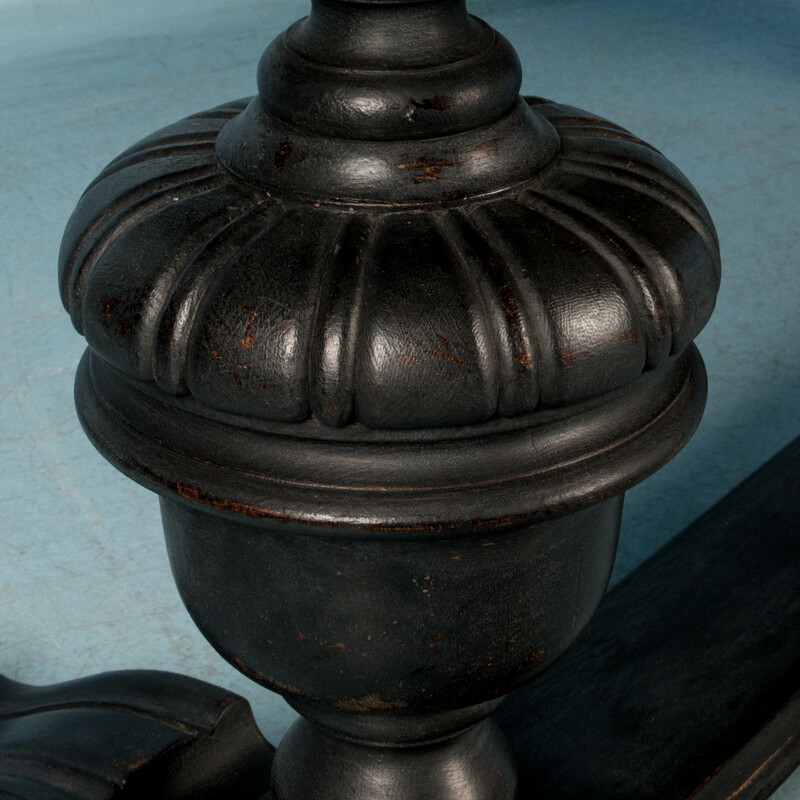 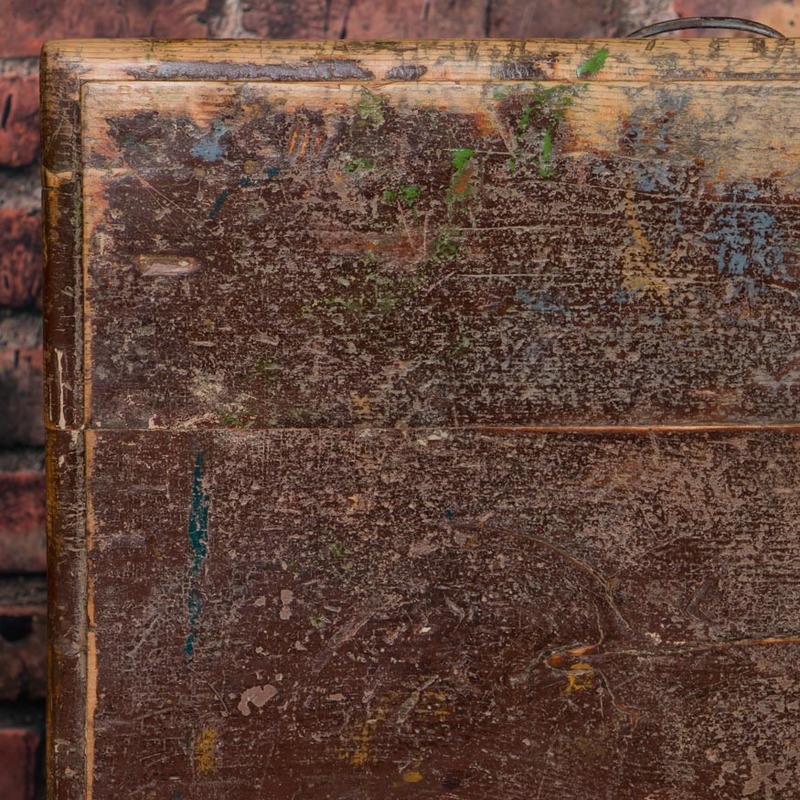 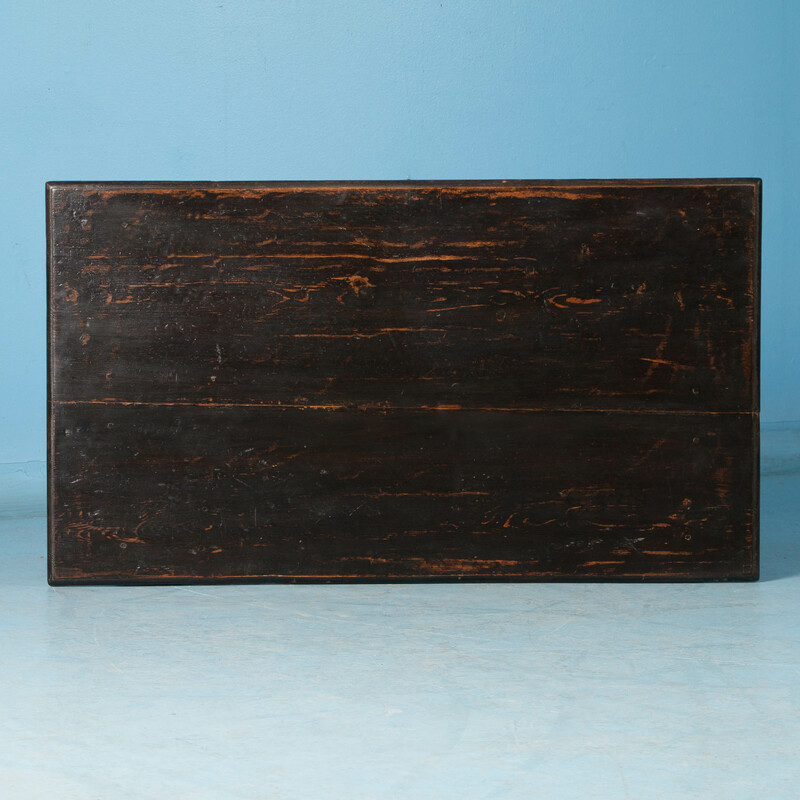 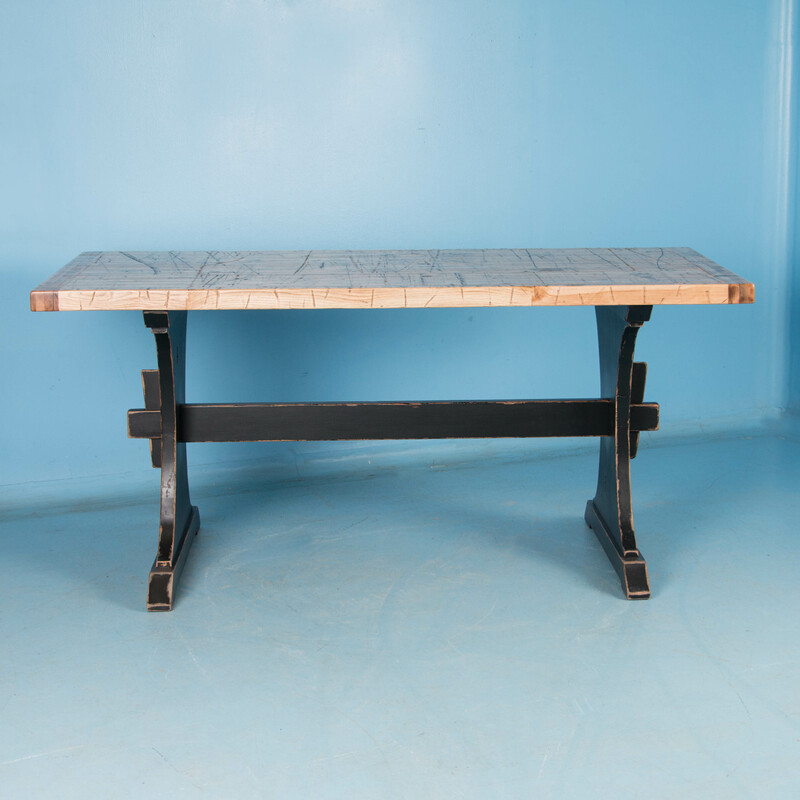 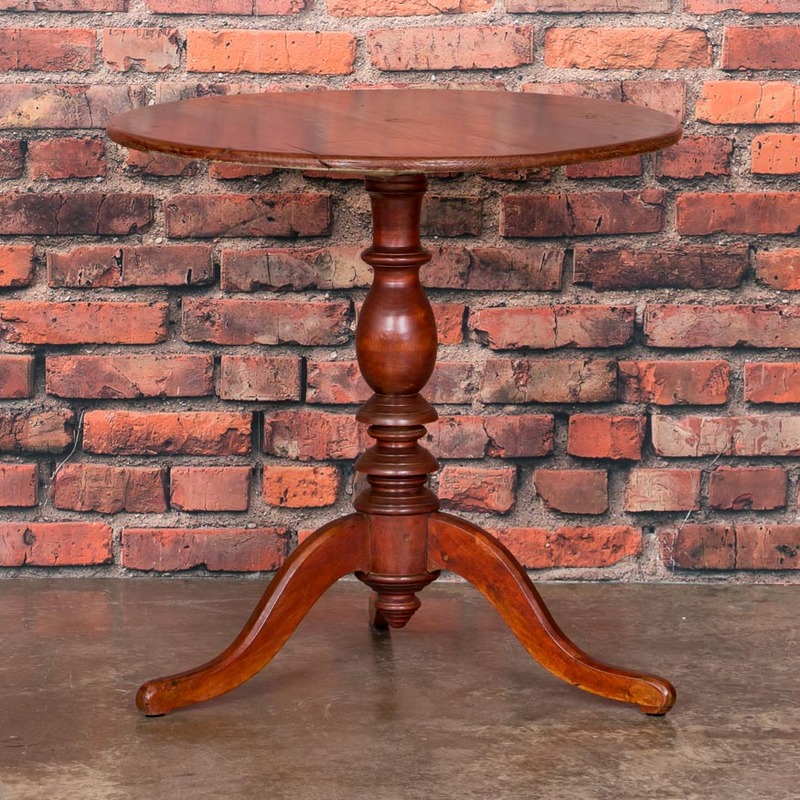 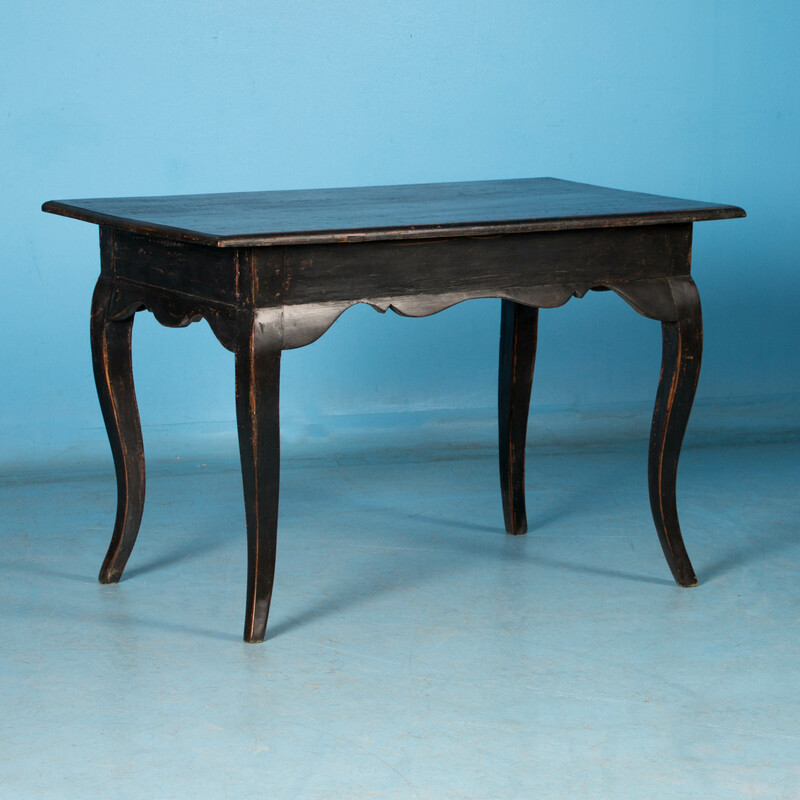 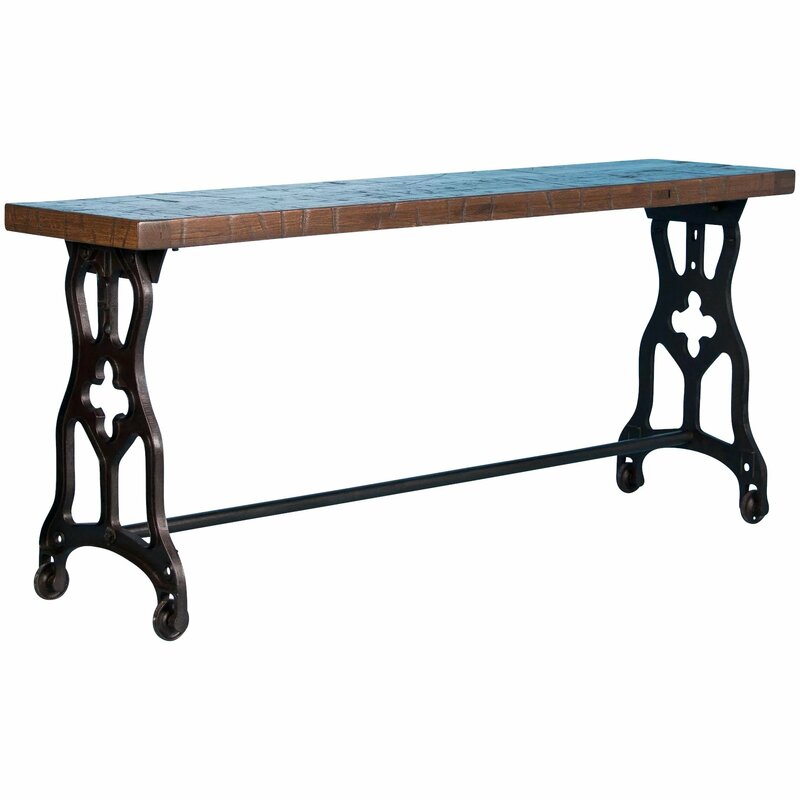 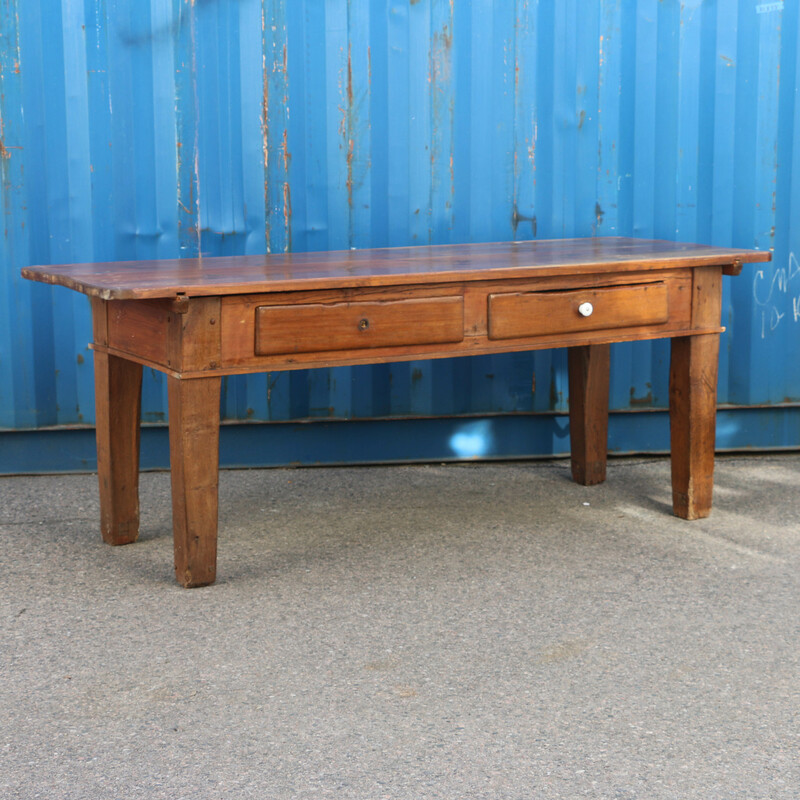 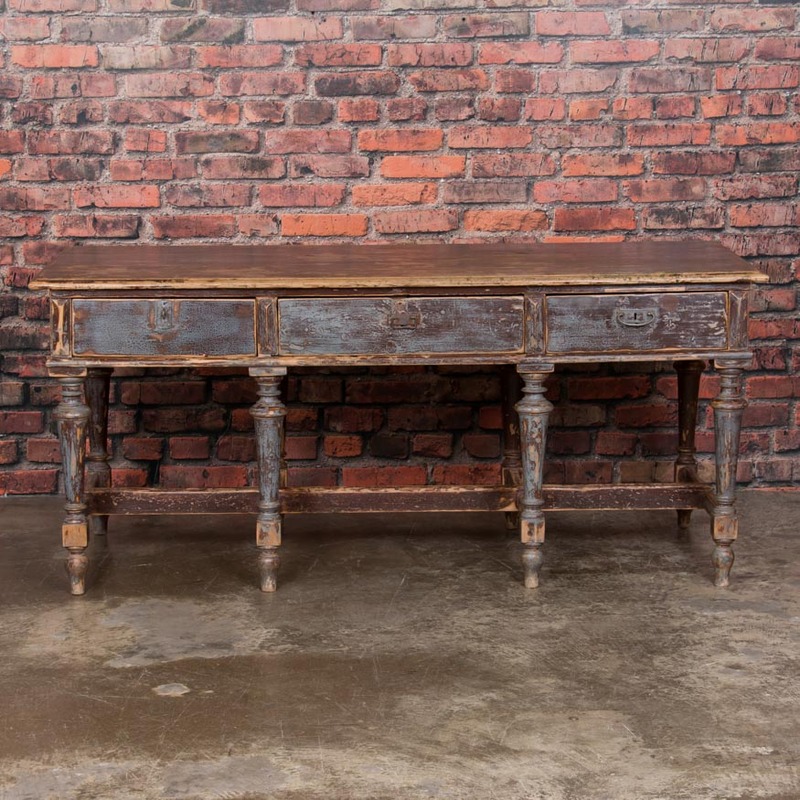 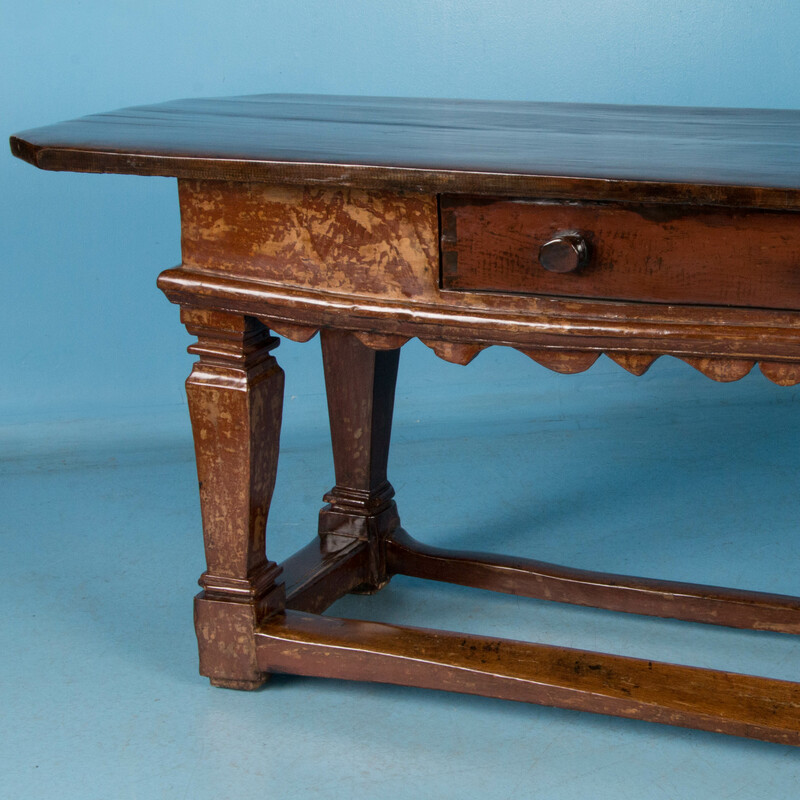 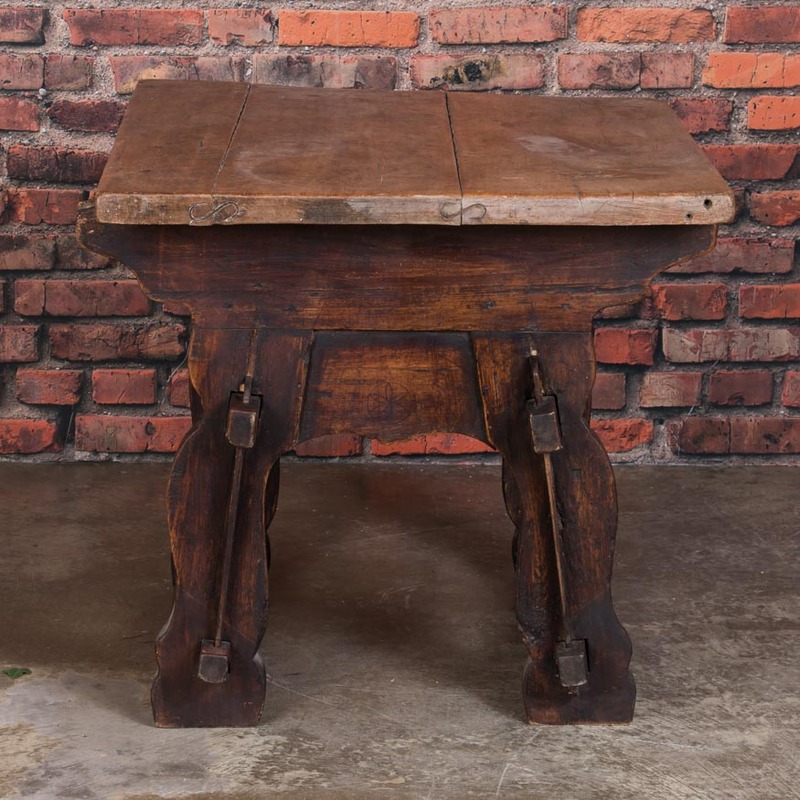 Antique work table with cast iron legs and a weathered hardwood top from Sweden, circa 1880. 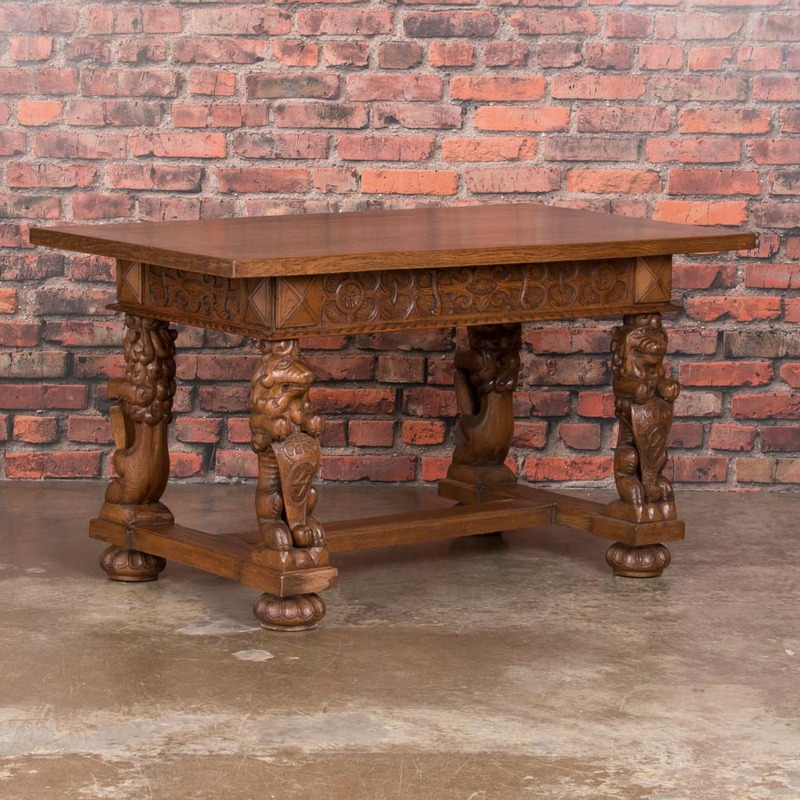 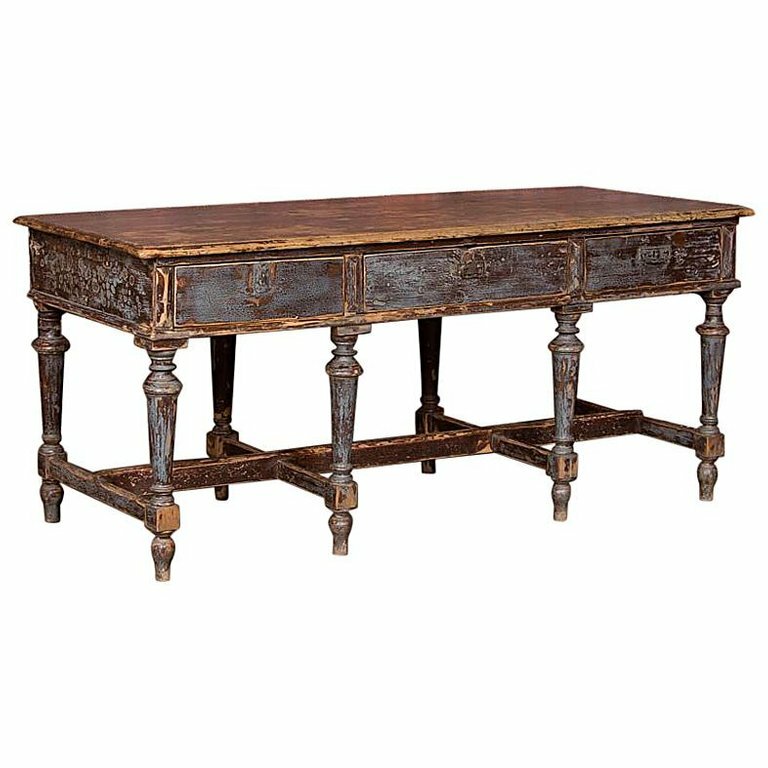 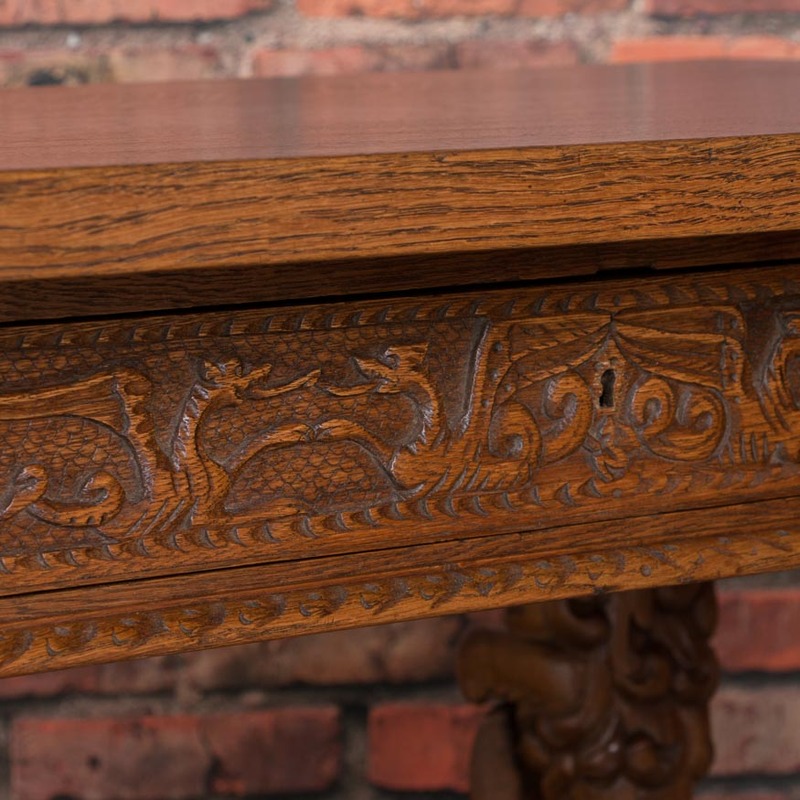 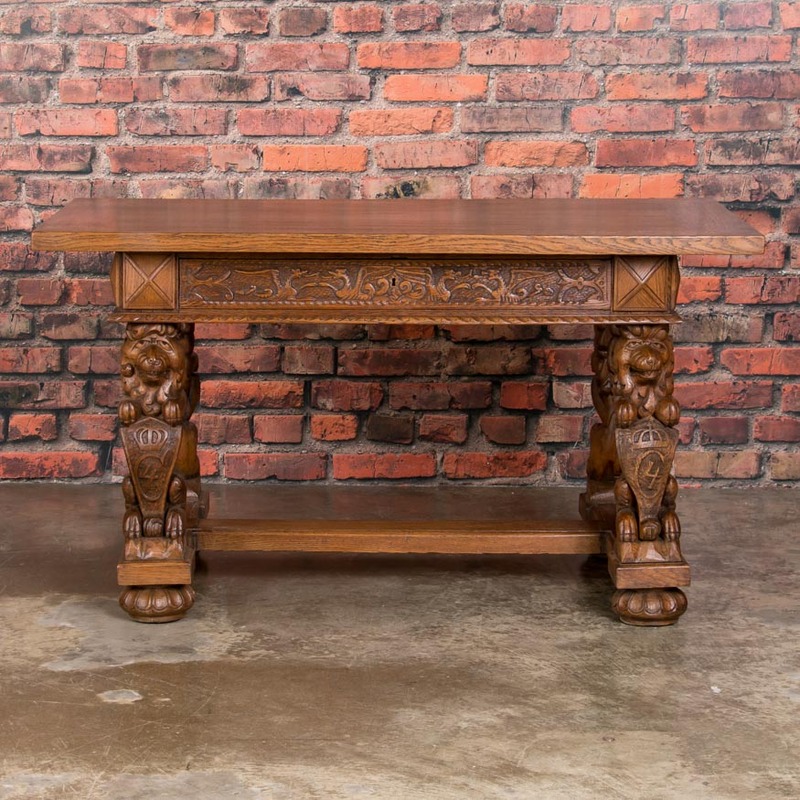 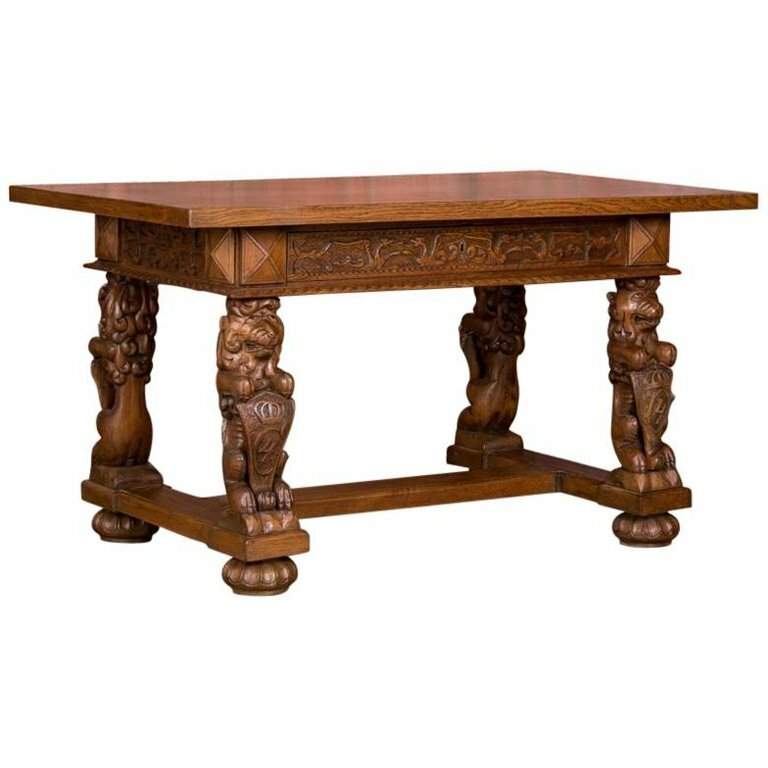 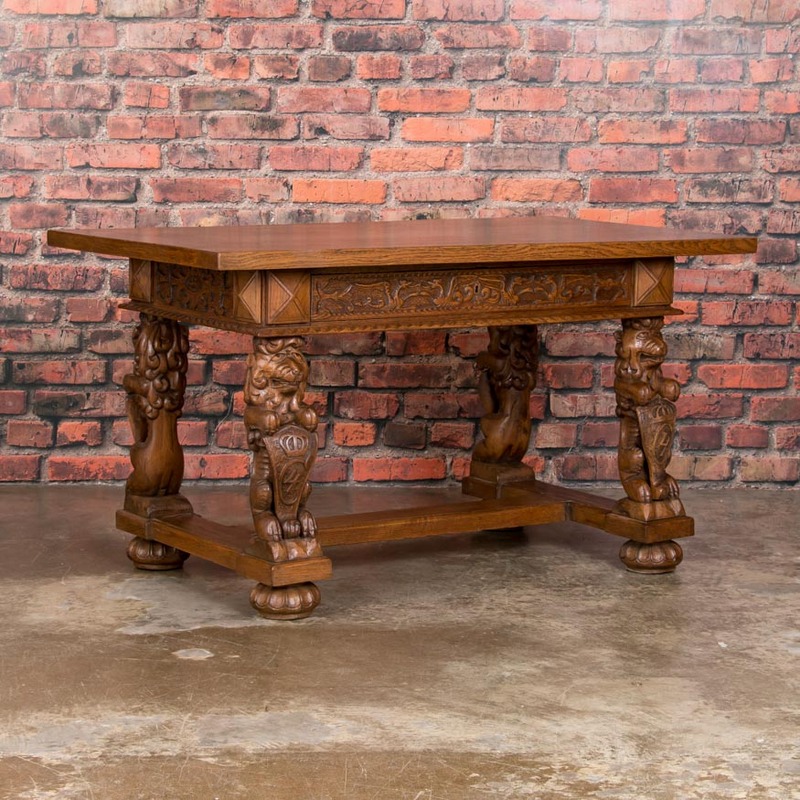 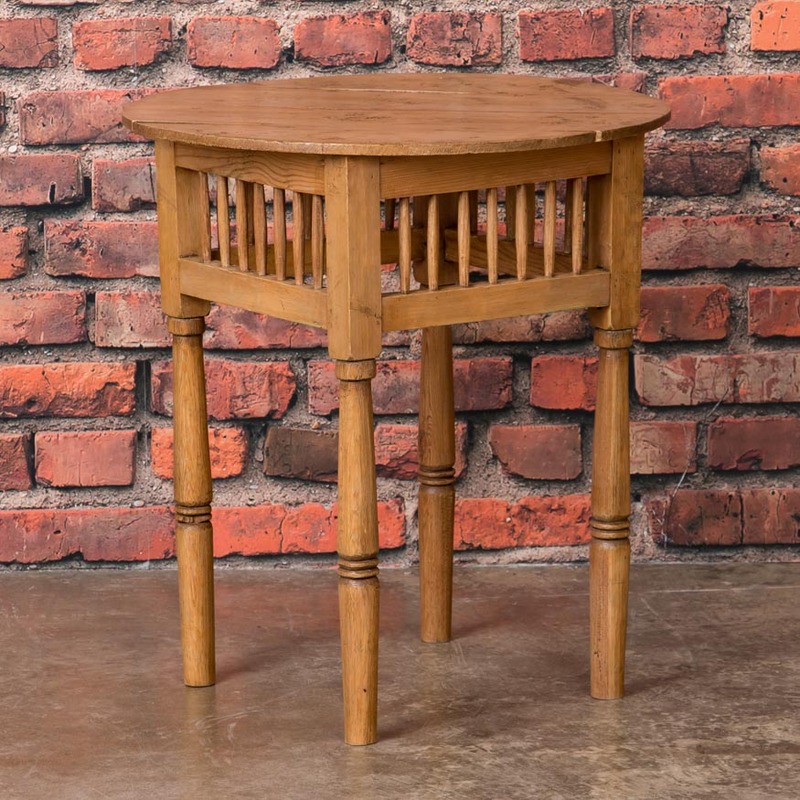 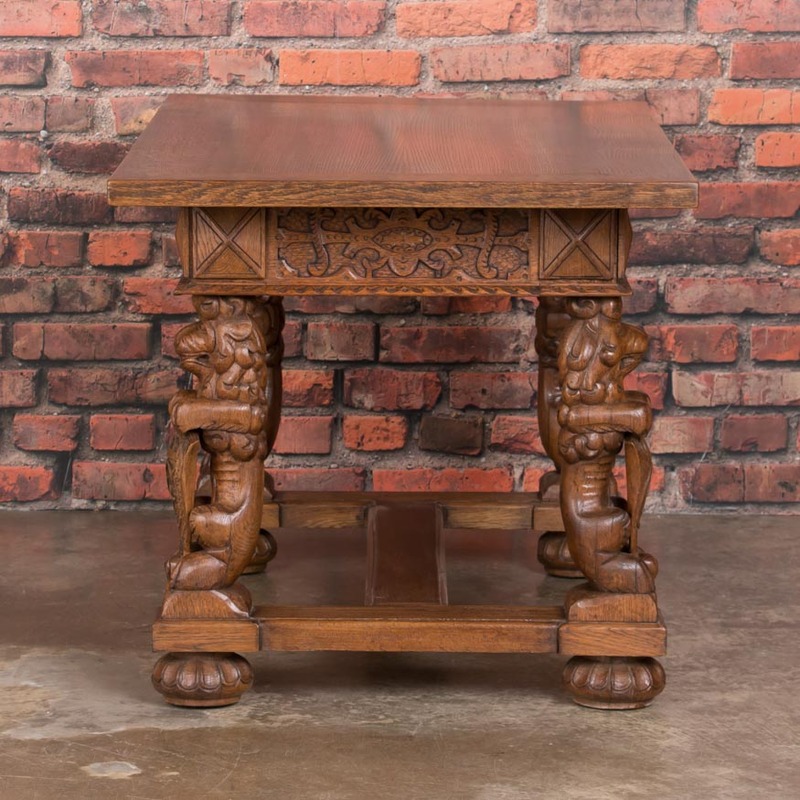 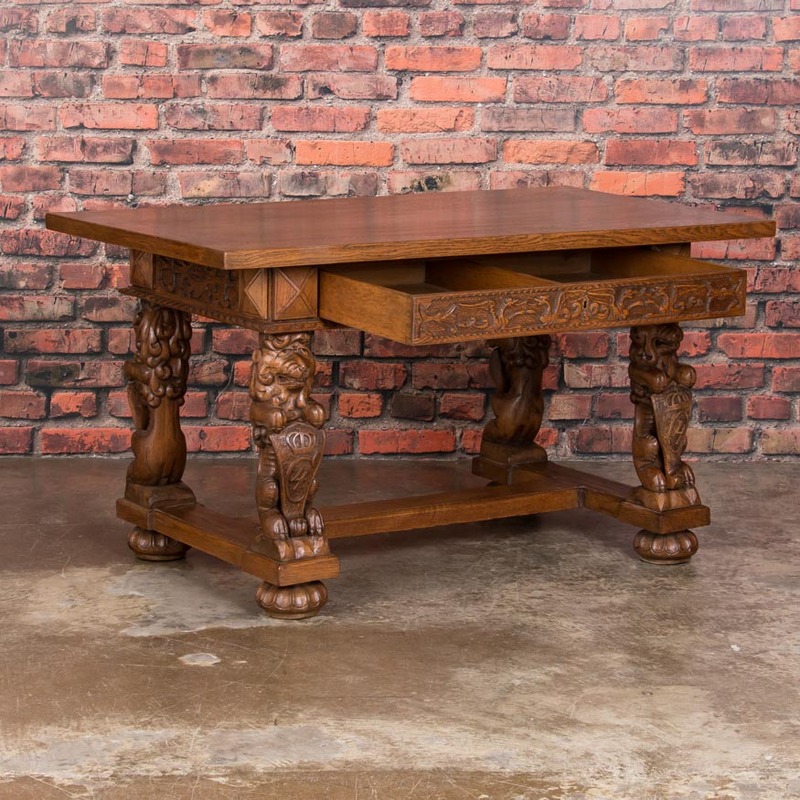 Antique oak dining tble from Denmark circa 1840-1860, with two carved drawers and turned legs. 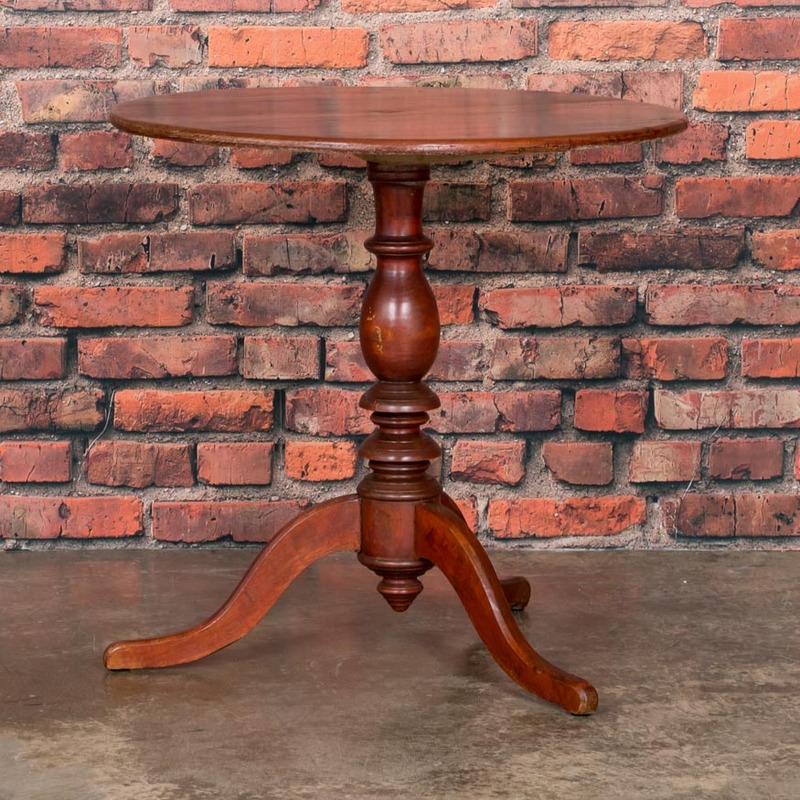 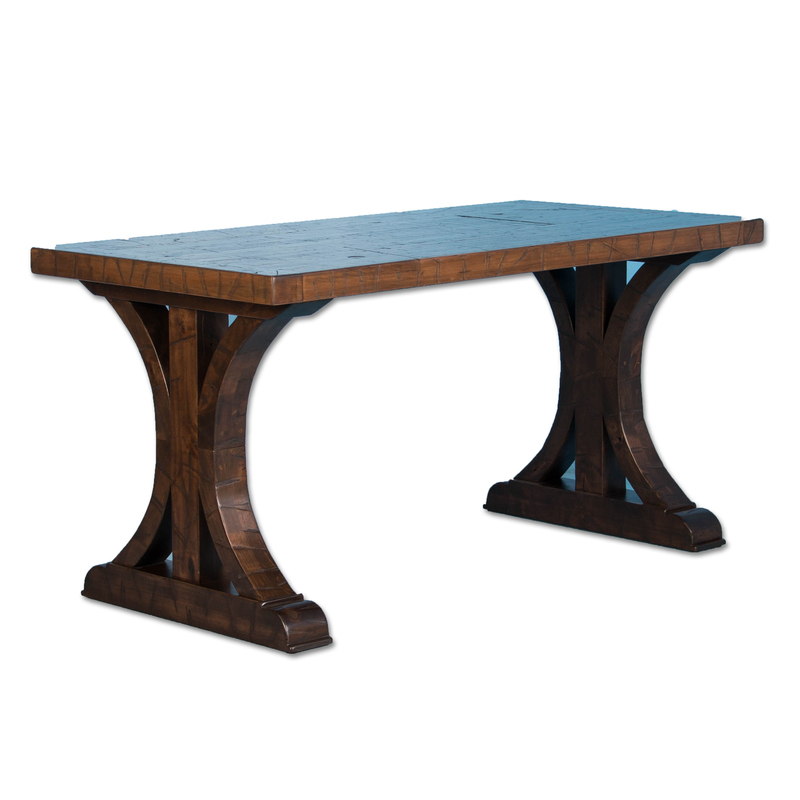 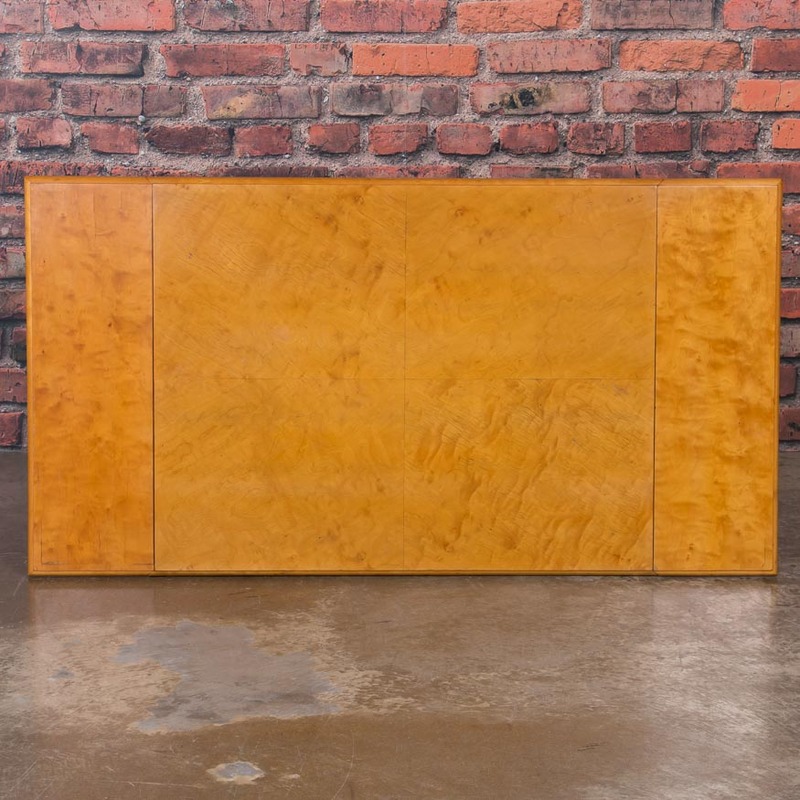 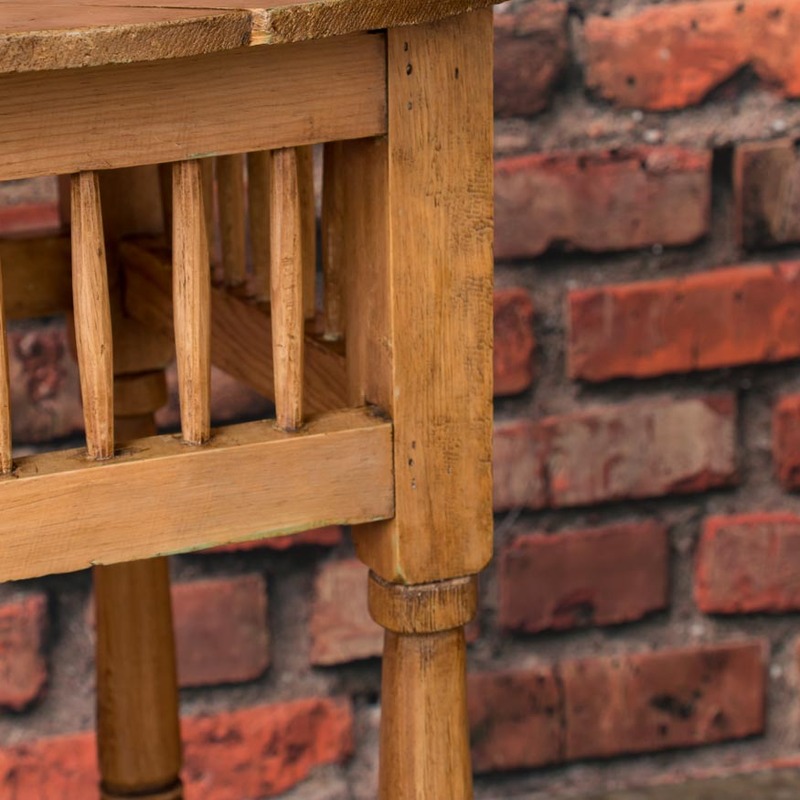 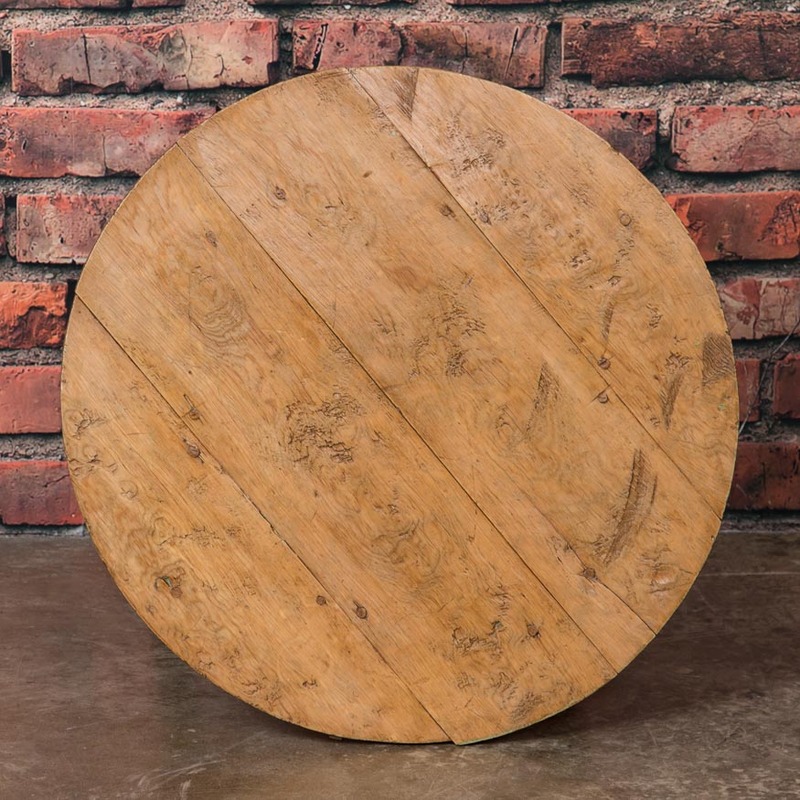 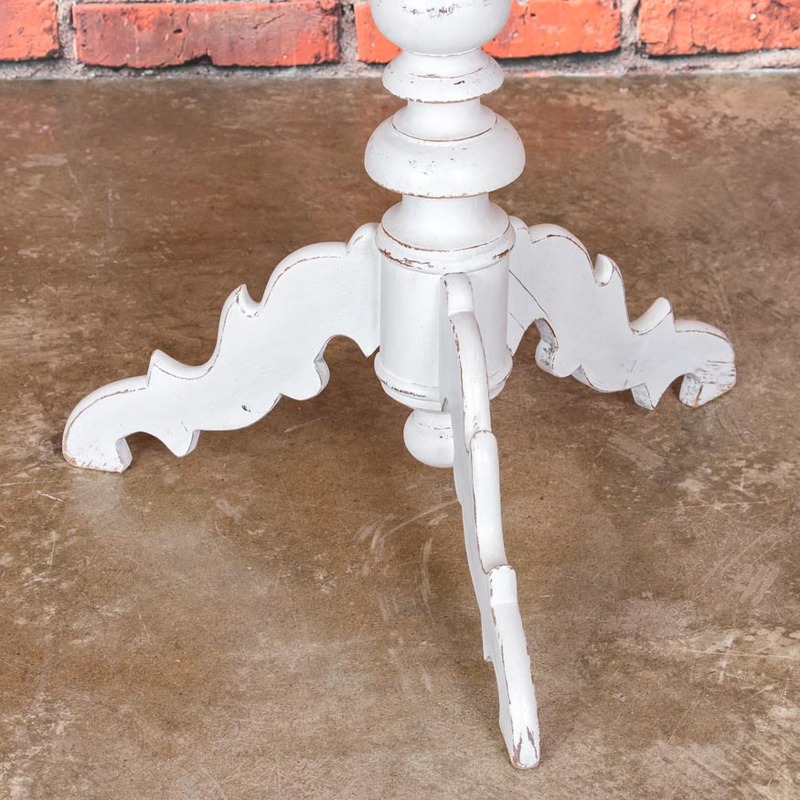 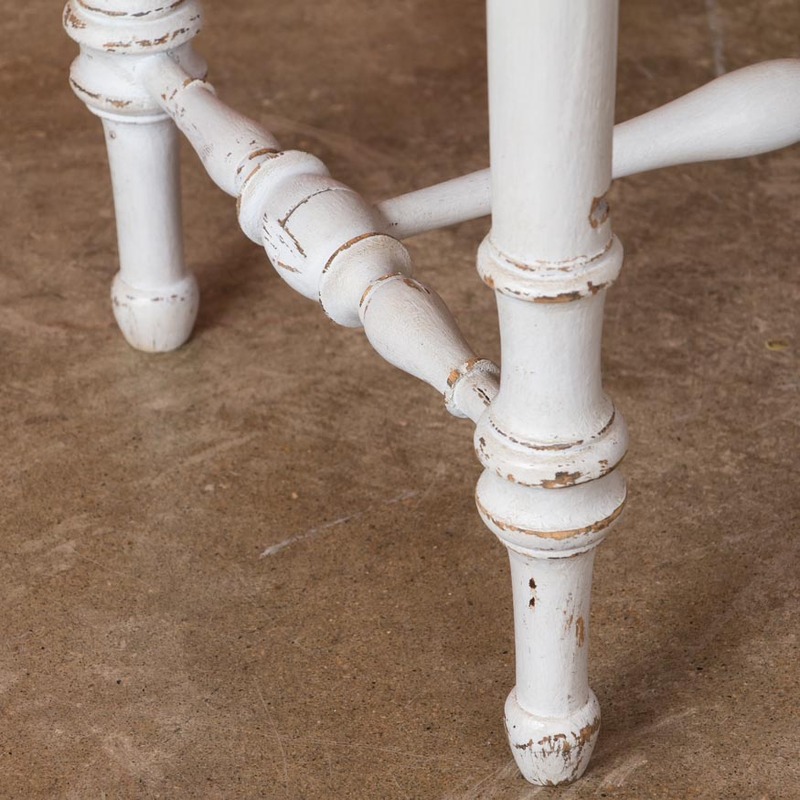 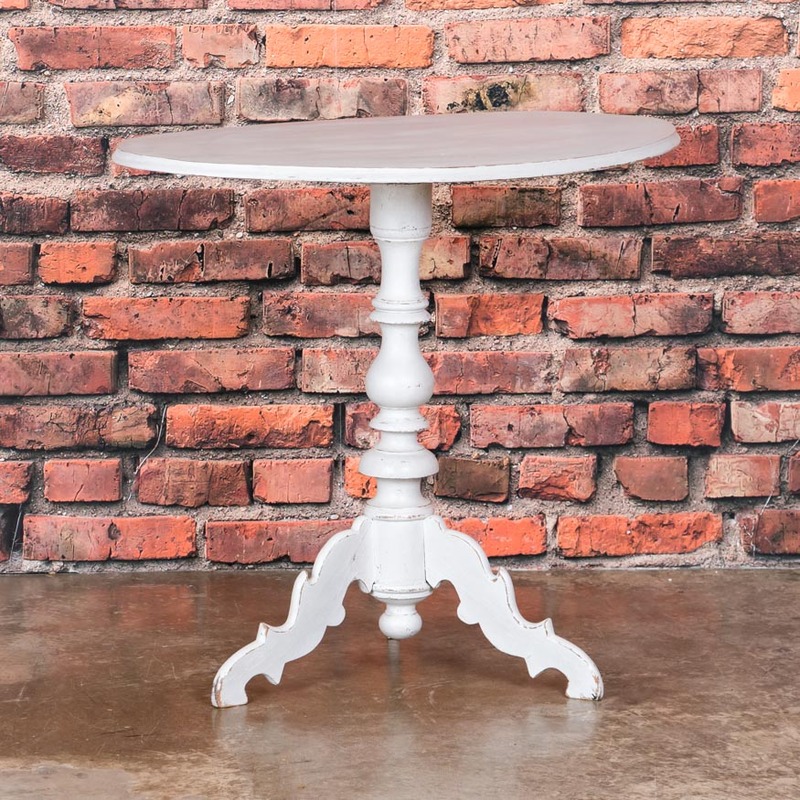 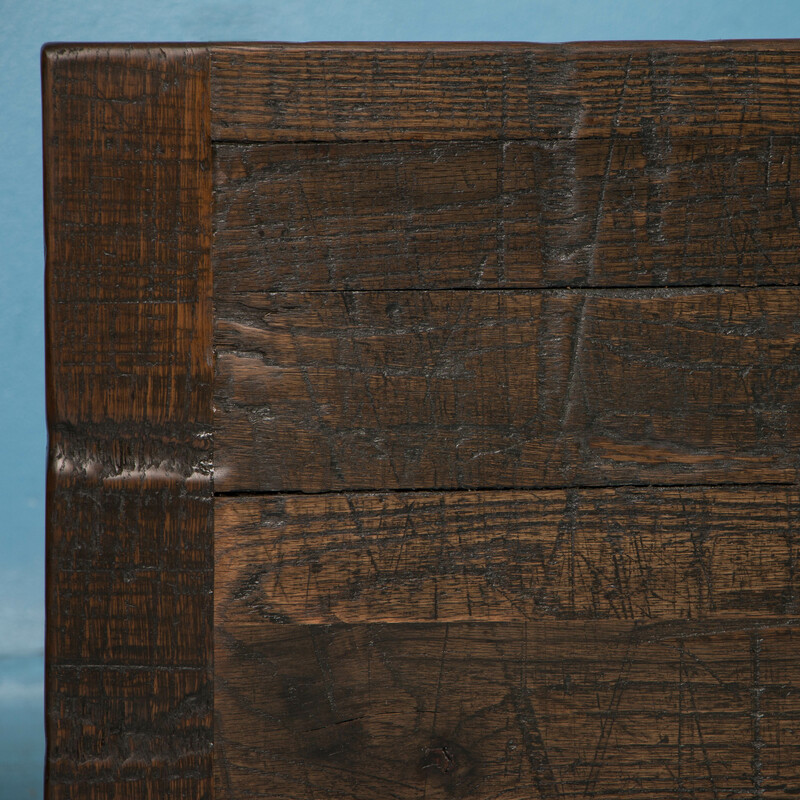 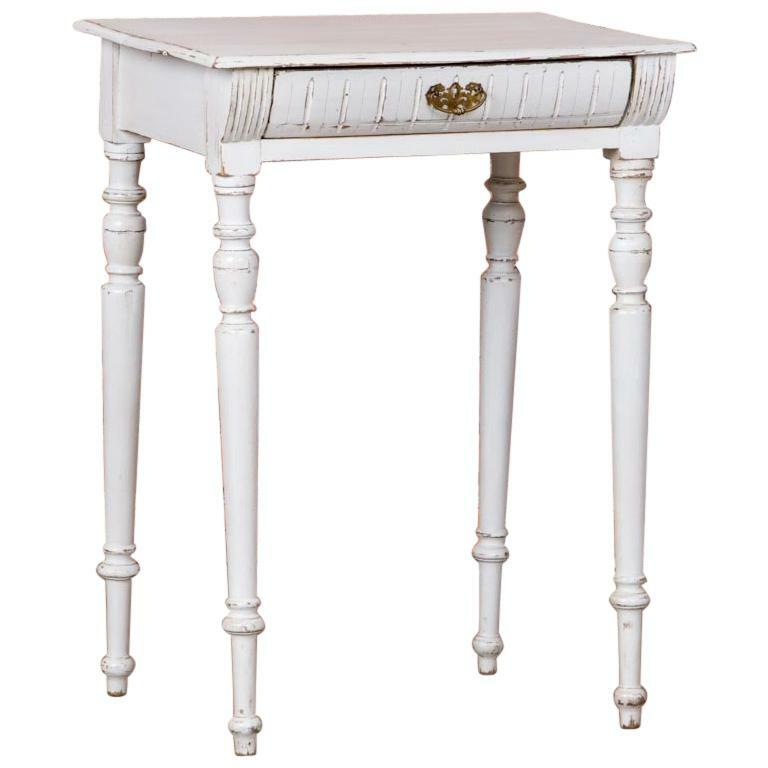 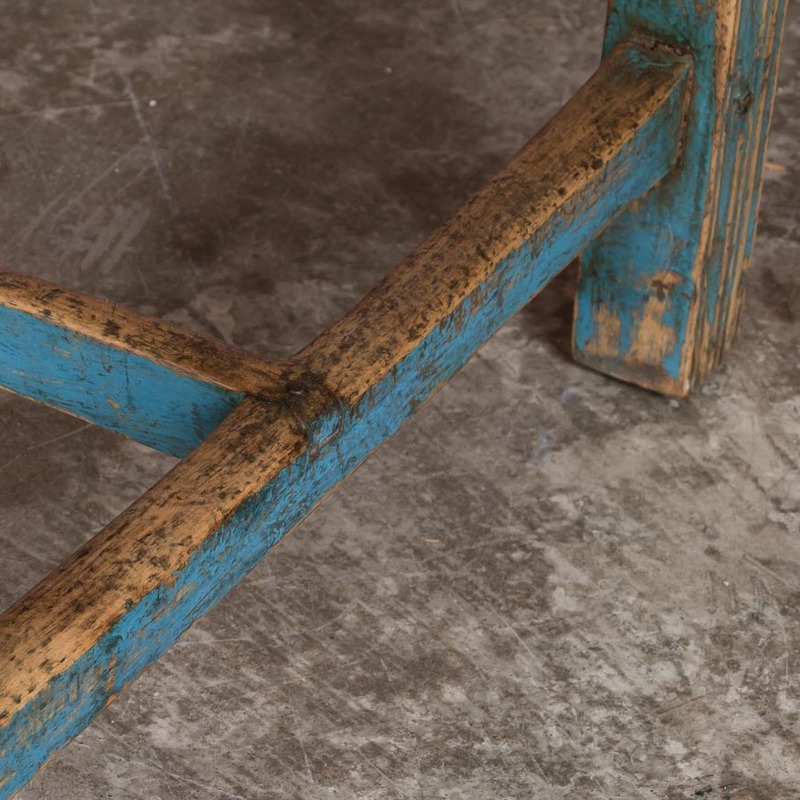 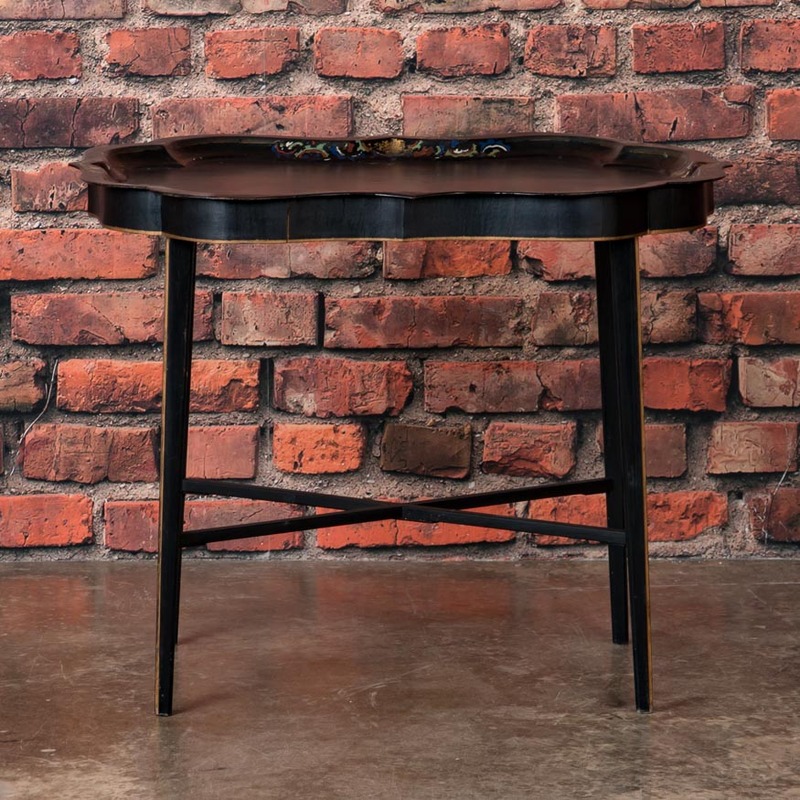 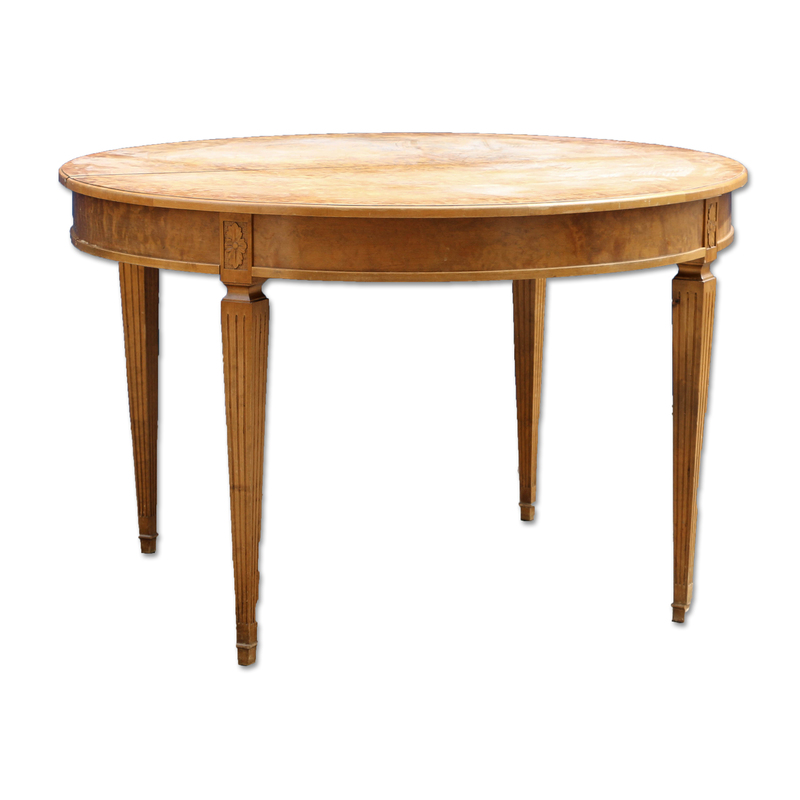 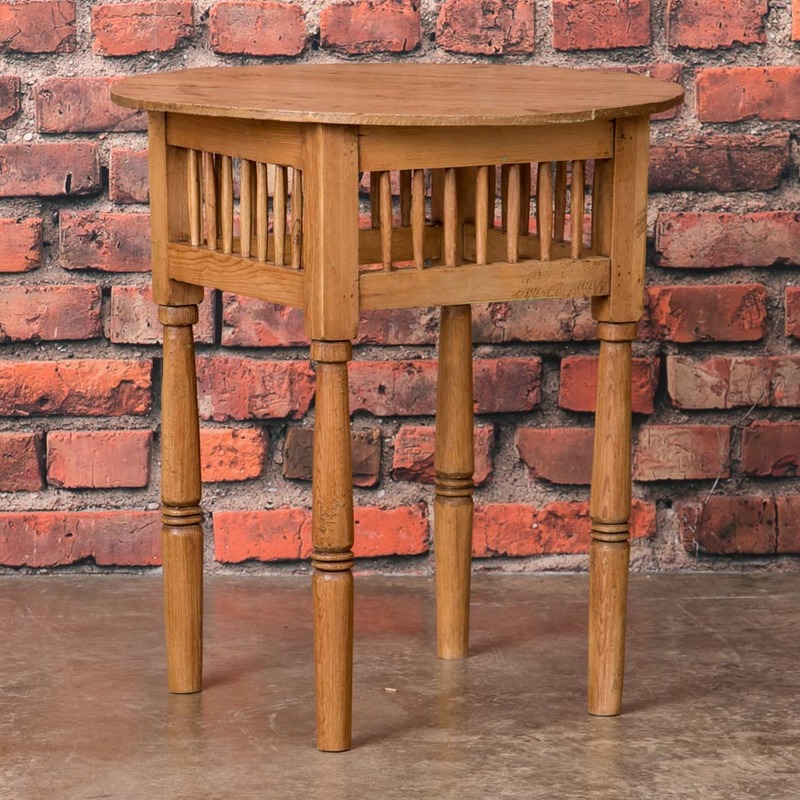 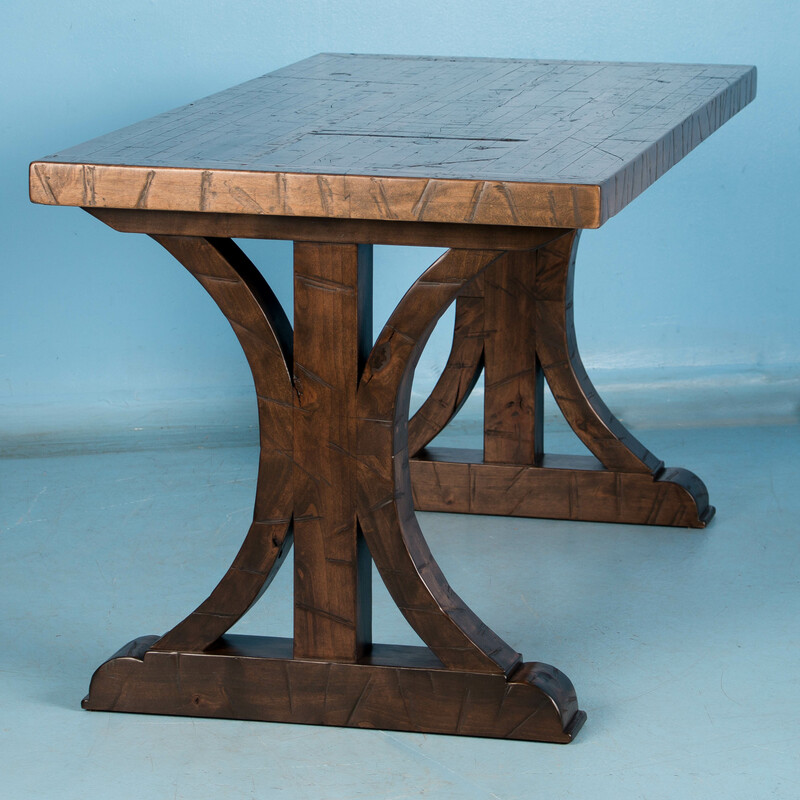 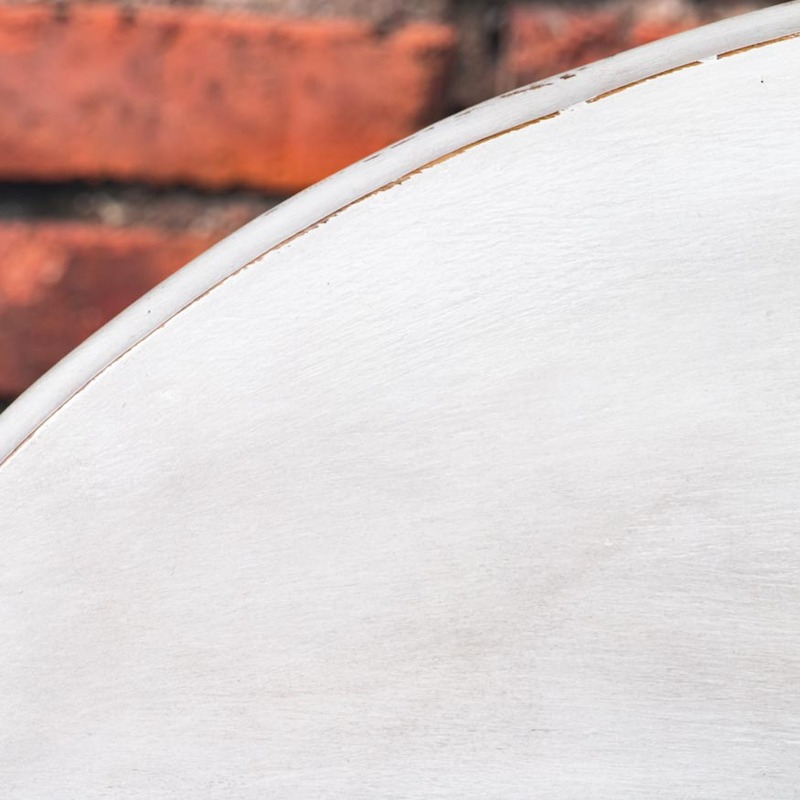 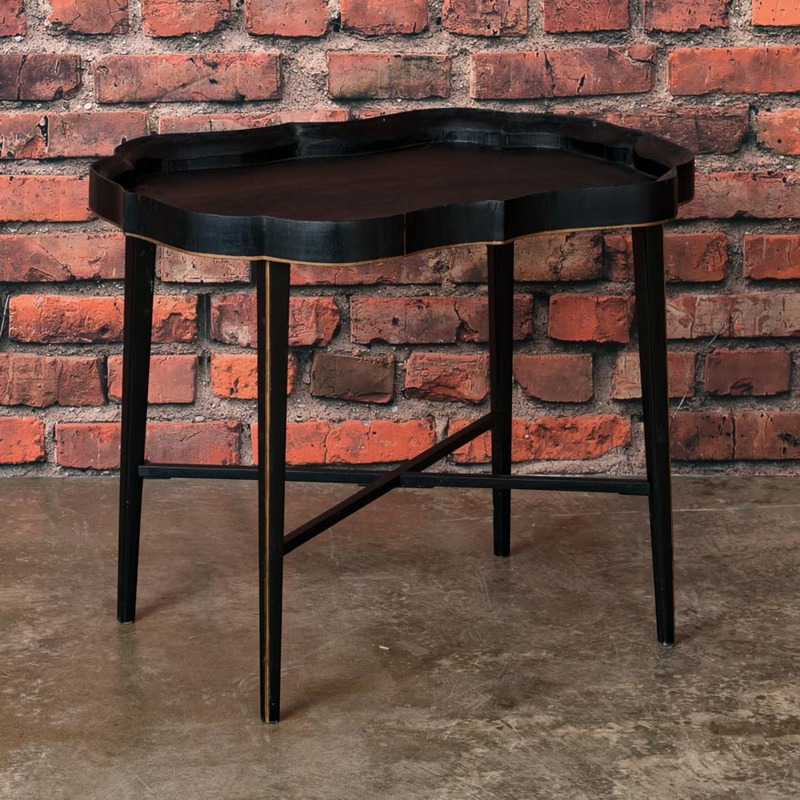 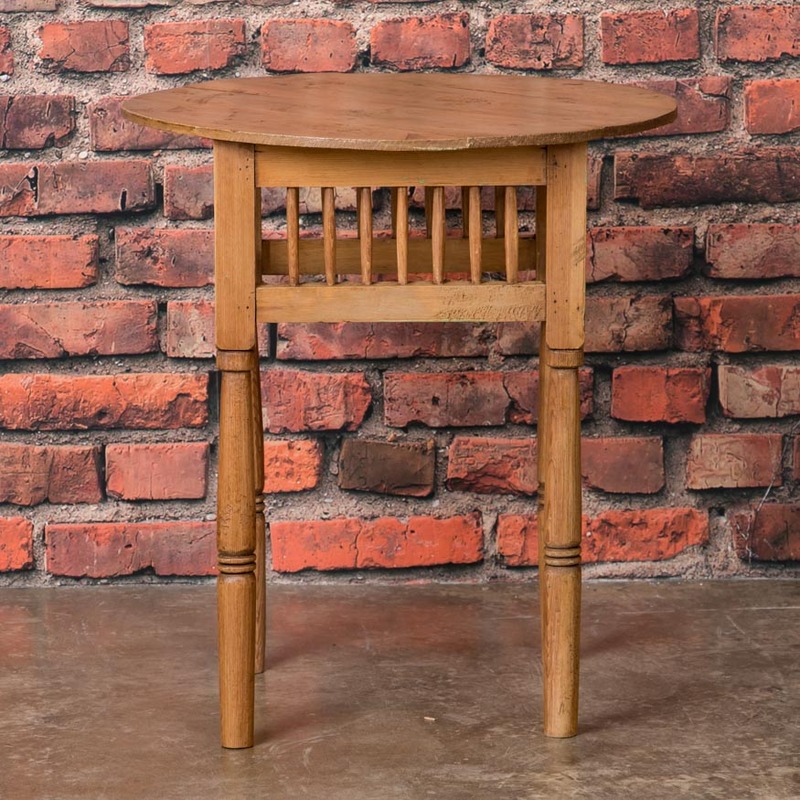 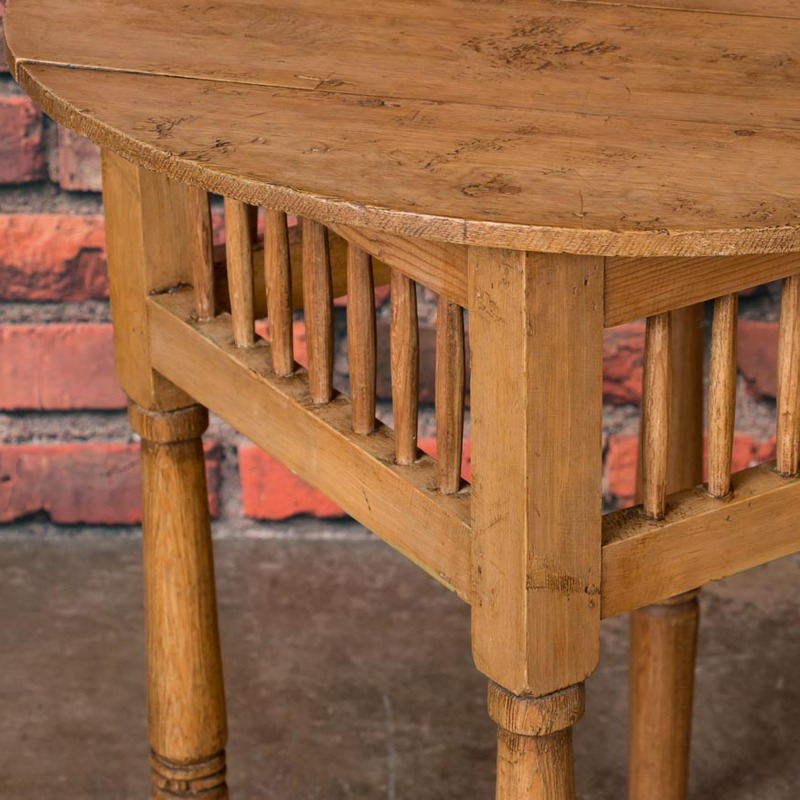 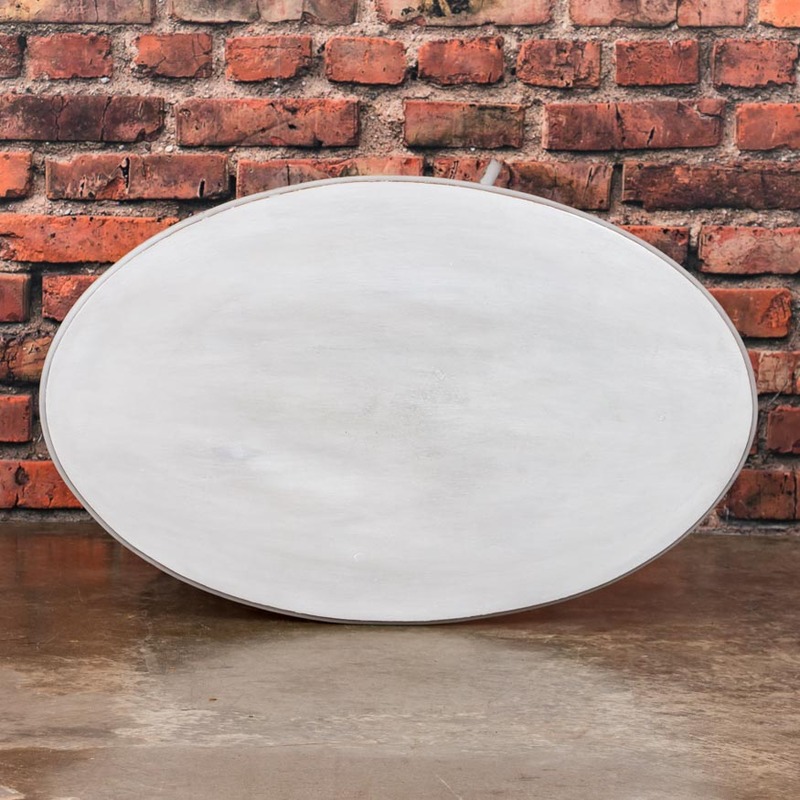 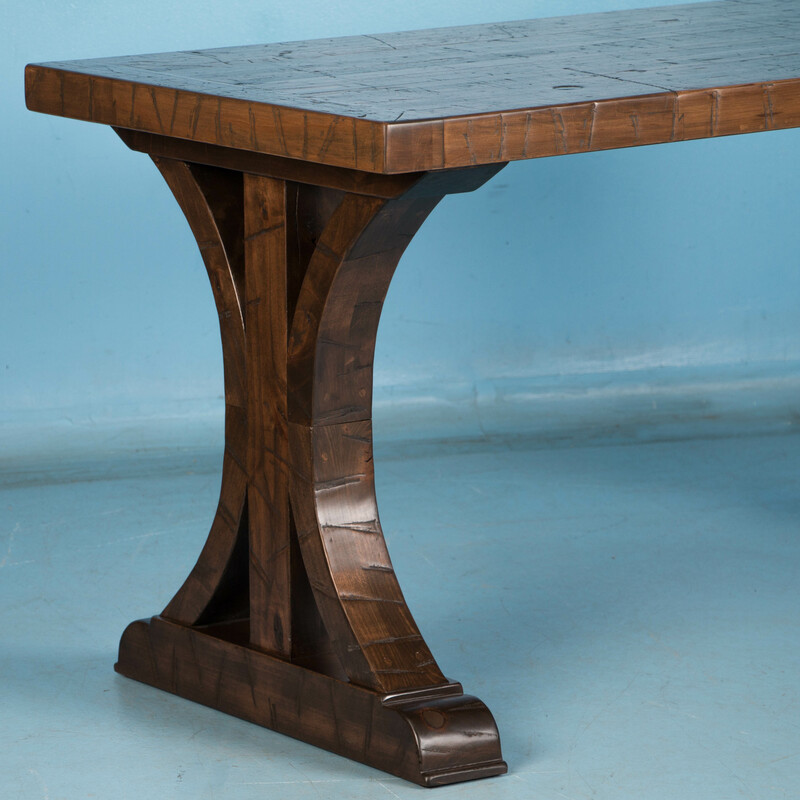 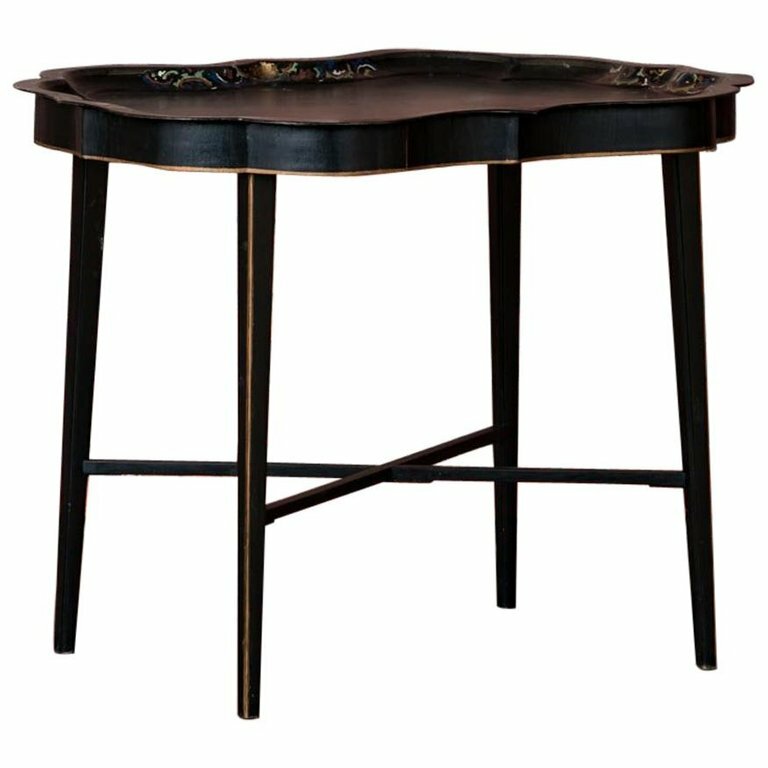 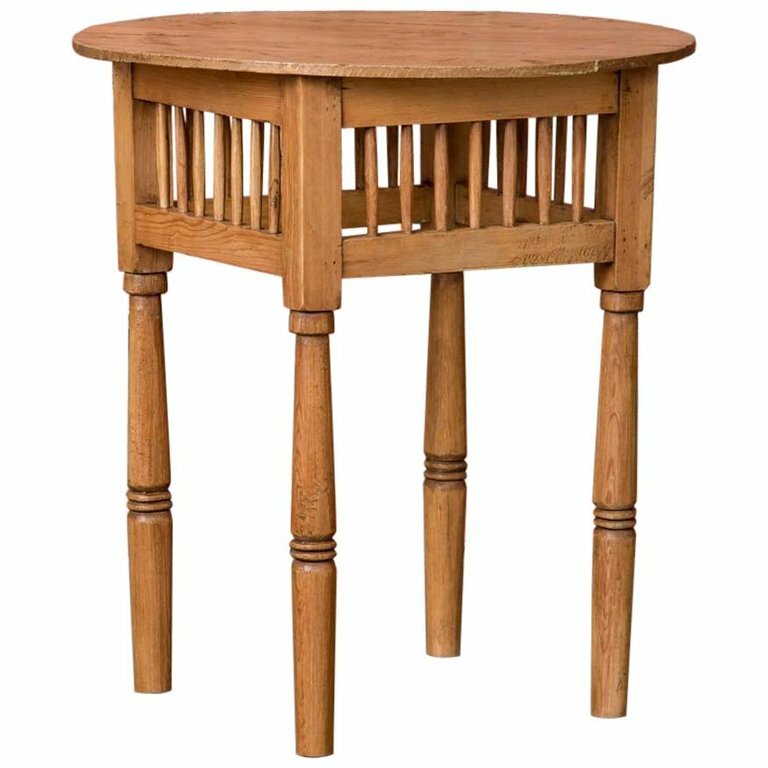 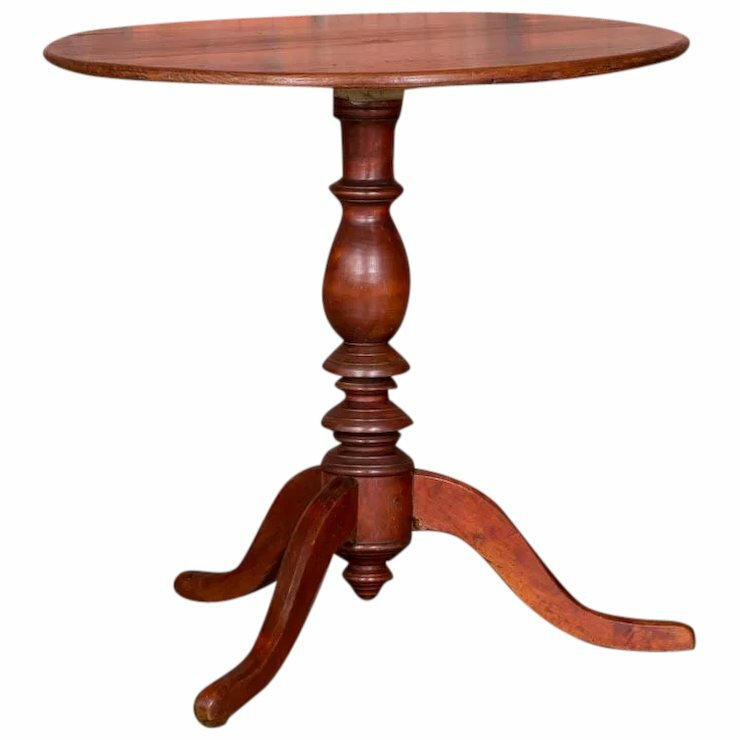 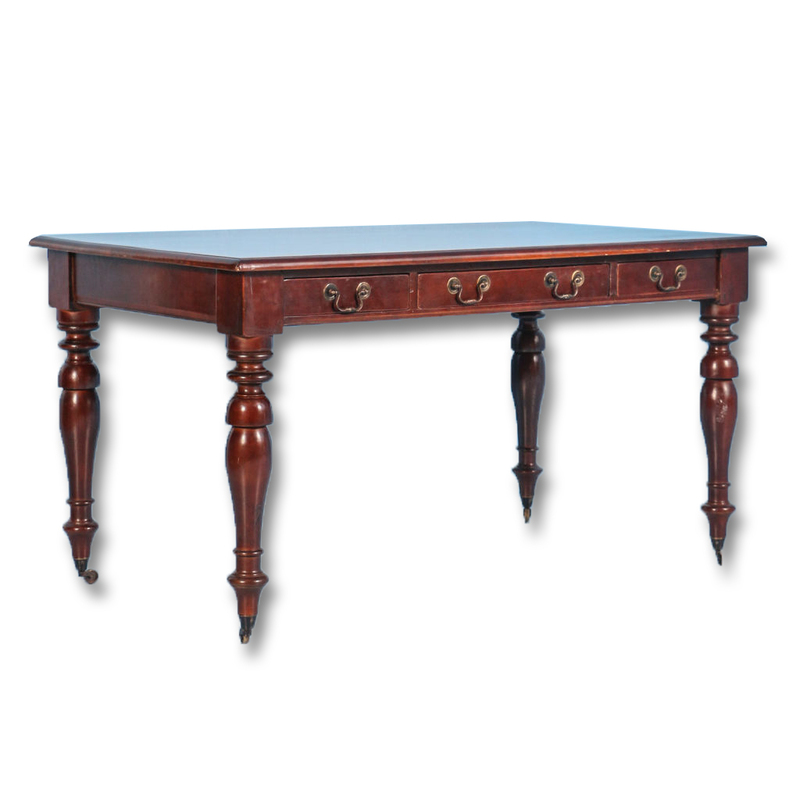 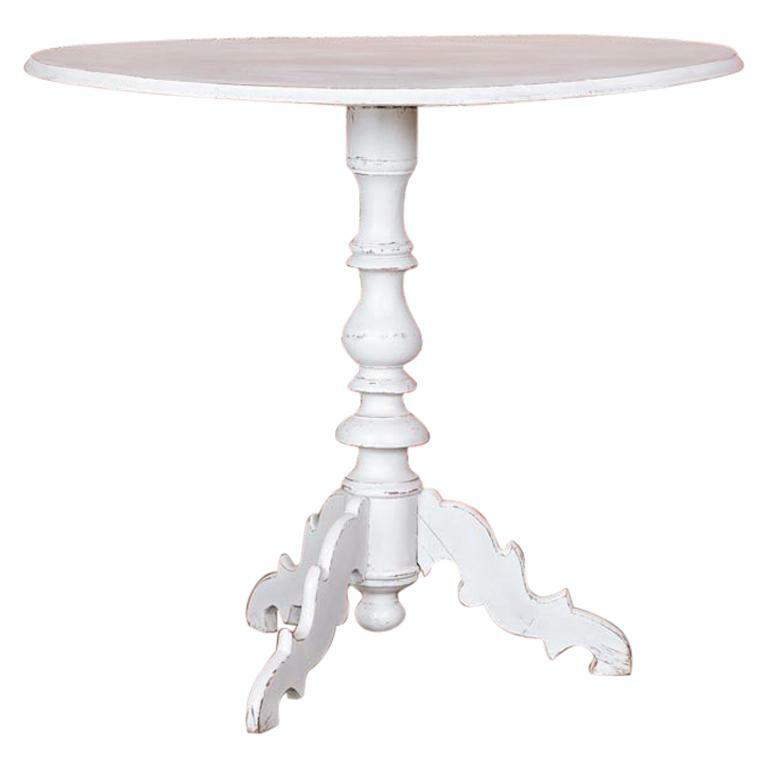 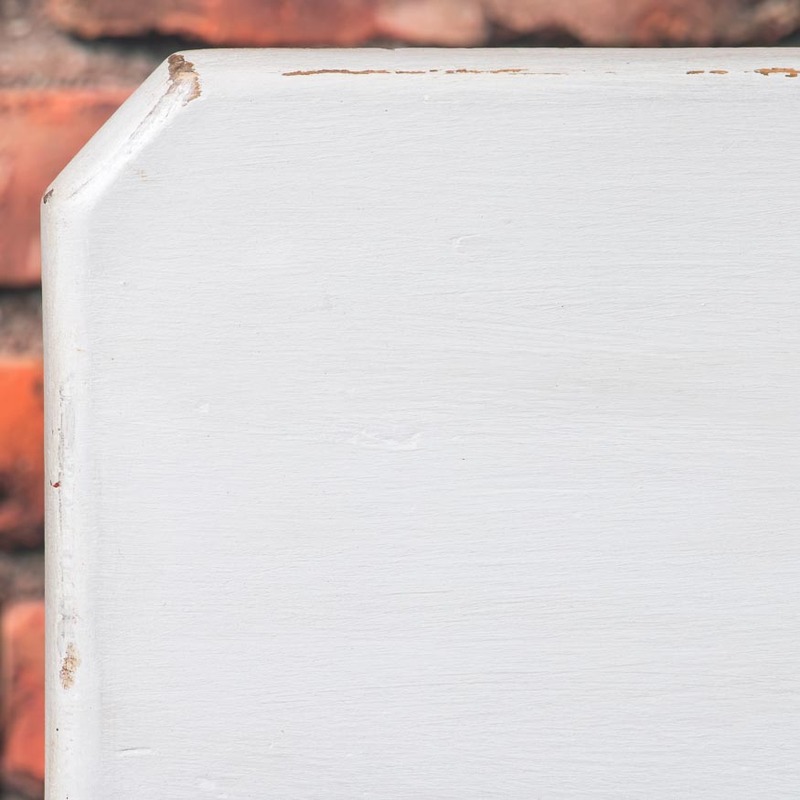 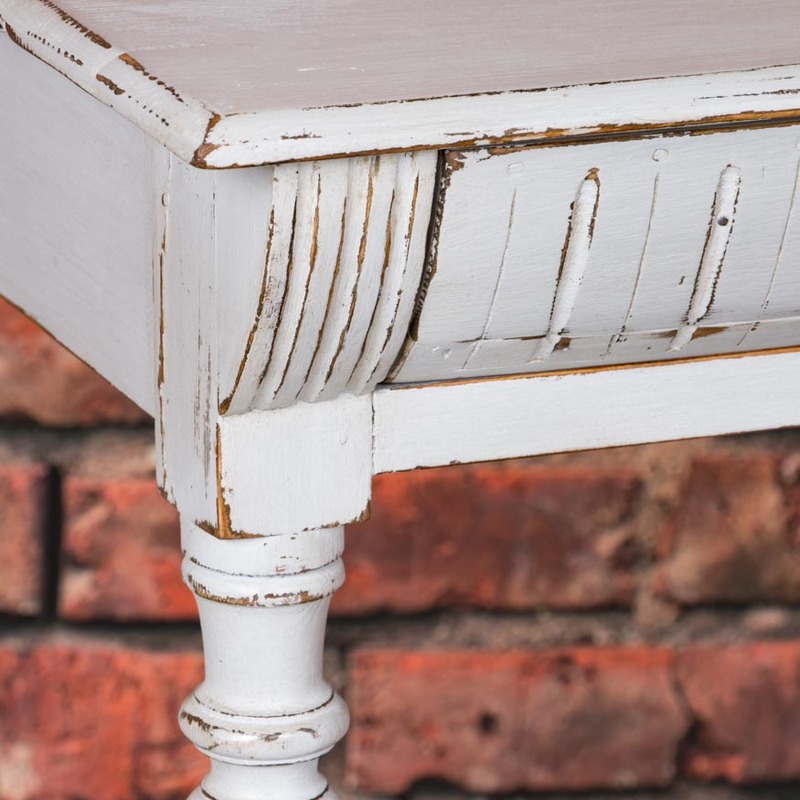 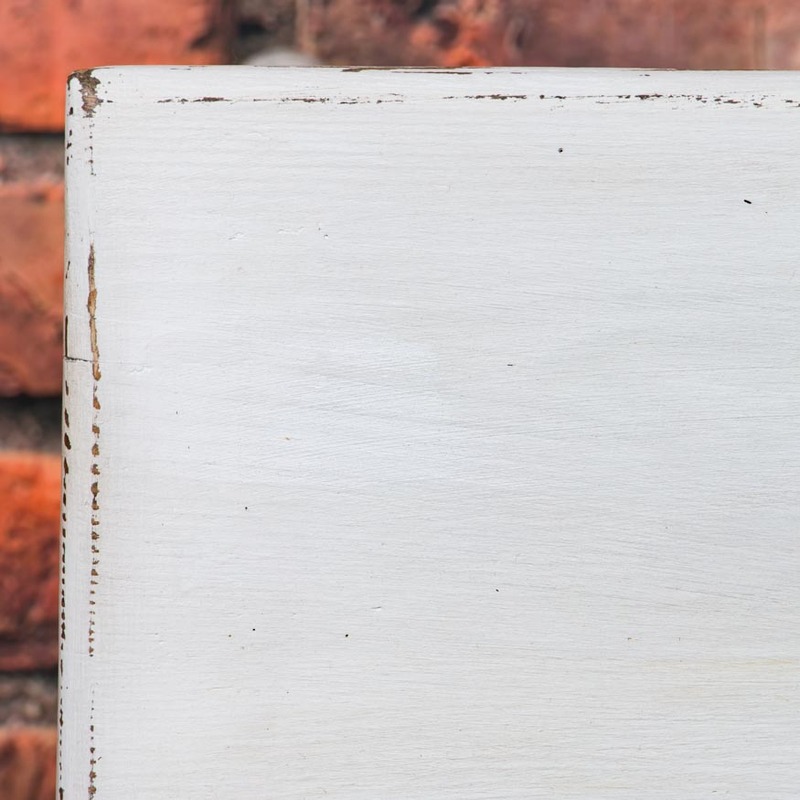 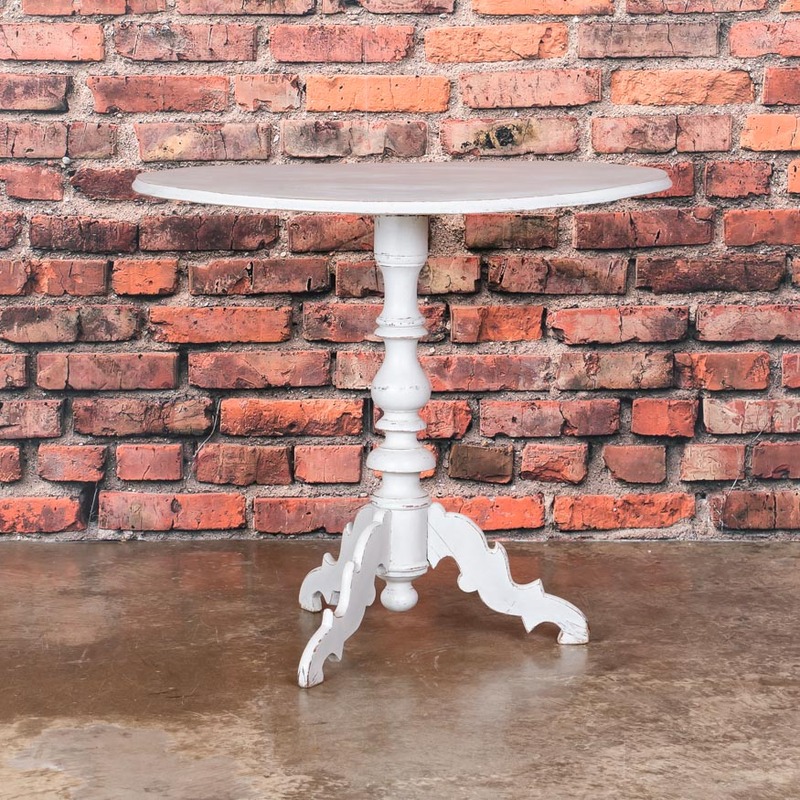 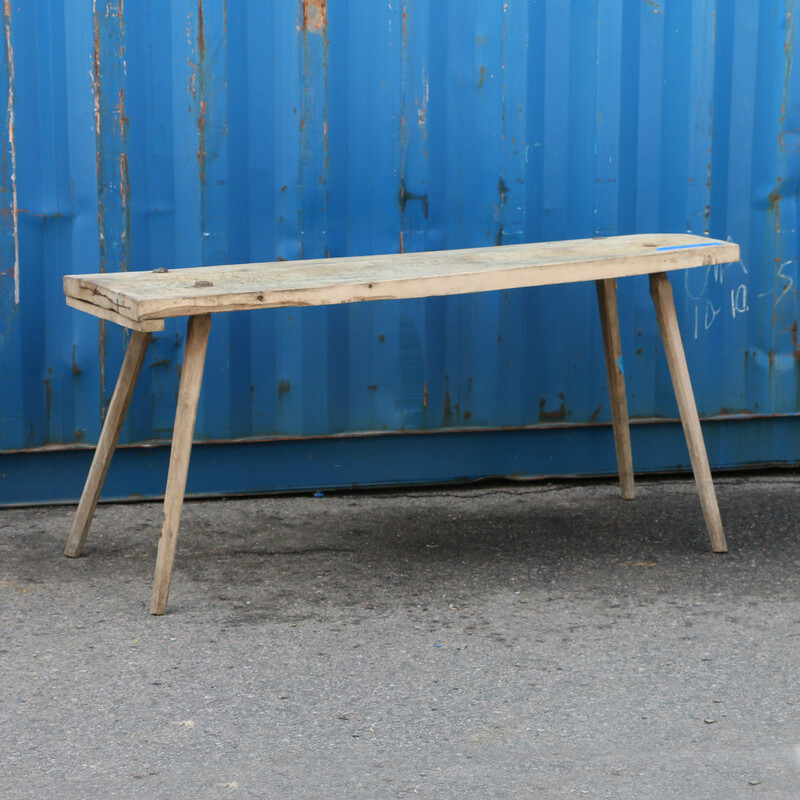 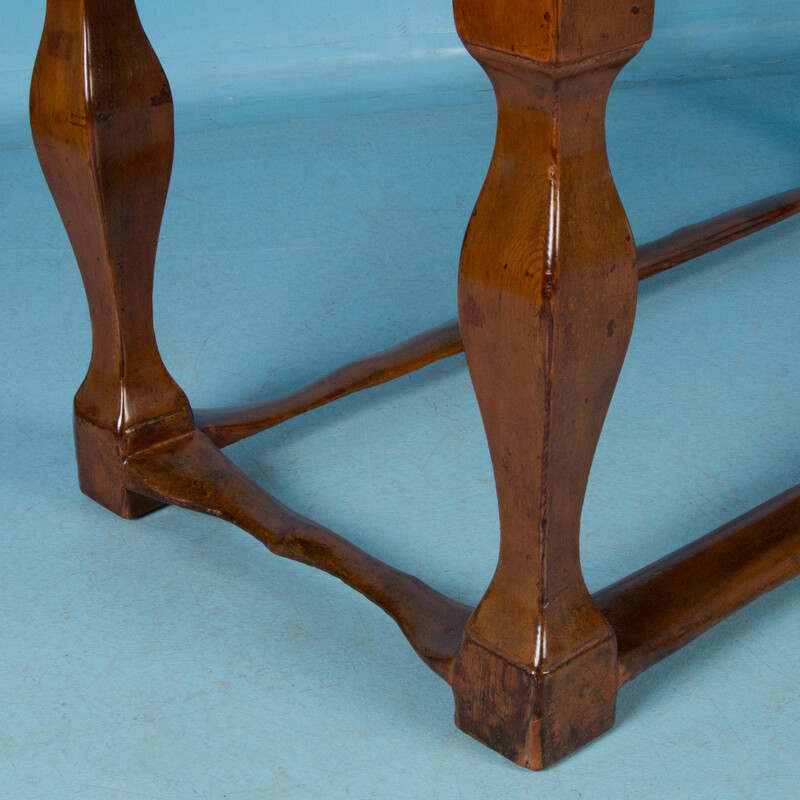 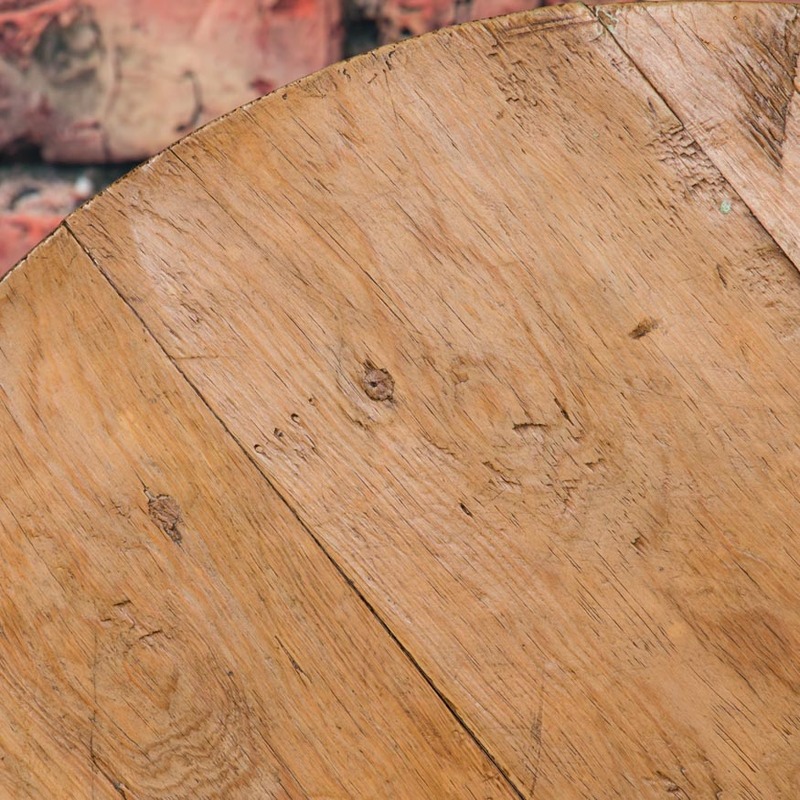 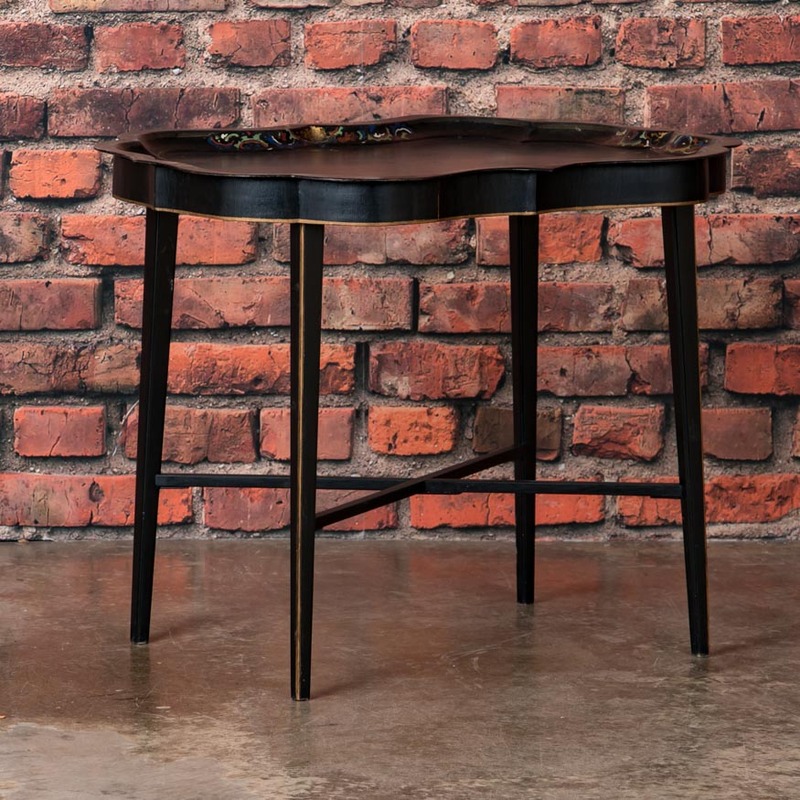 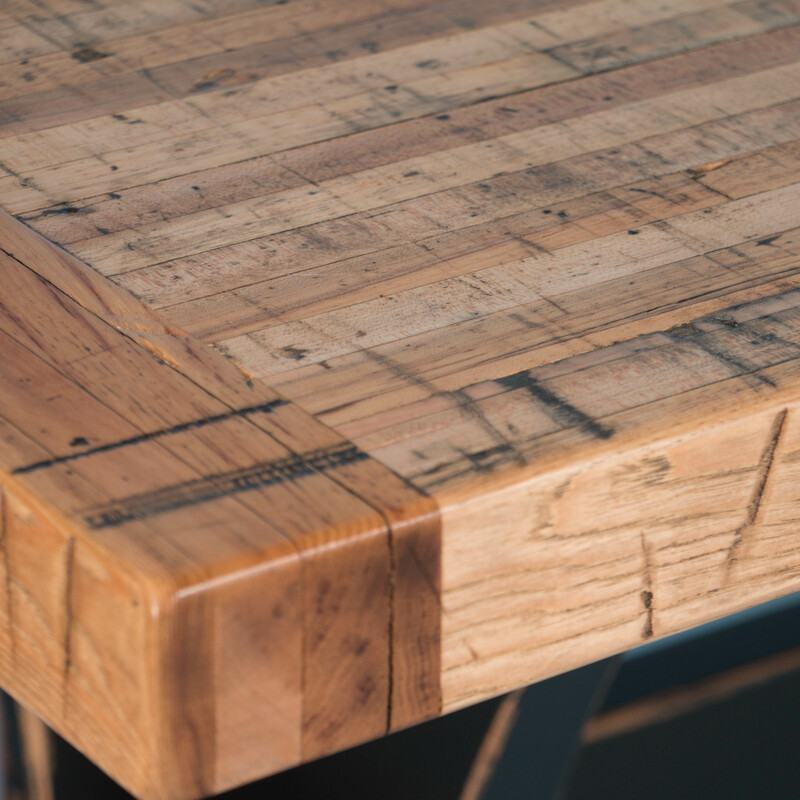 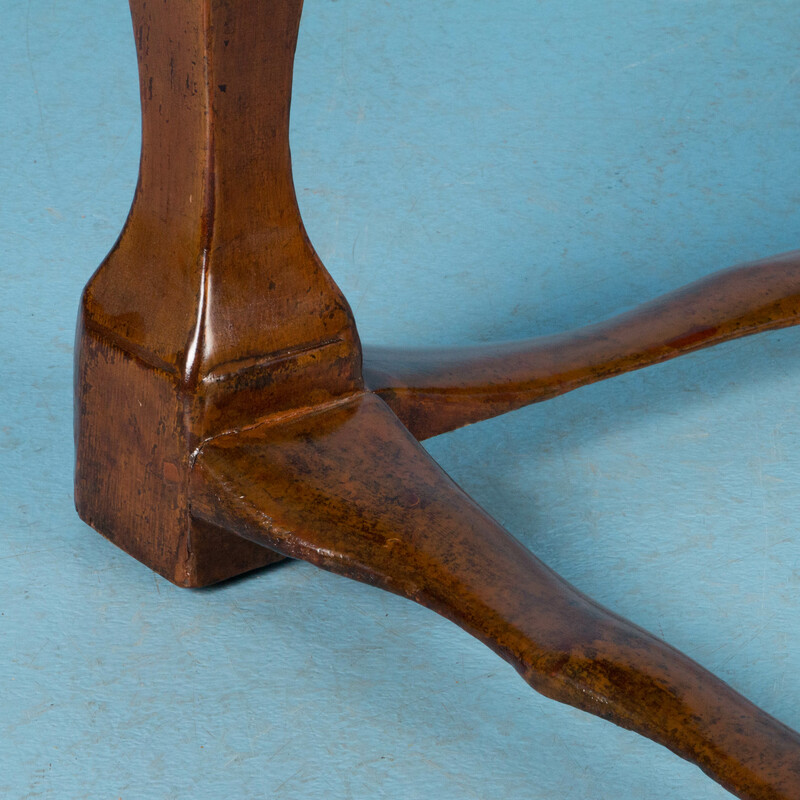 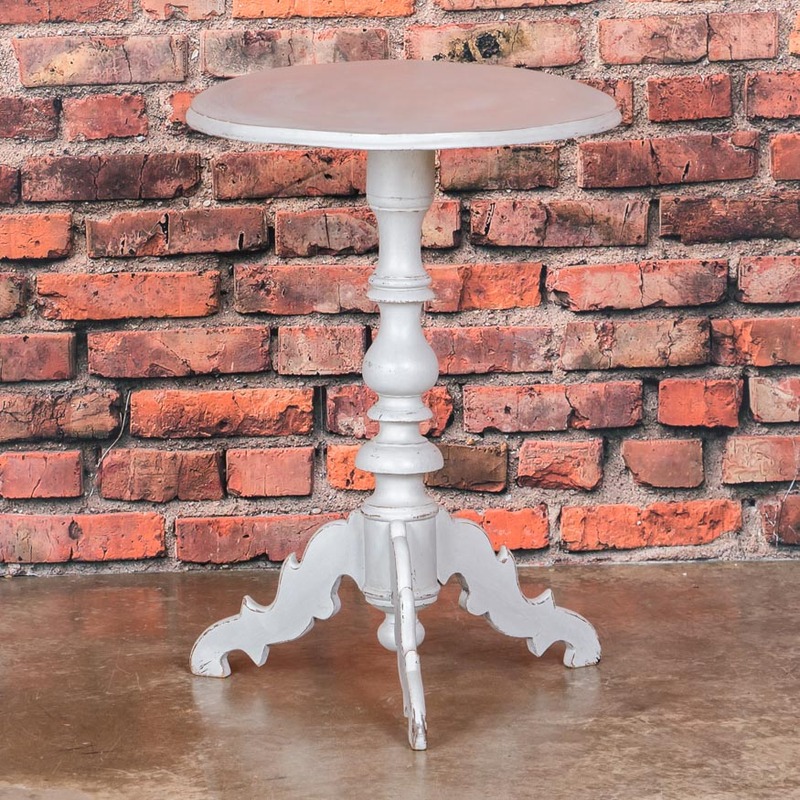 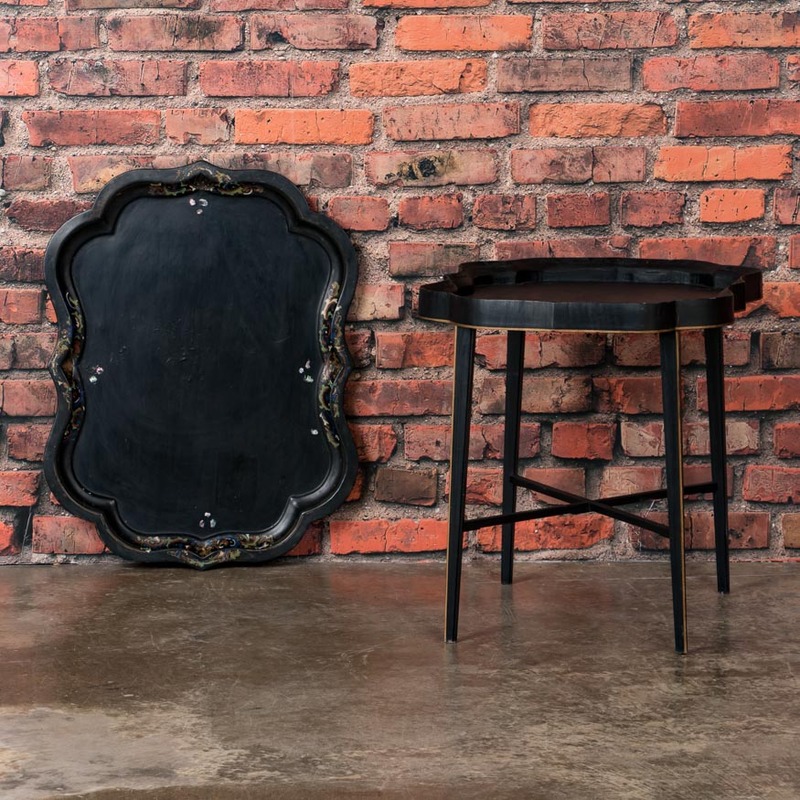 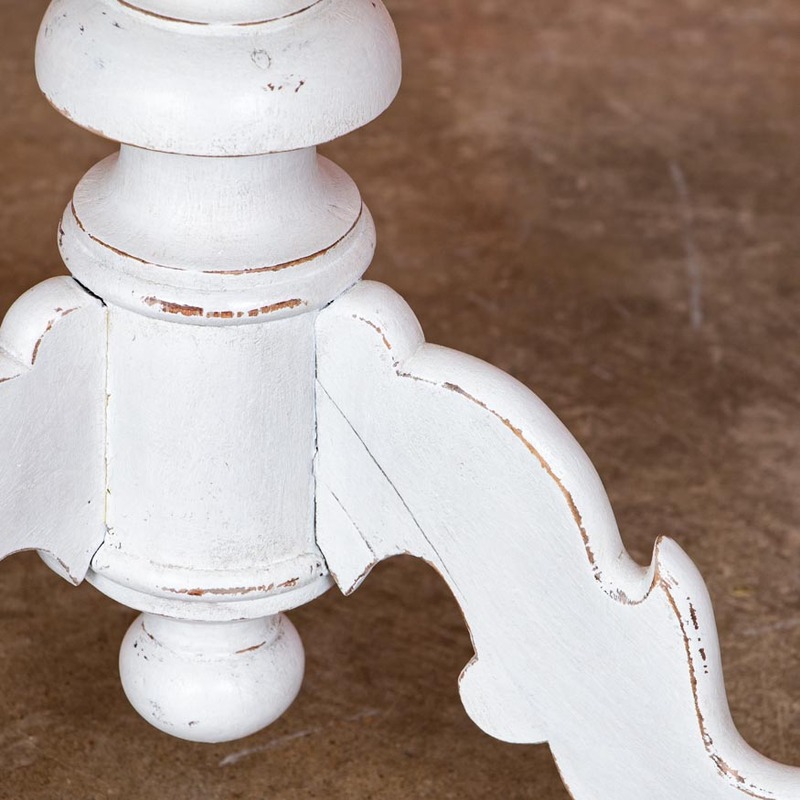 This table features tapered legs. 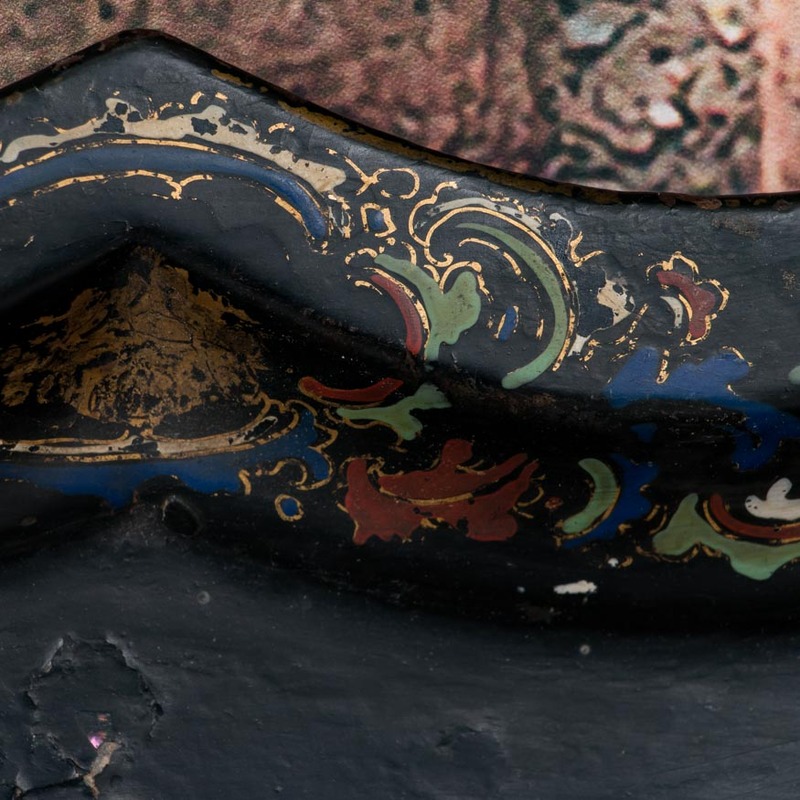 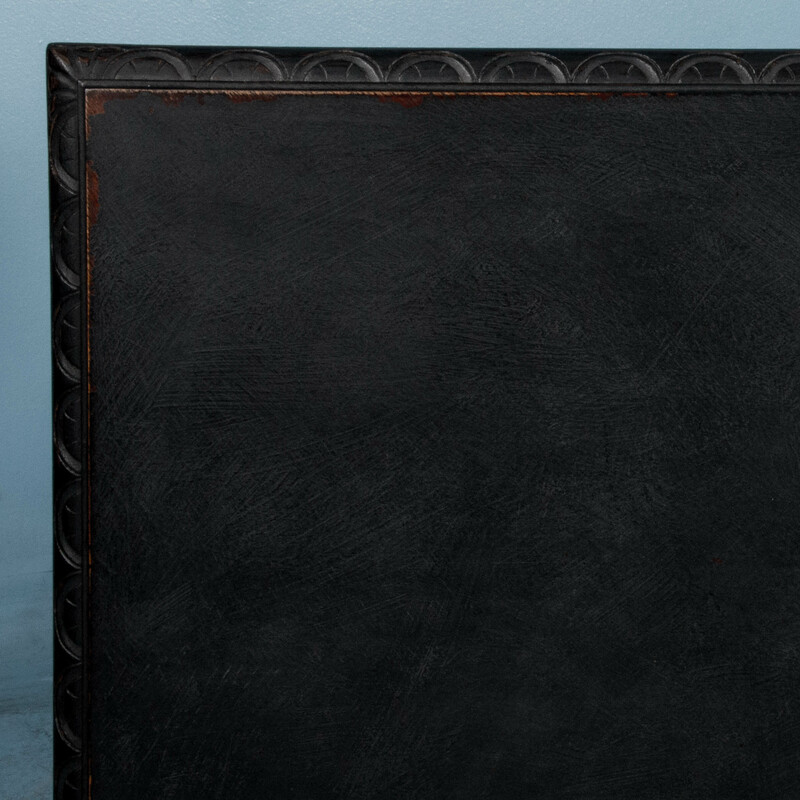 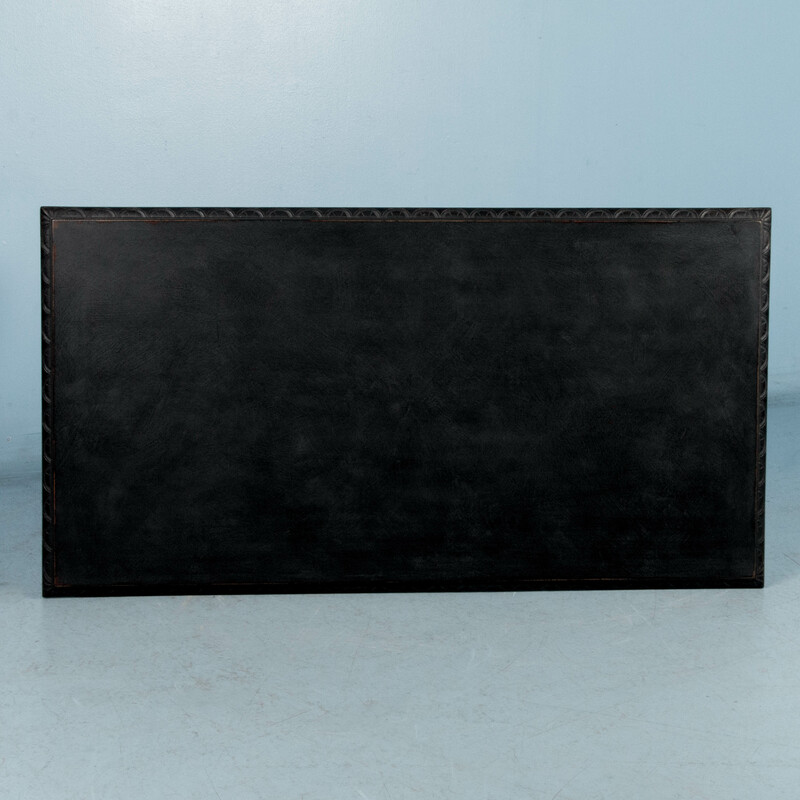 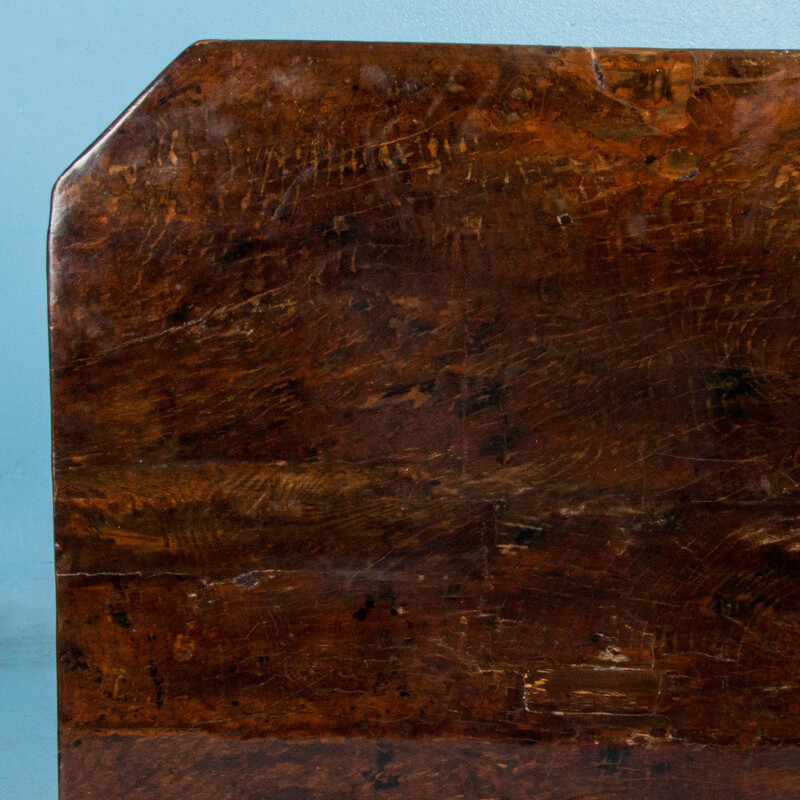 a deep apron with two drawers, and applied carving to the front. 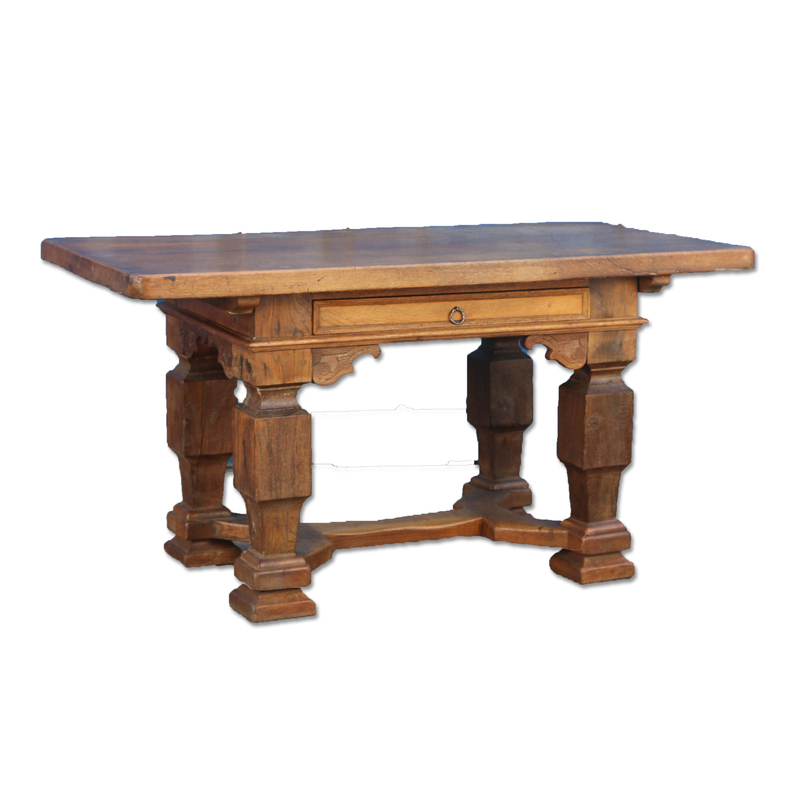 Rustic Spanish work table with a natural hardwood top and walnut stained pine base. 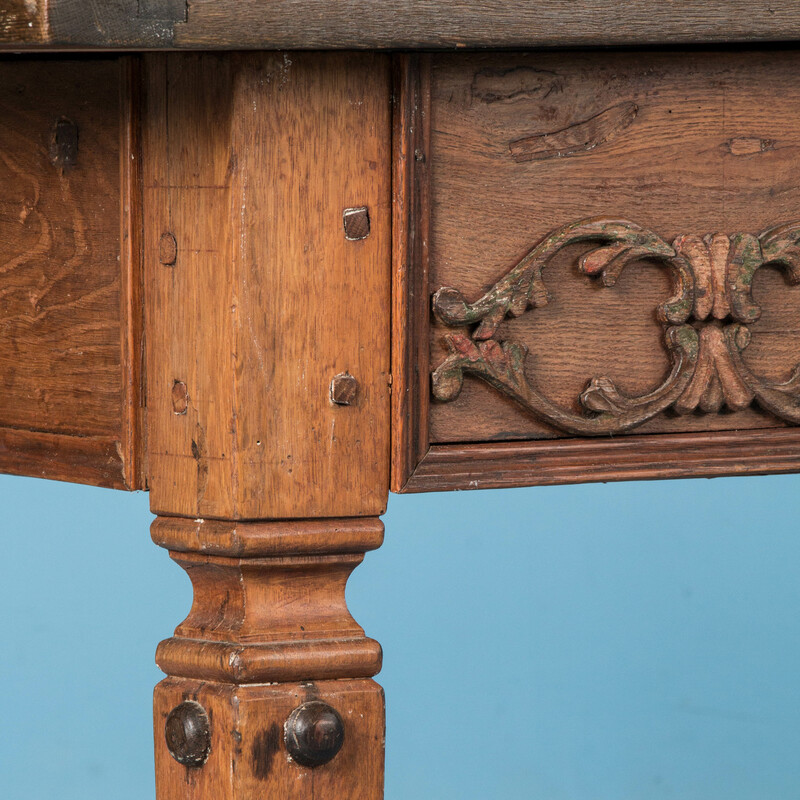 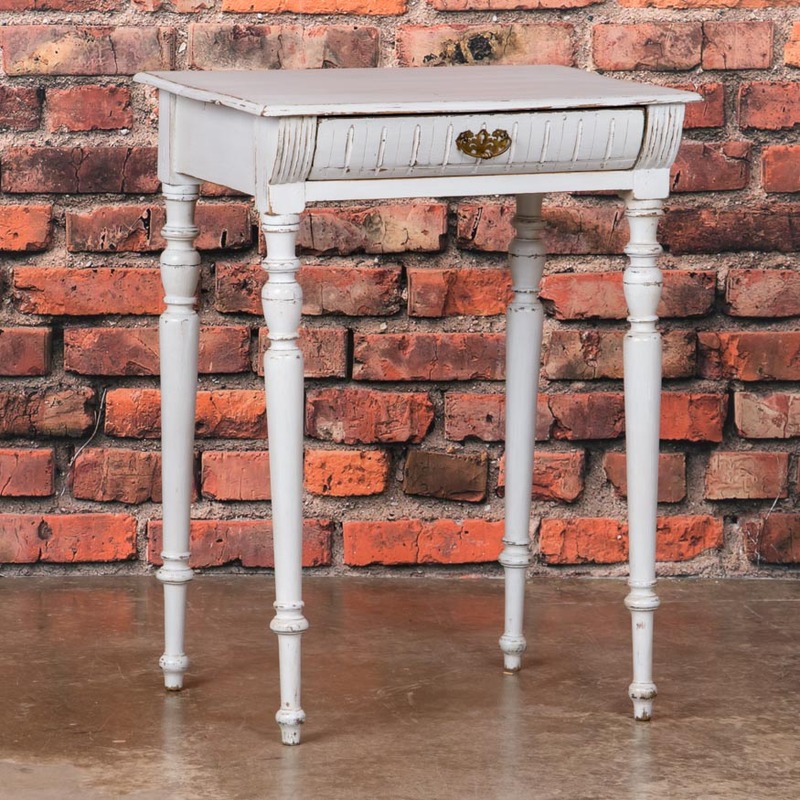 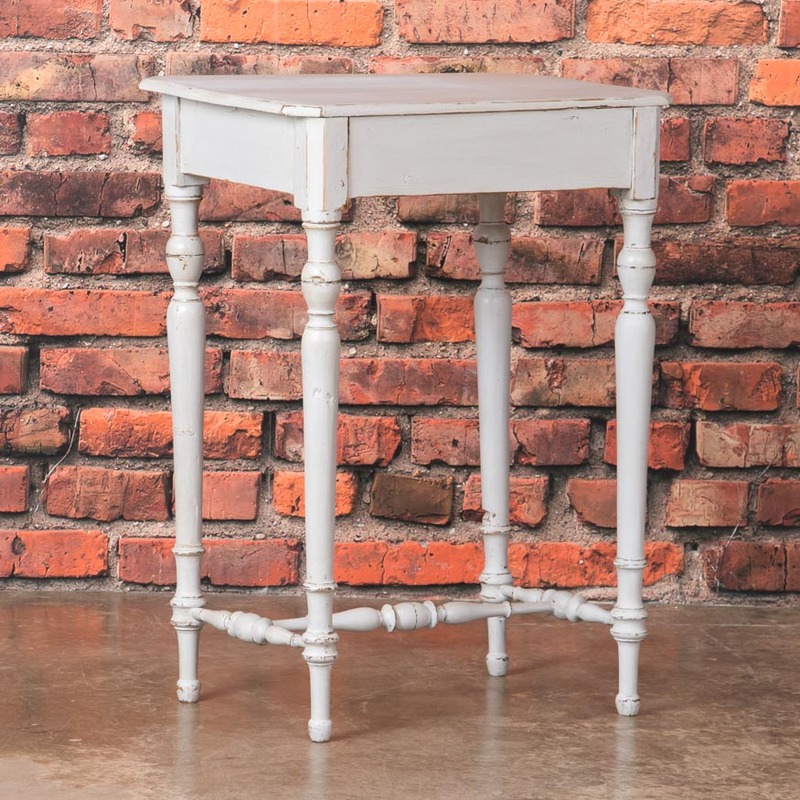 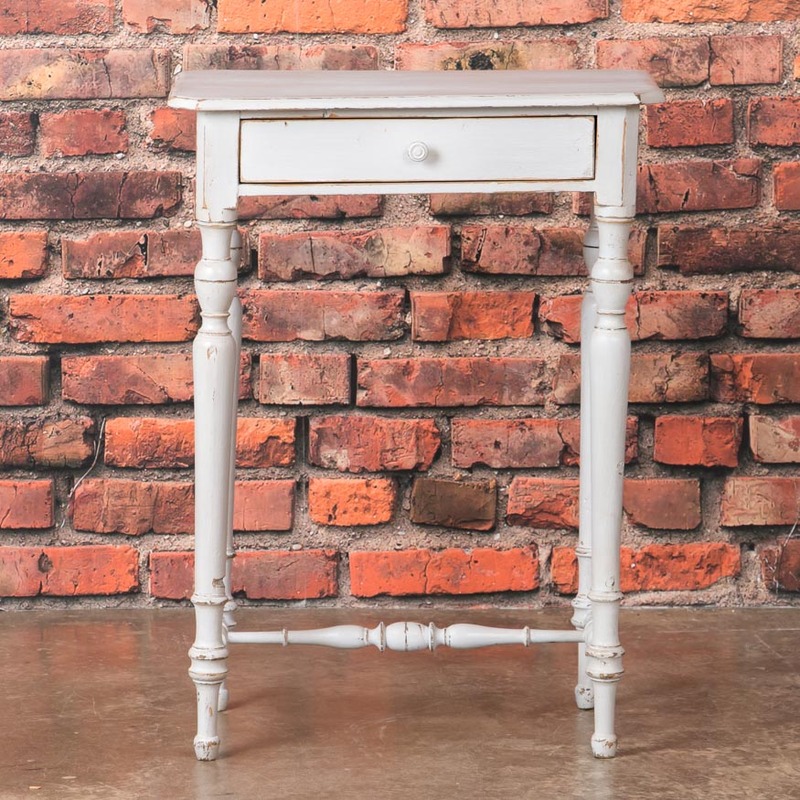 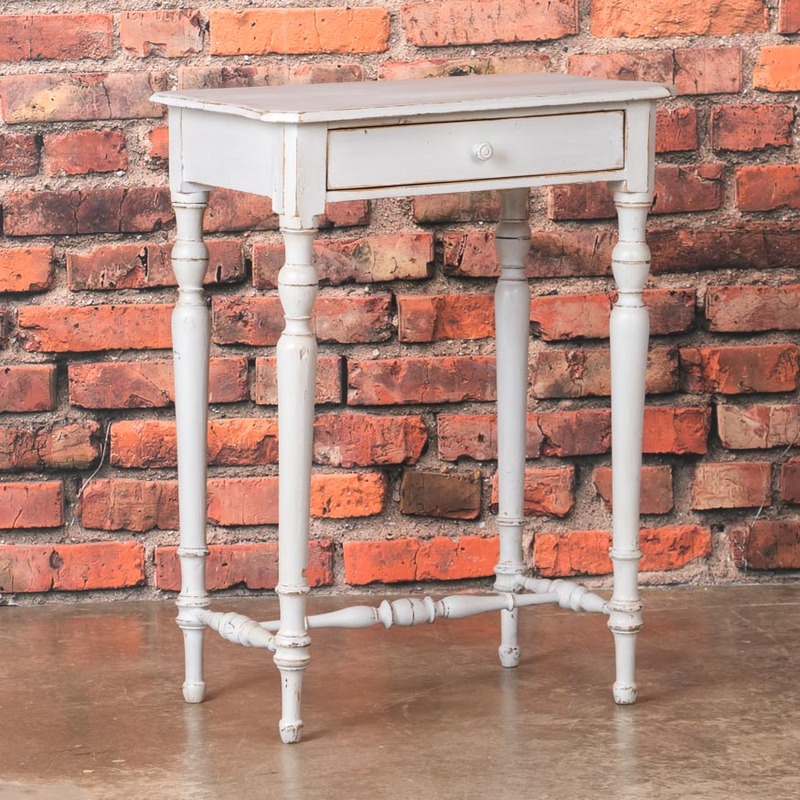 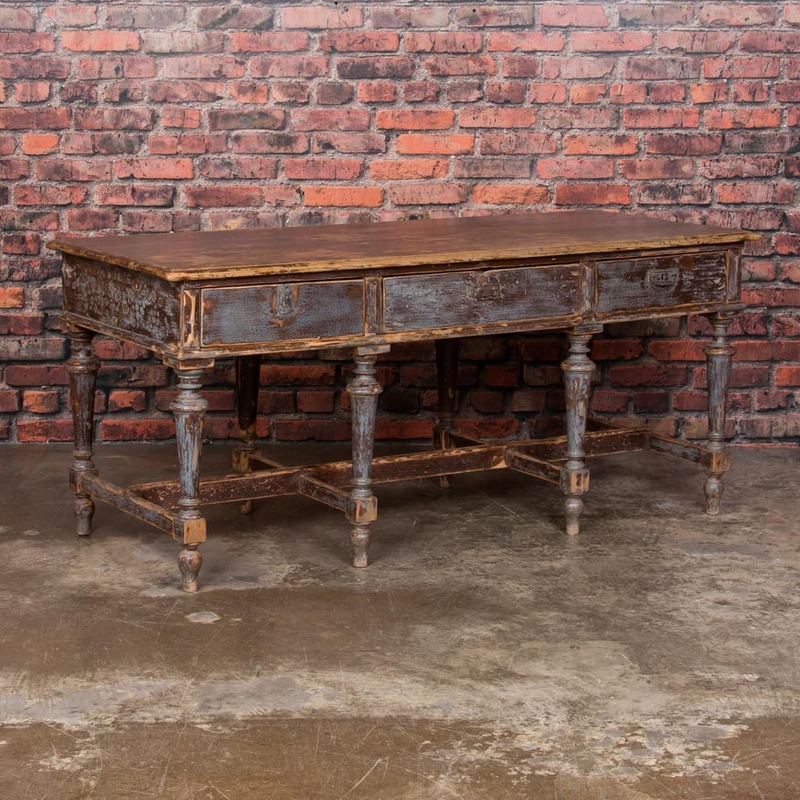 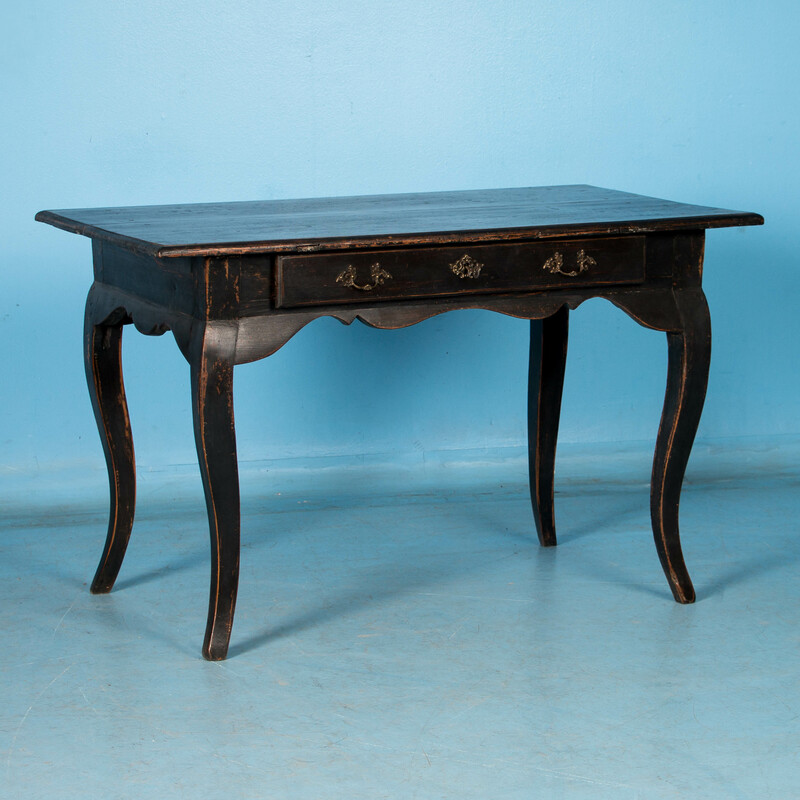 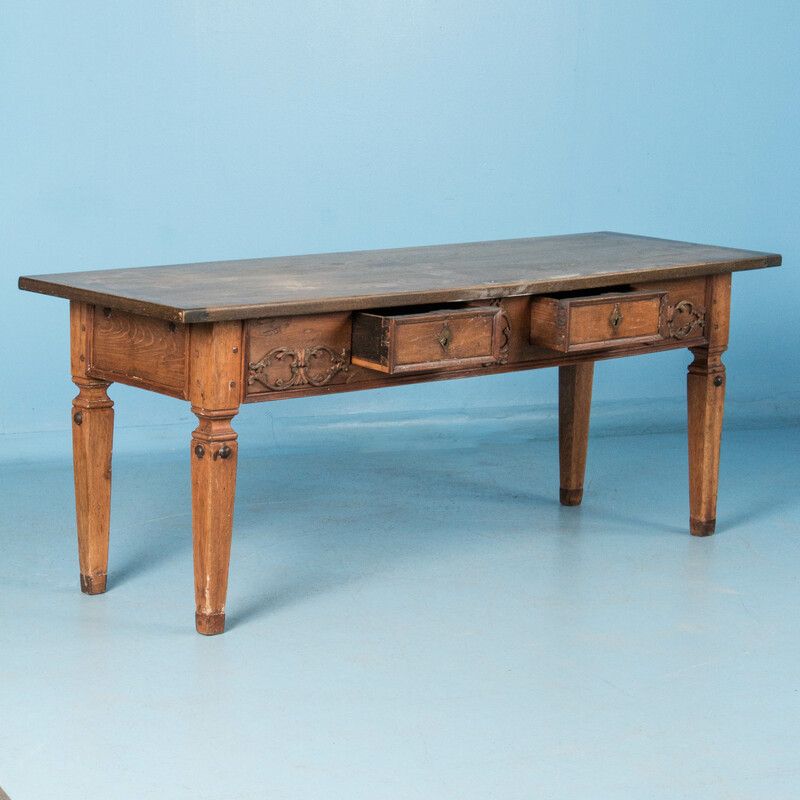 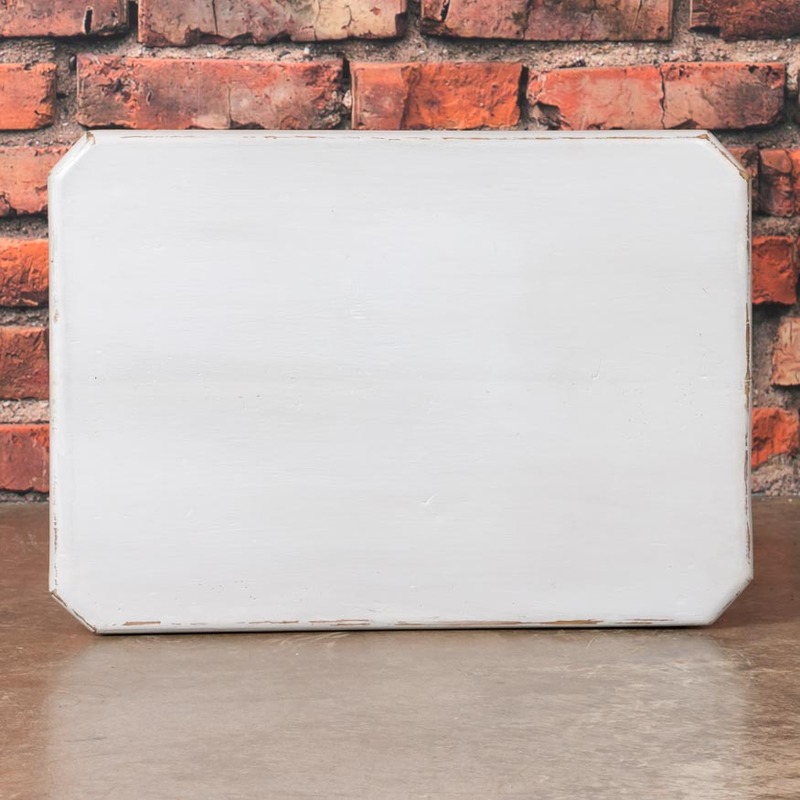 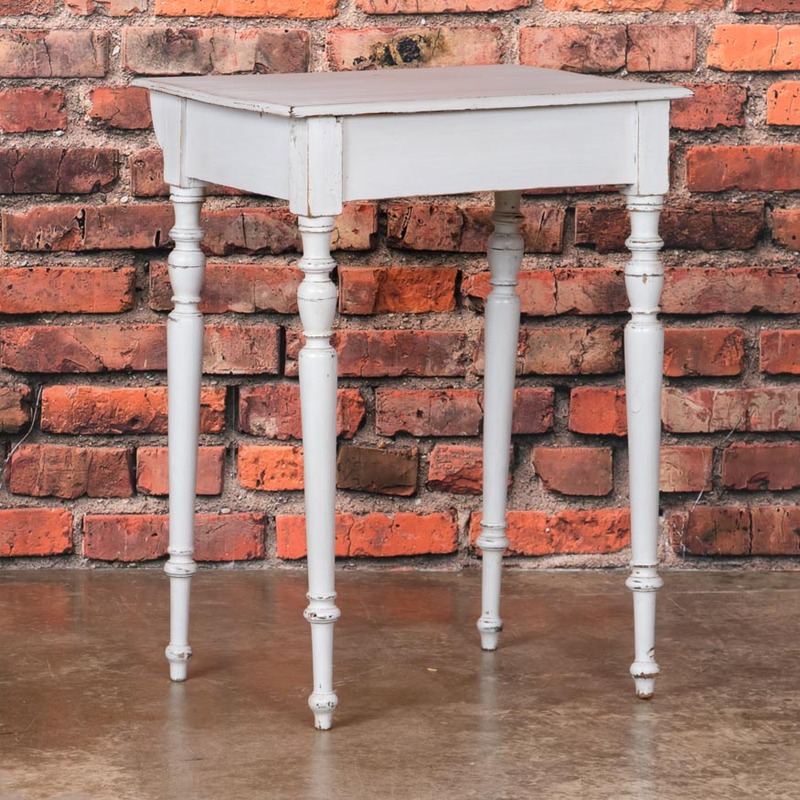 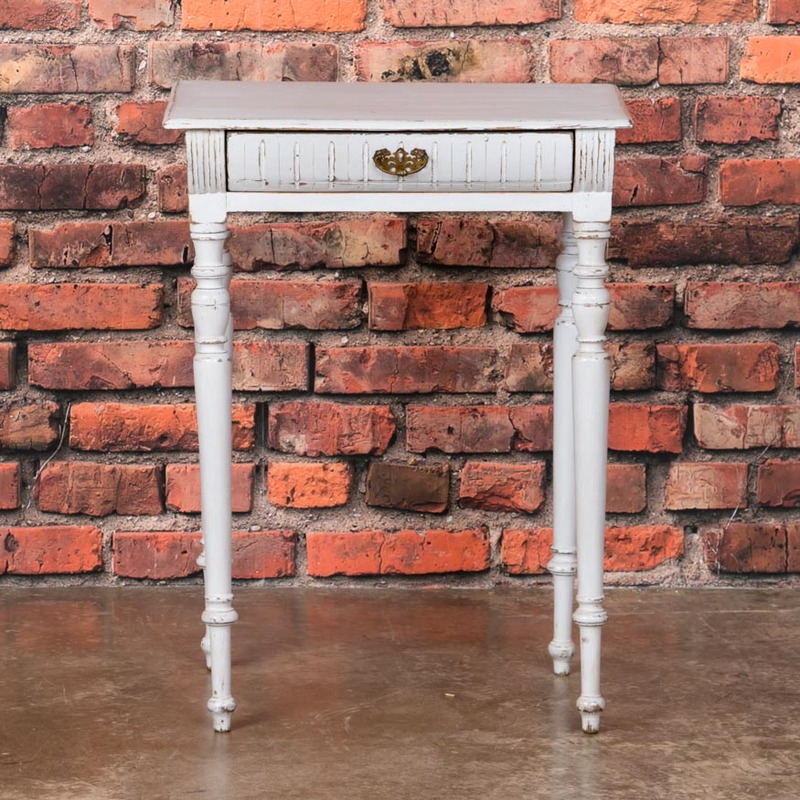 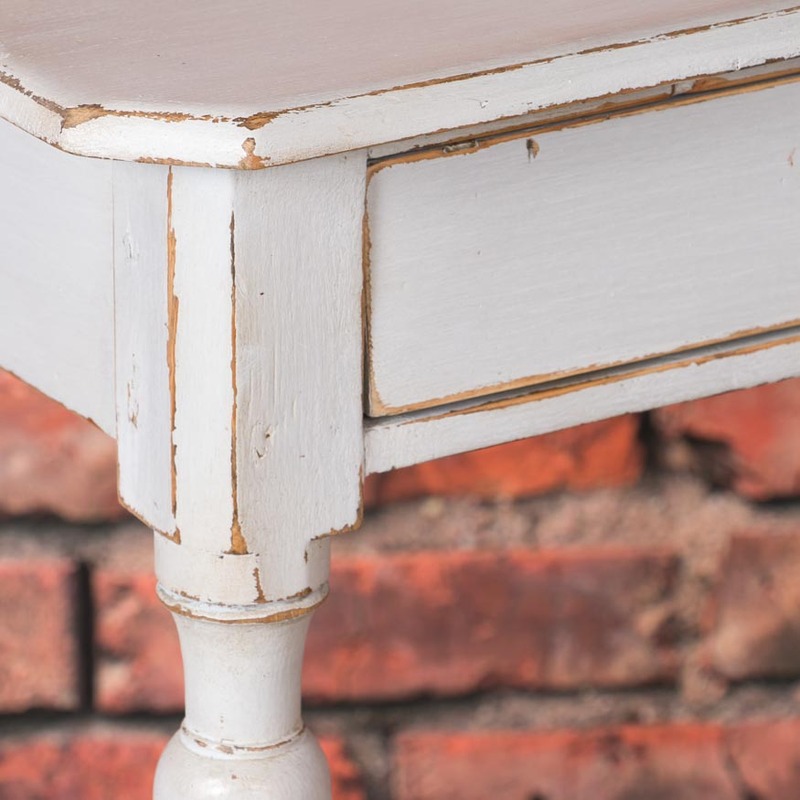 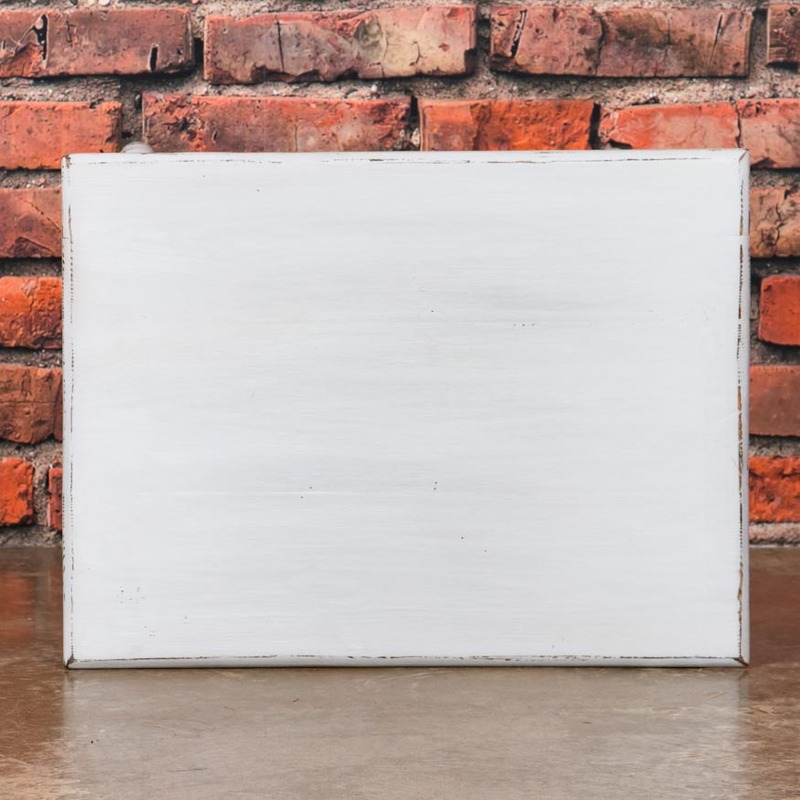 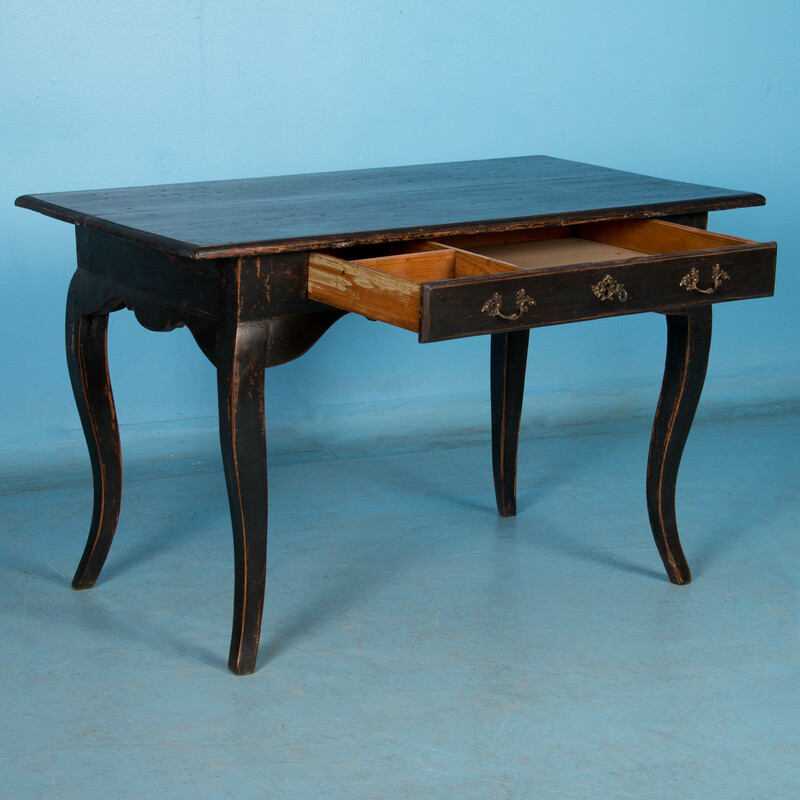 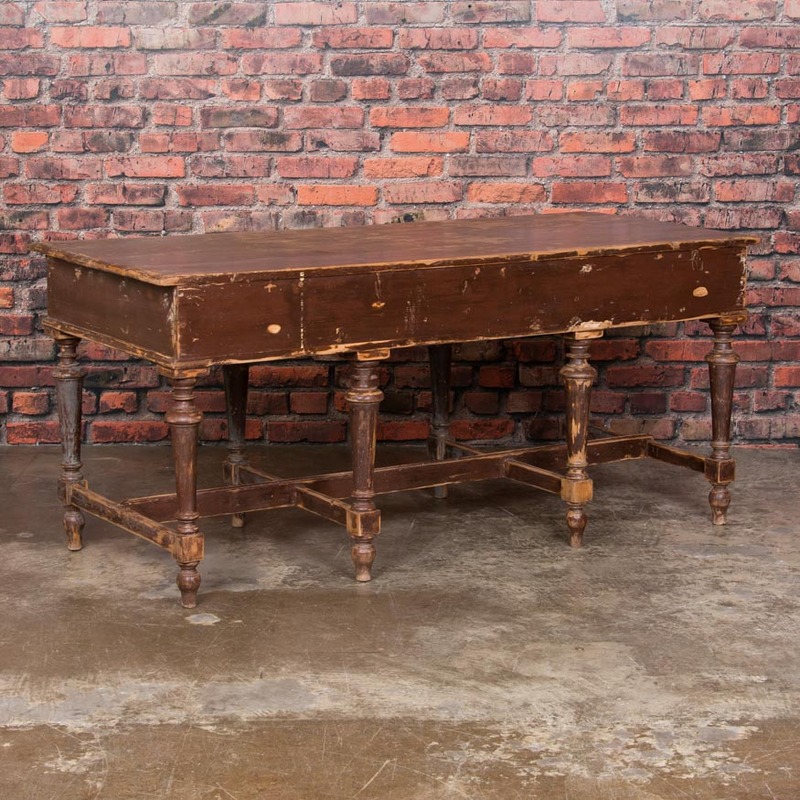 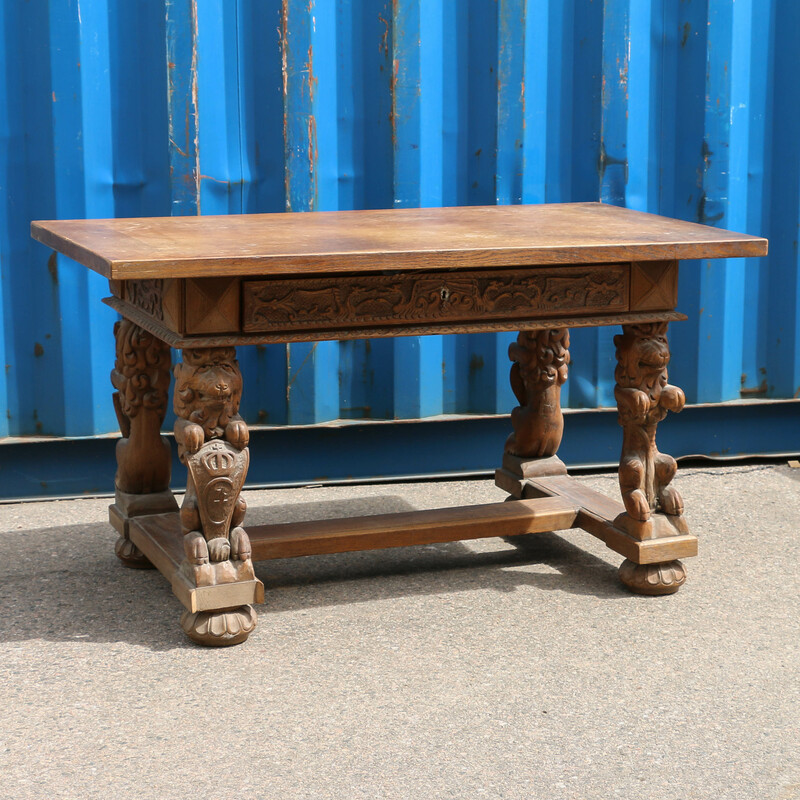 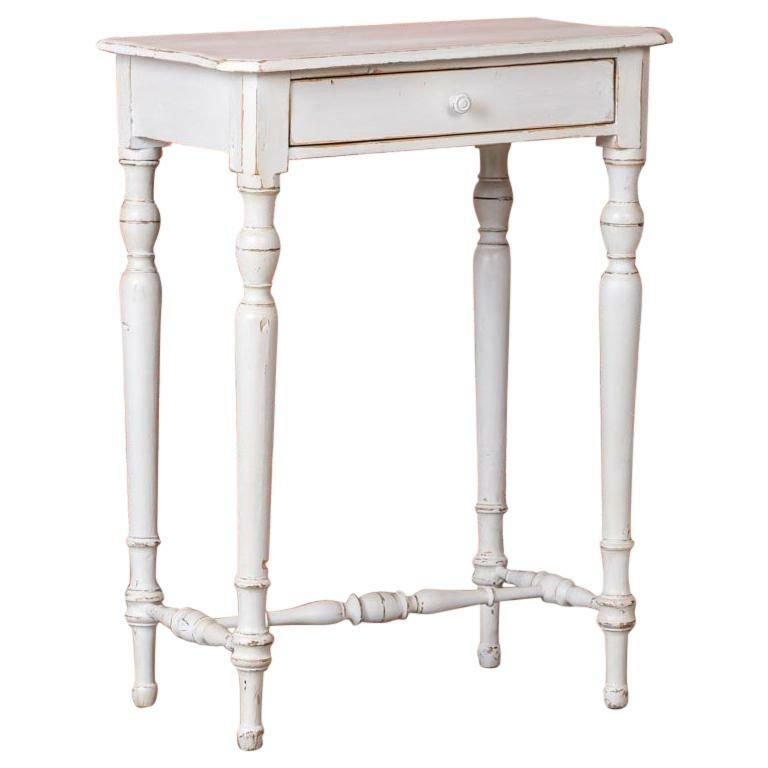 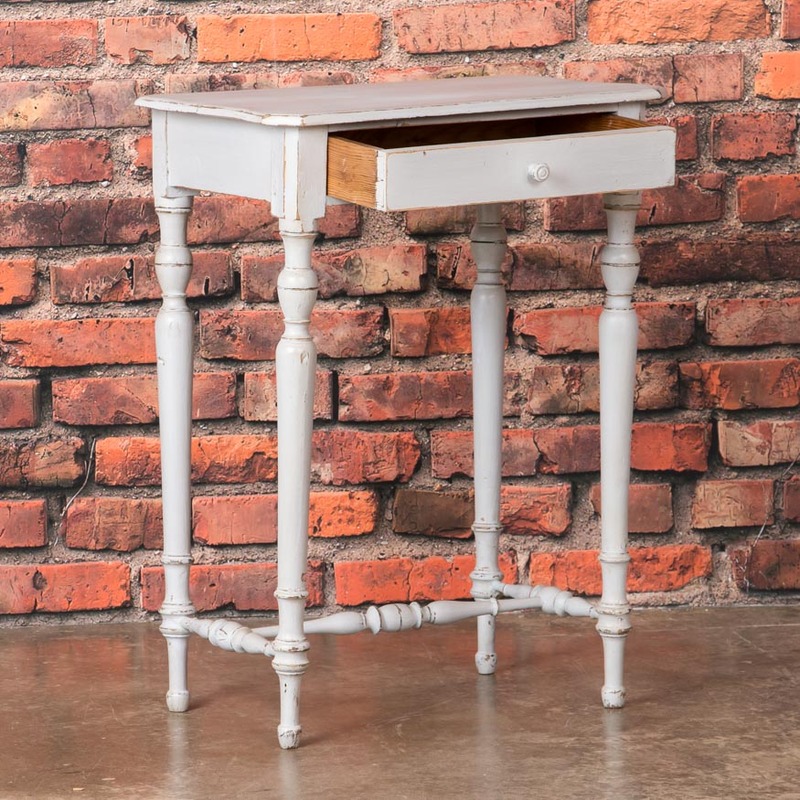 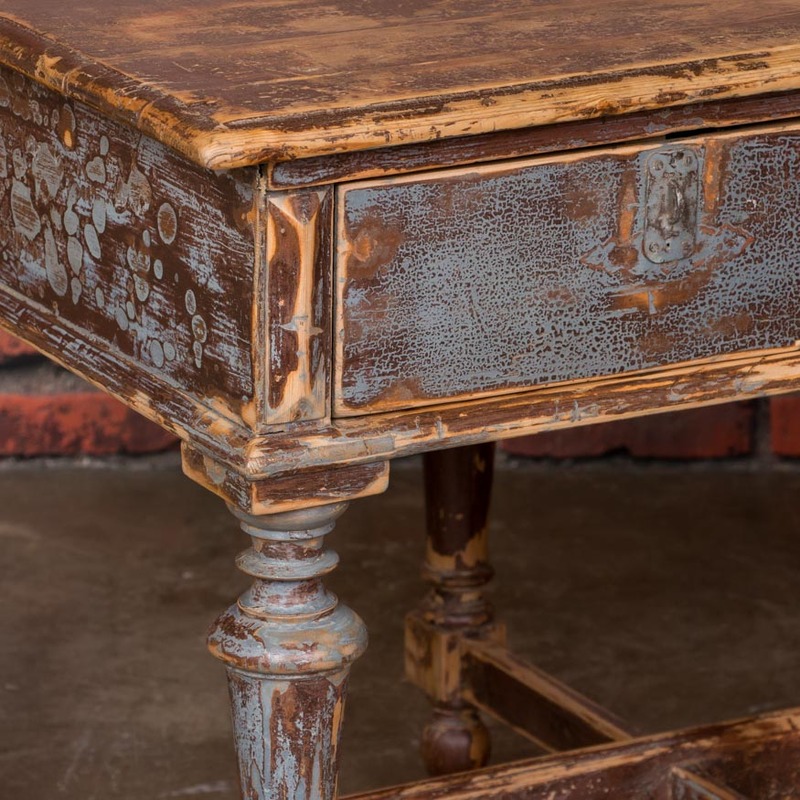 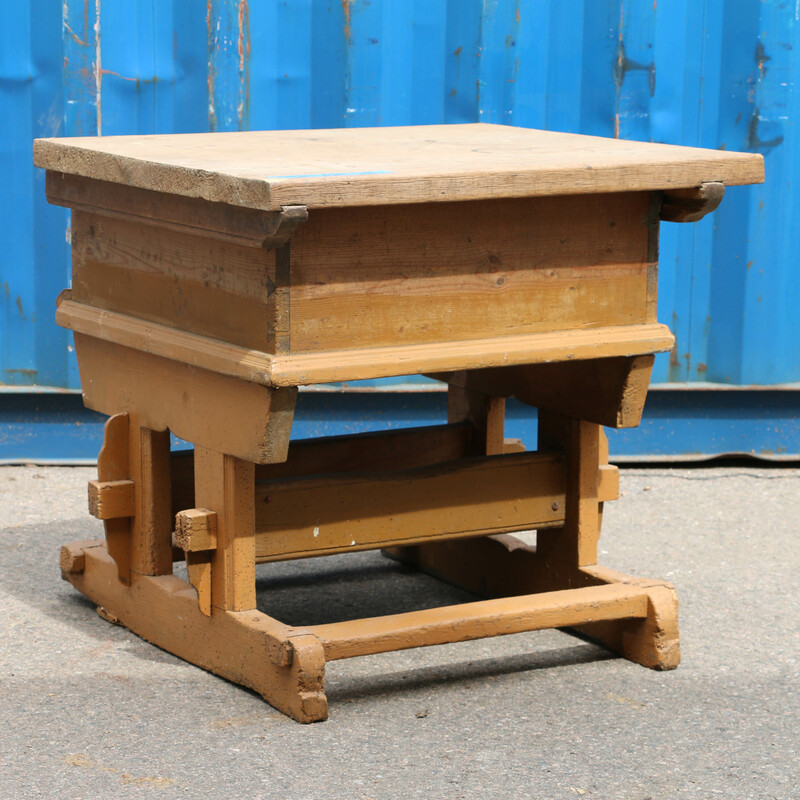 This antique work table with 8 legs, 3 drawers and original grey paint would make a great kitchen island. 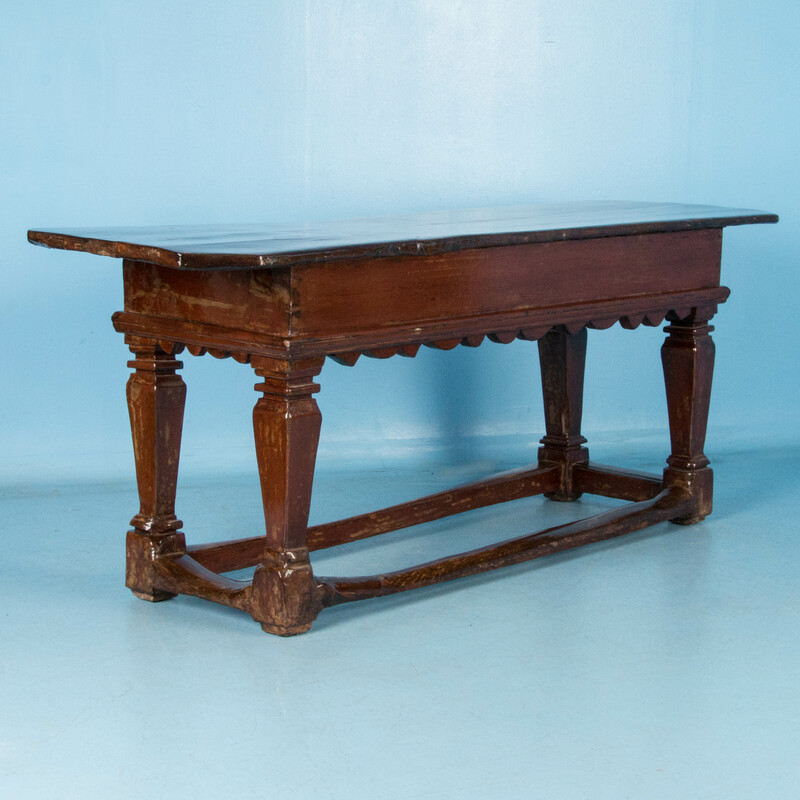 The table was made in Sweden and dates to the late 1800's. 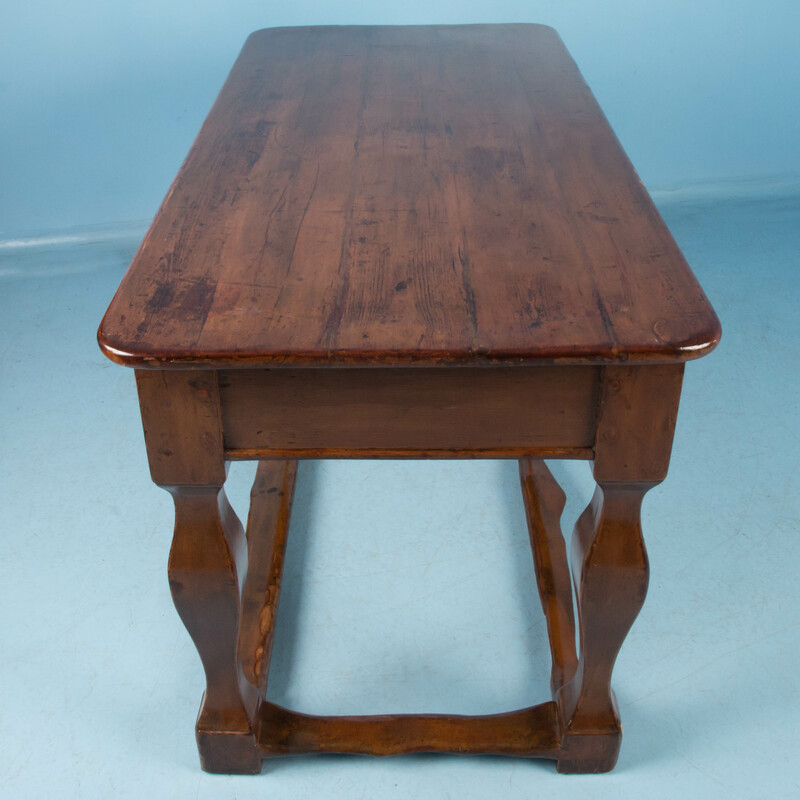 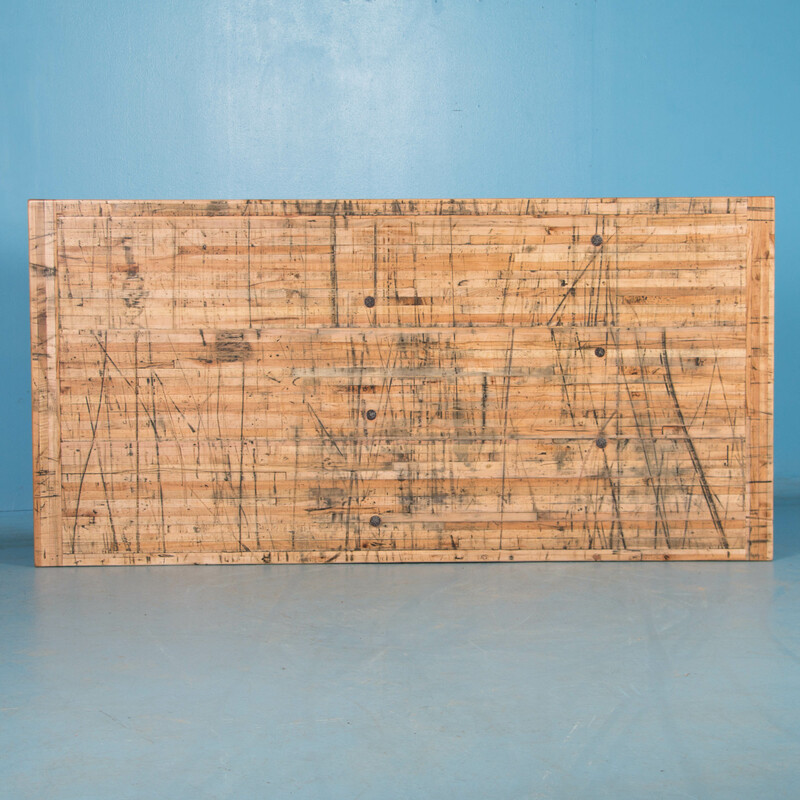 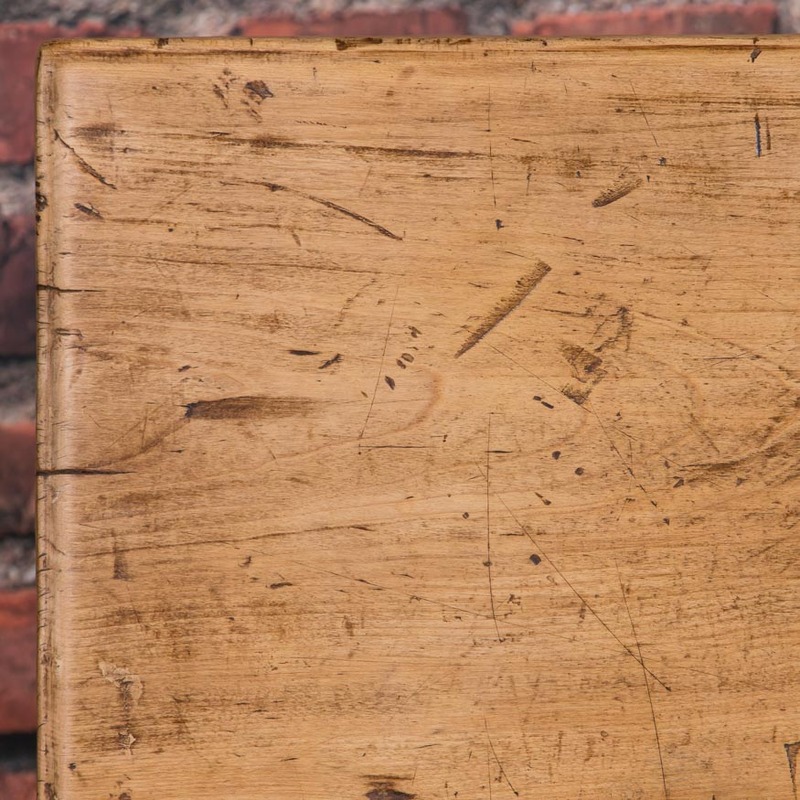 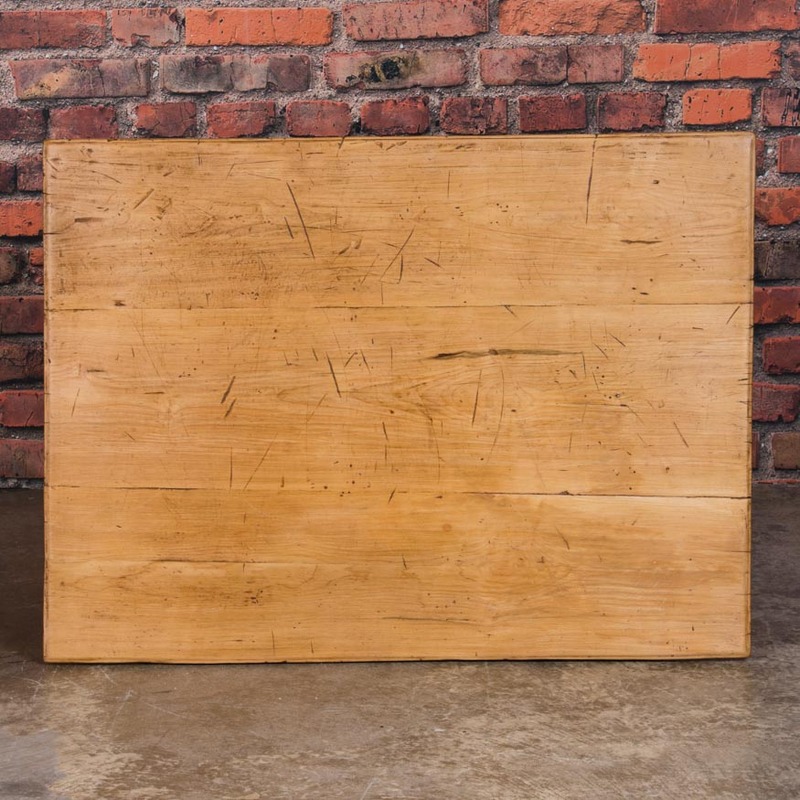 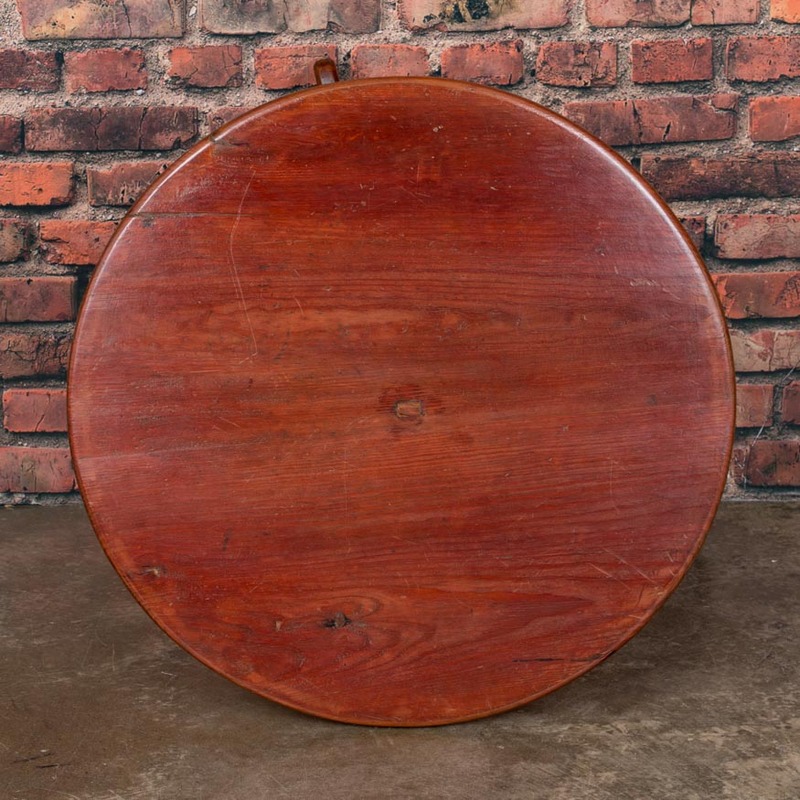 Antique Swedish Pine Trestle Table, circa 1940. 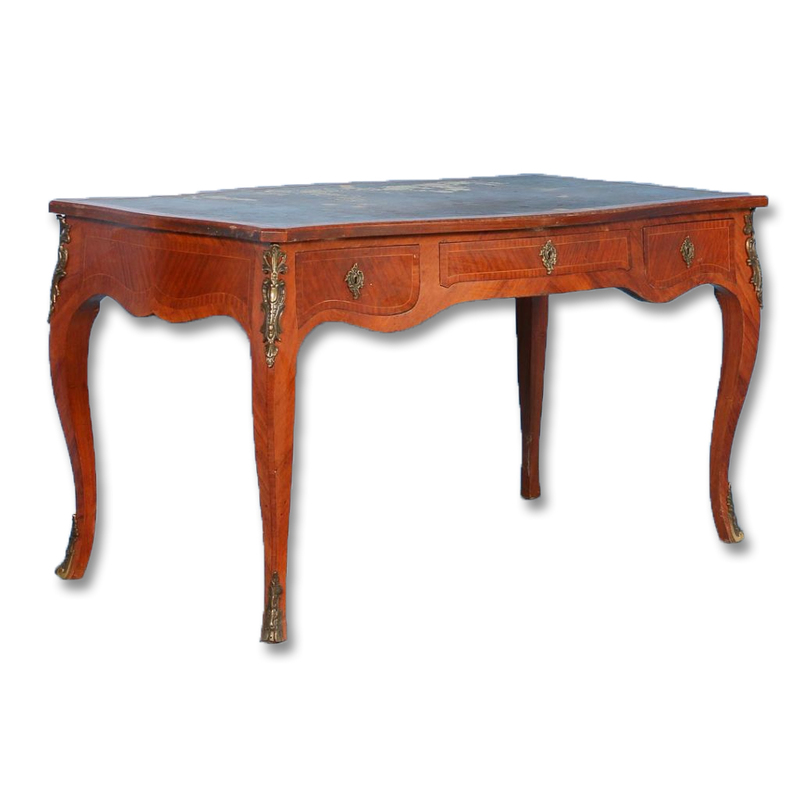 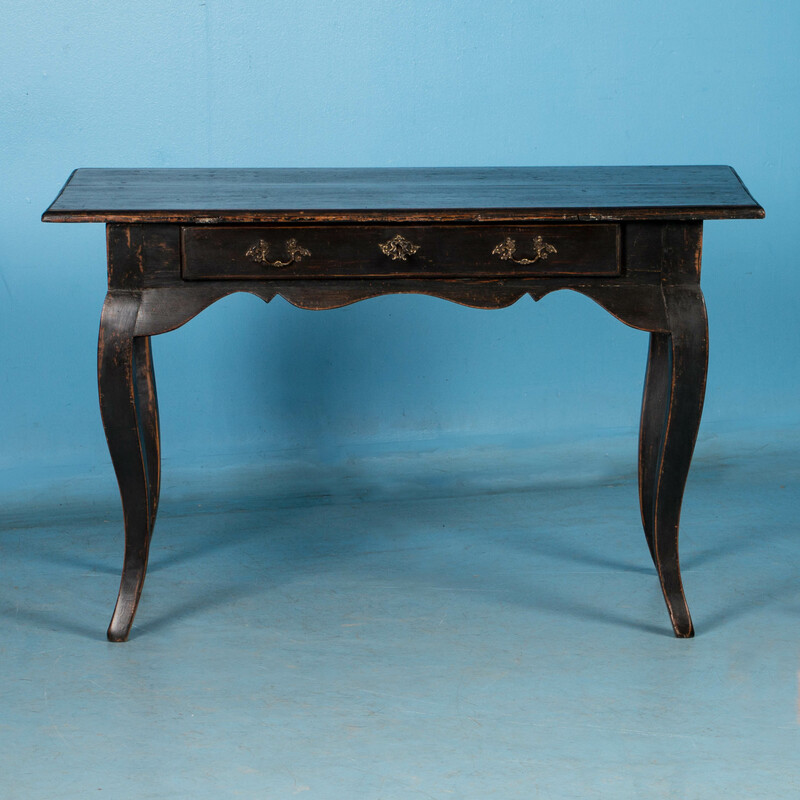 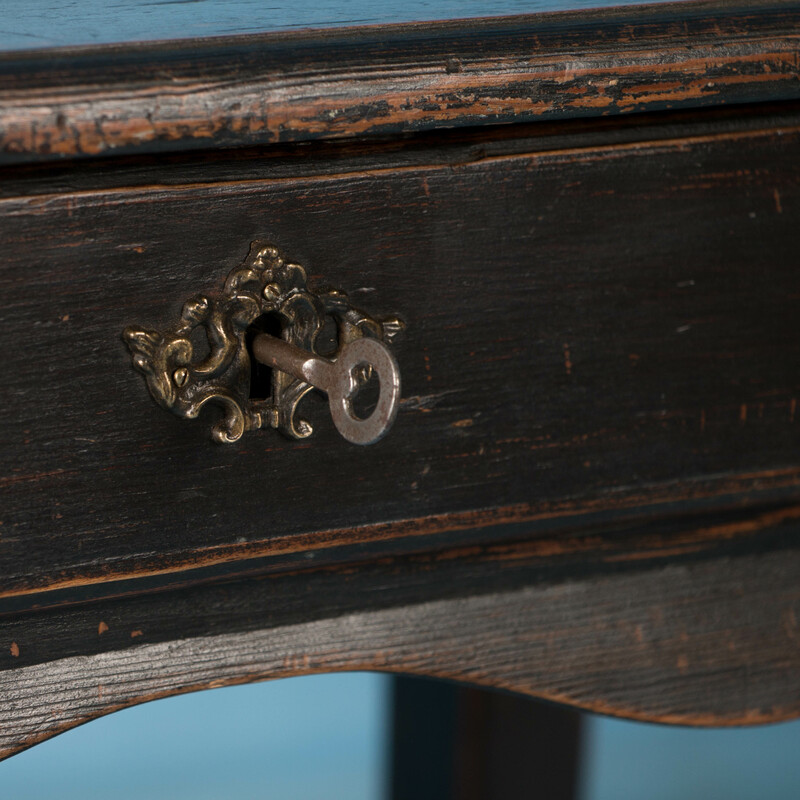 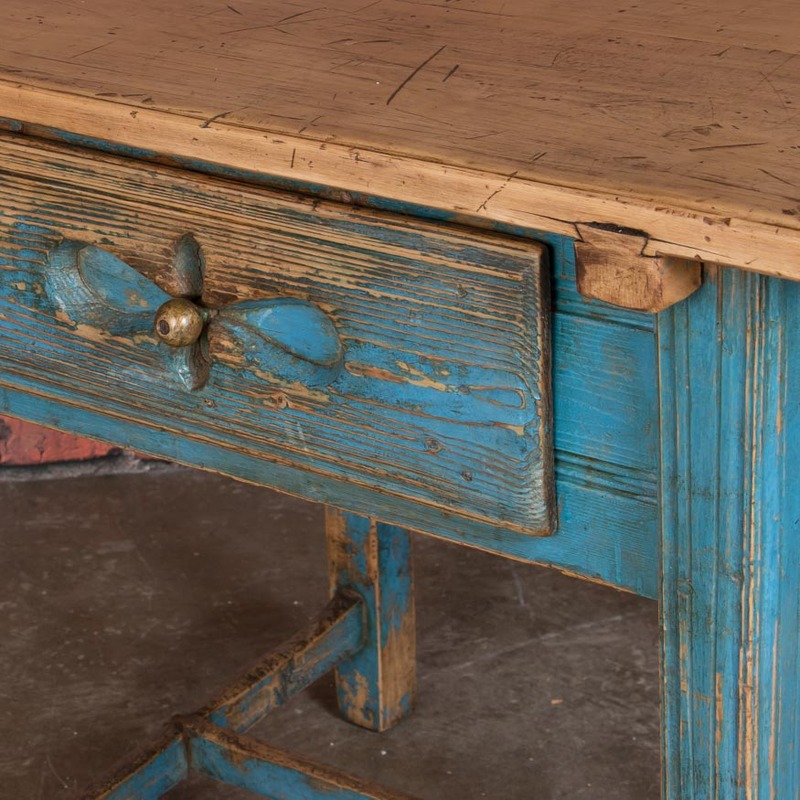 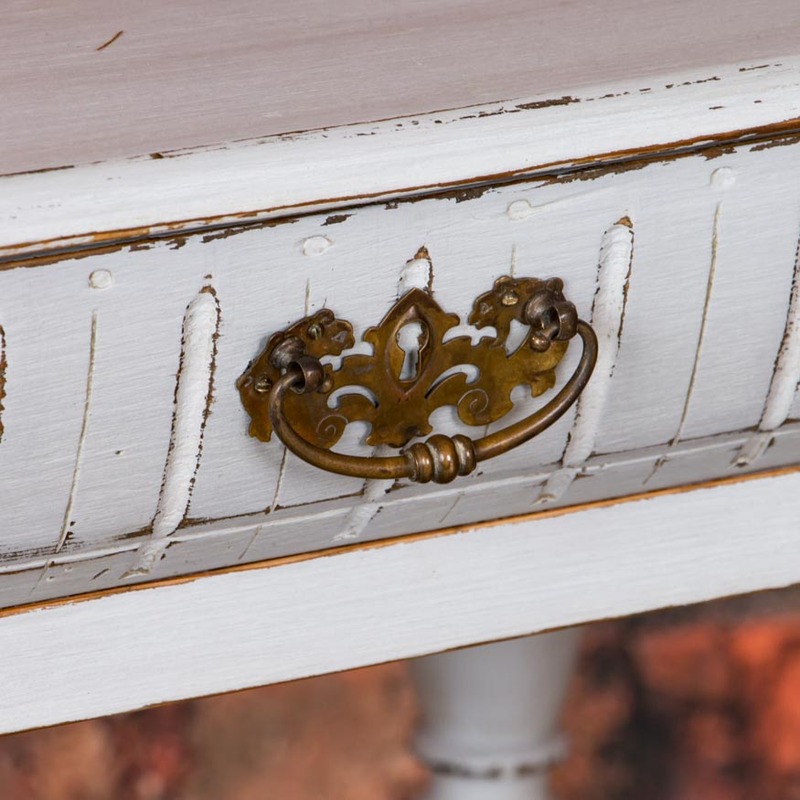 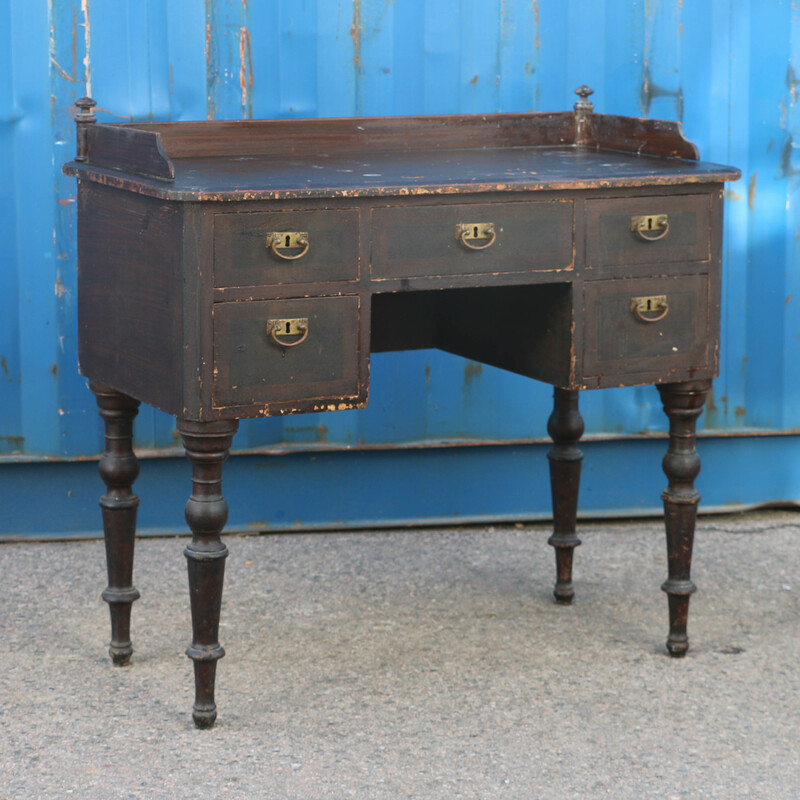 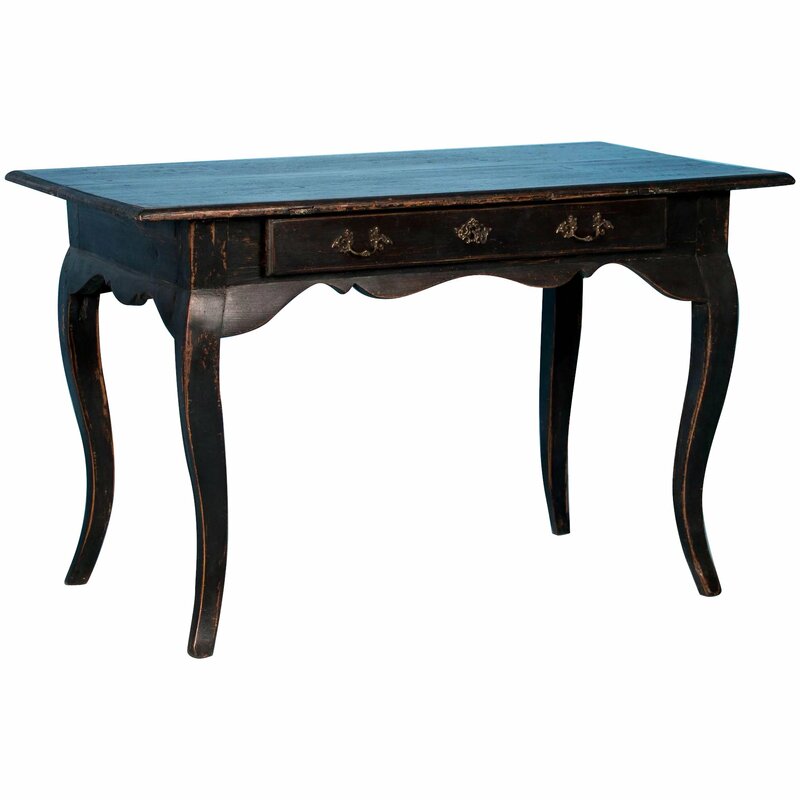 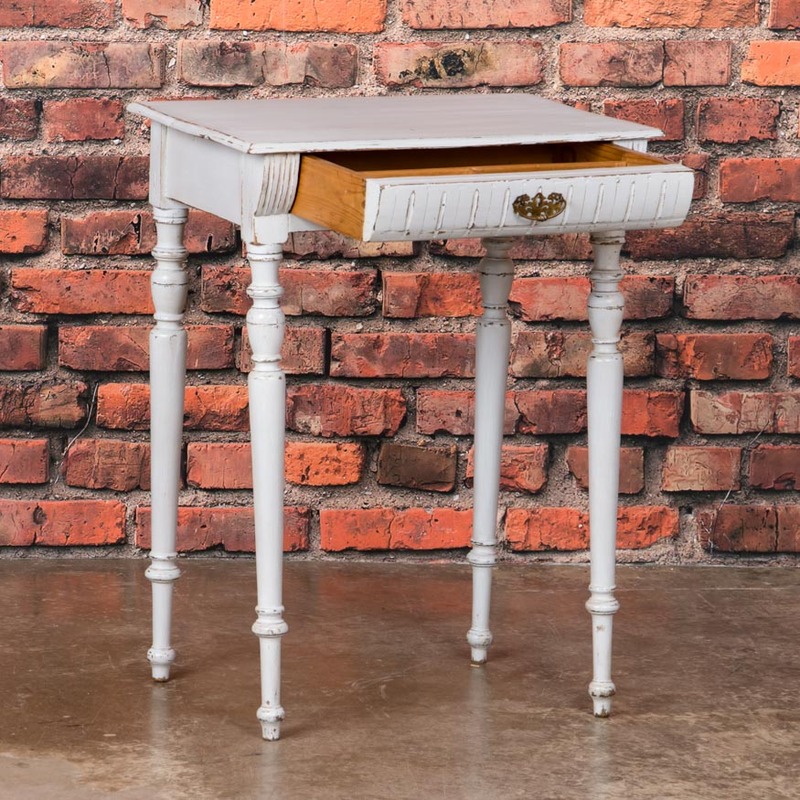 Beautiful English campaign style Desk with brass drawer pulls, brass casters and threaded legs that unscrew from the top. 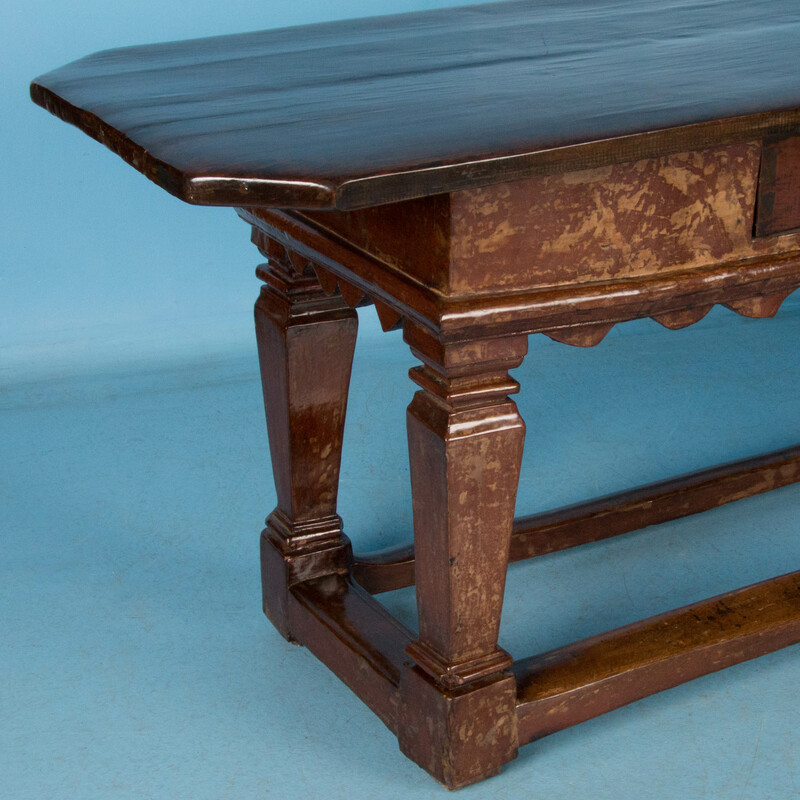 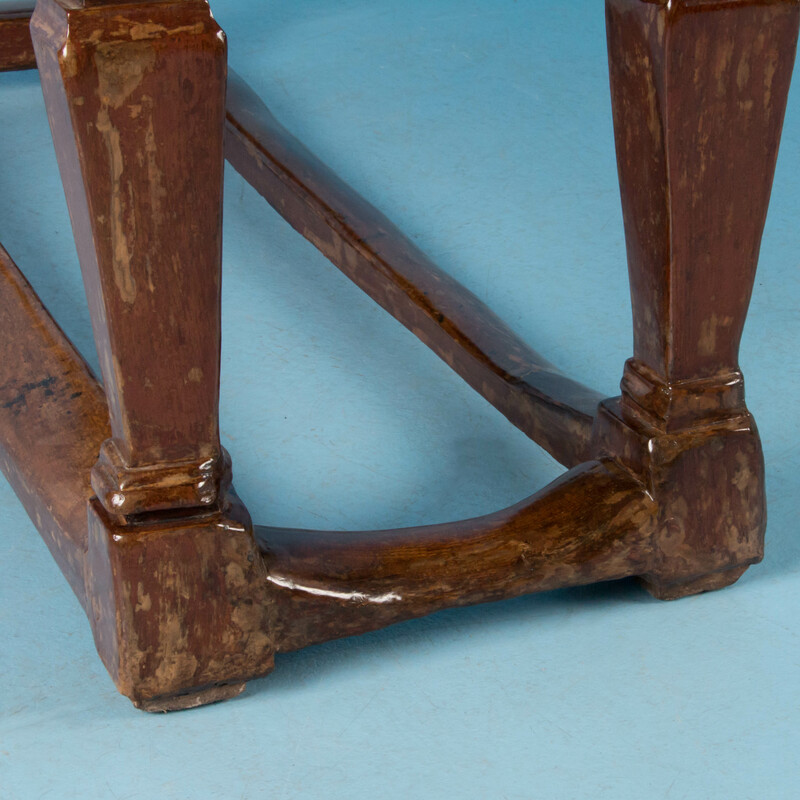 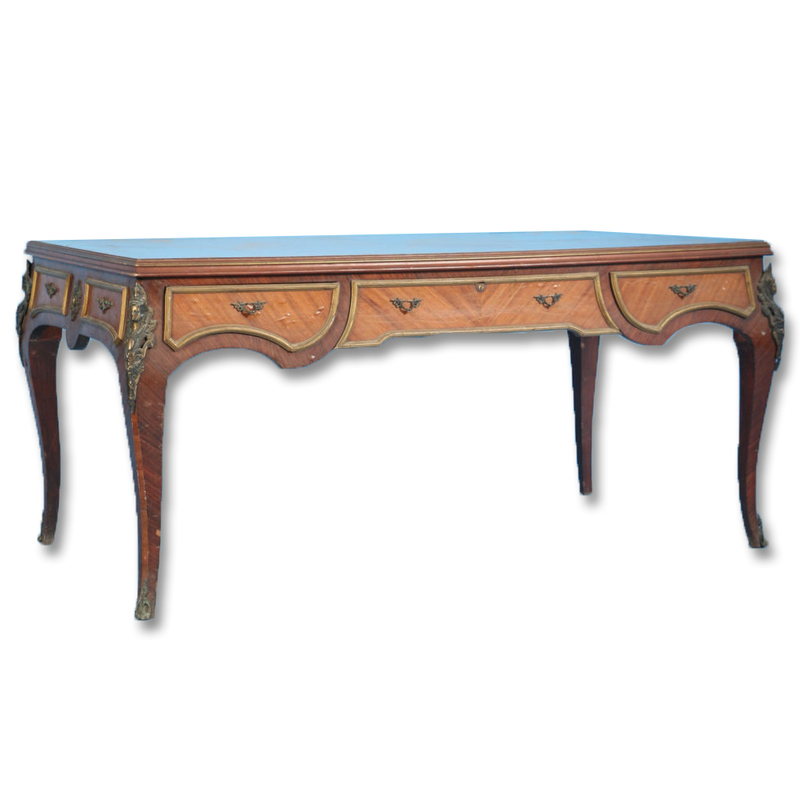 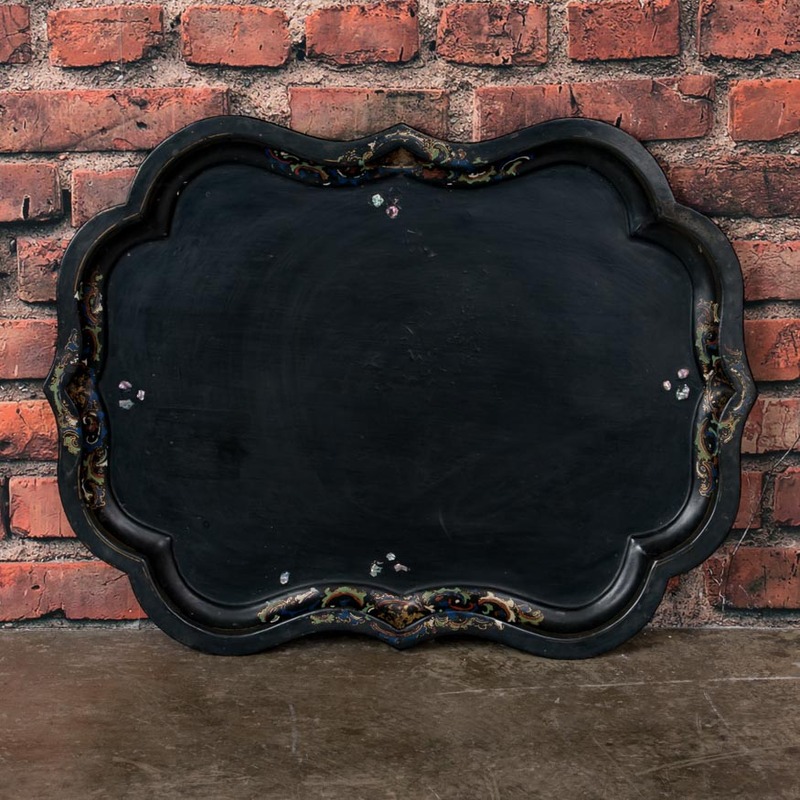 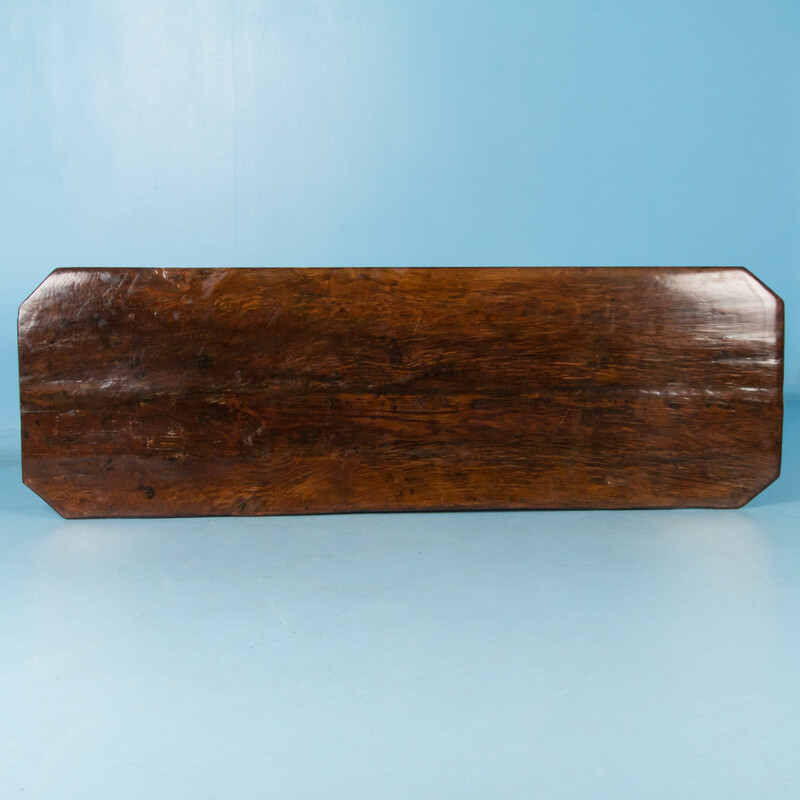 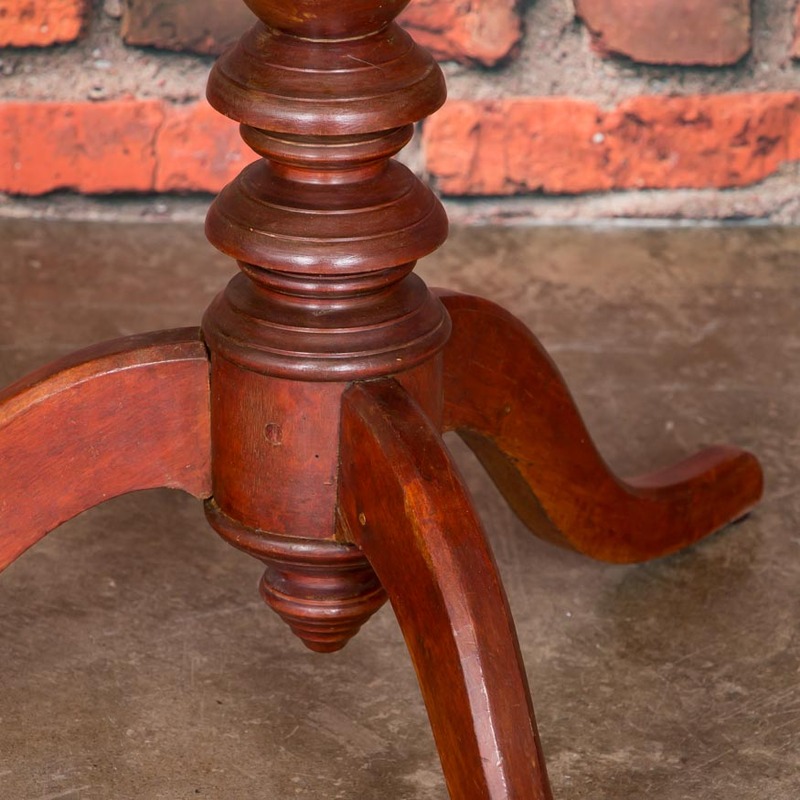 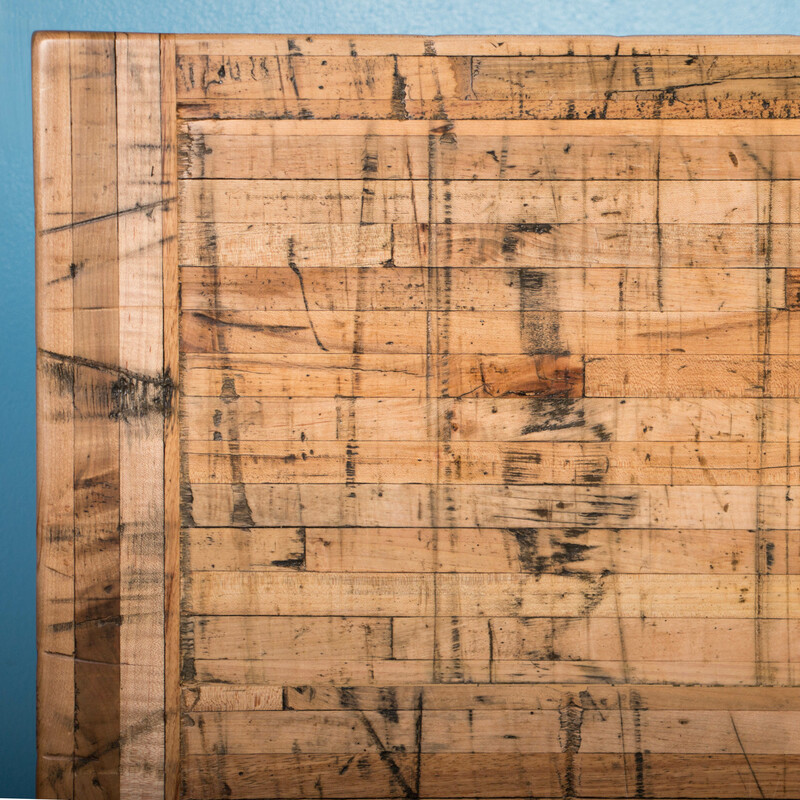 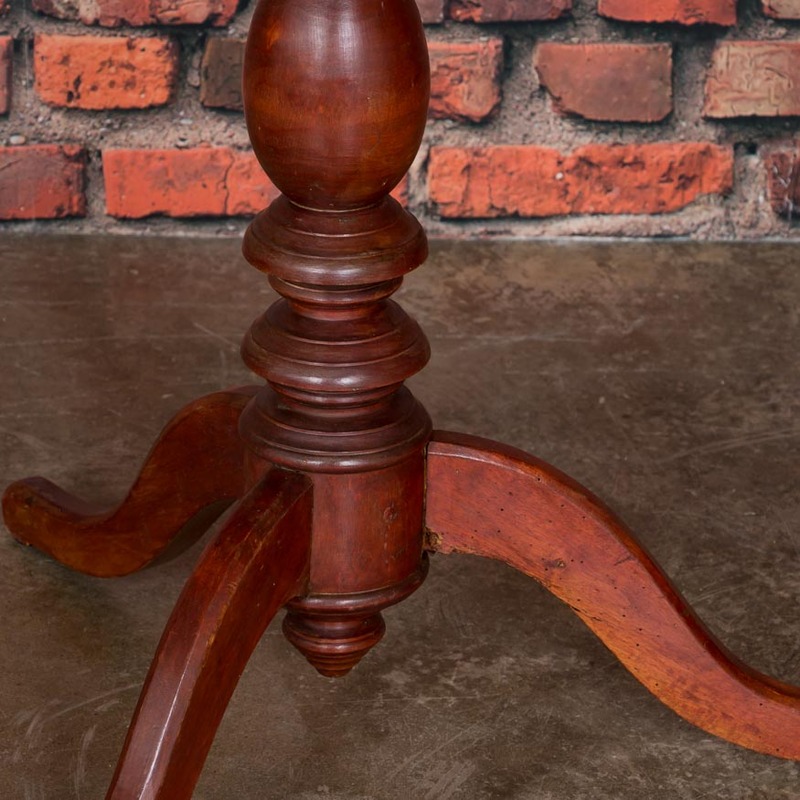 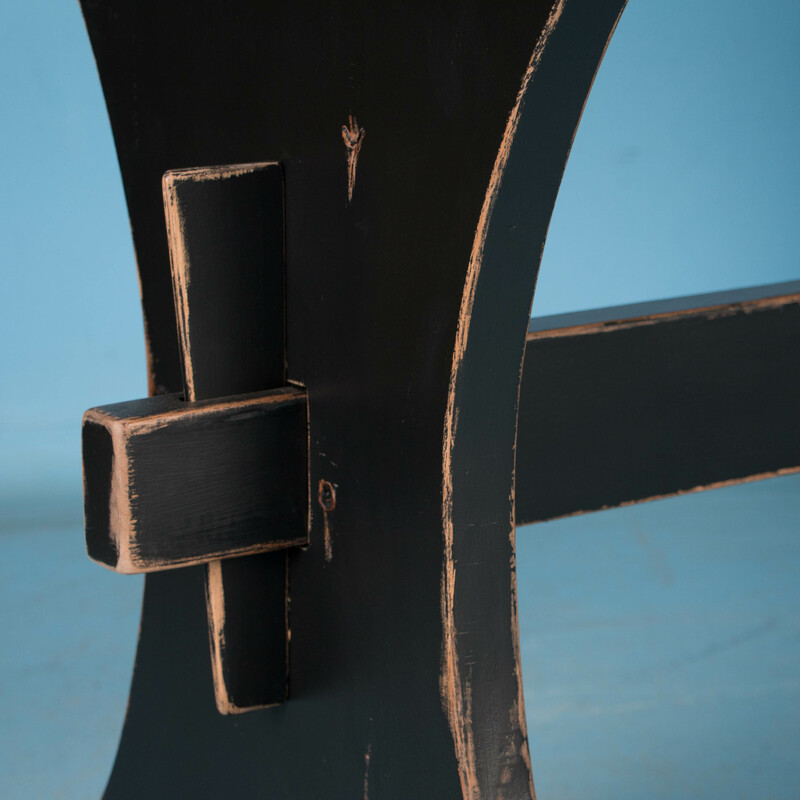 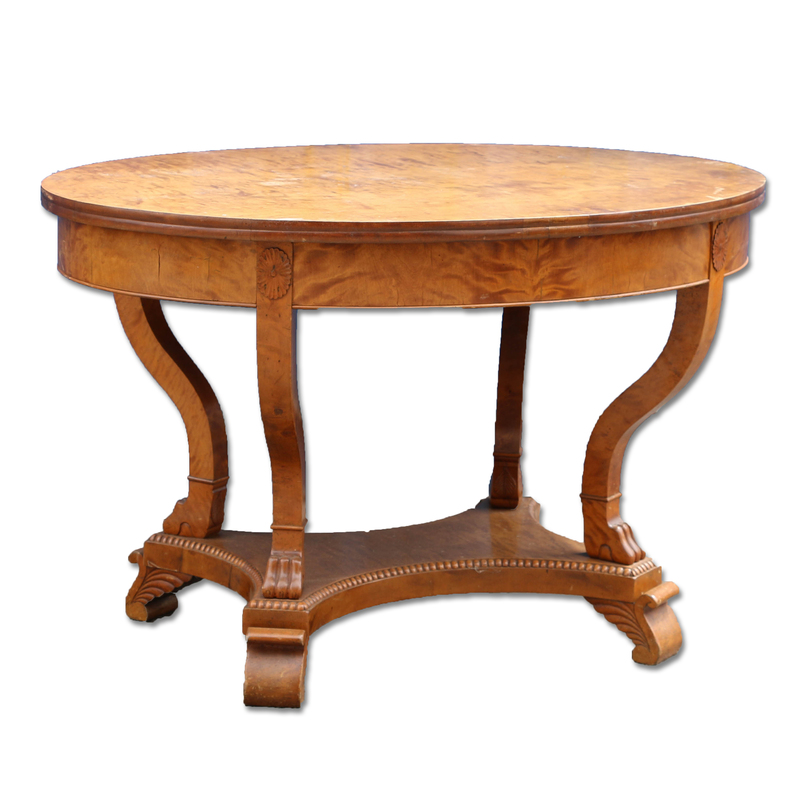 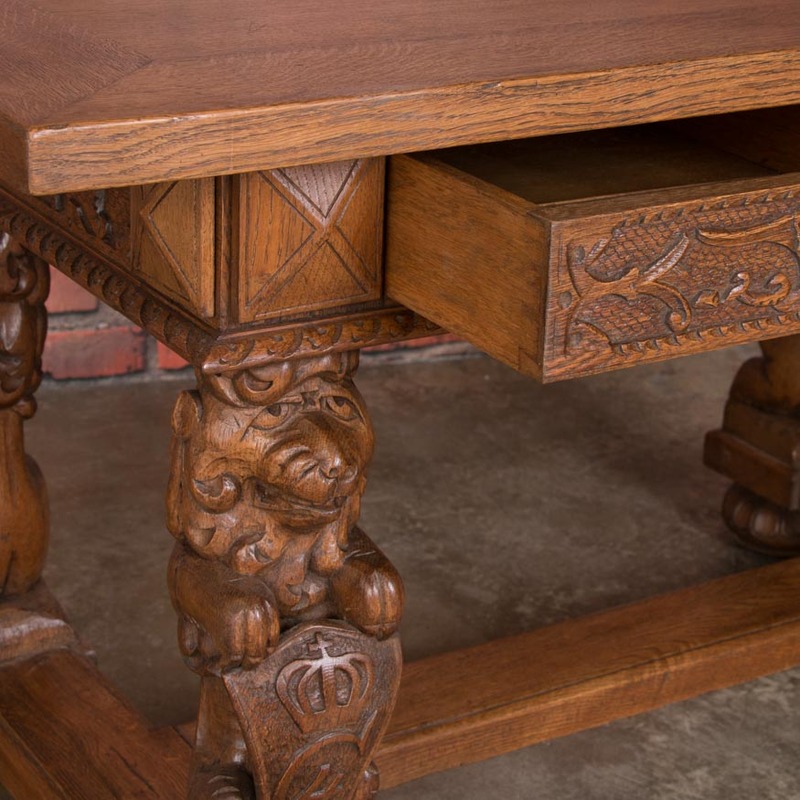 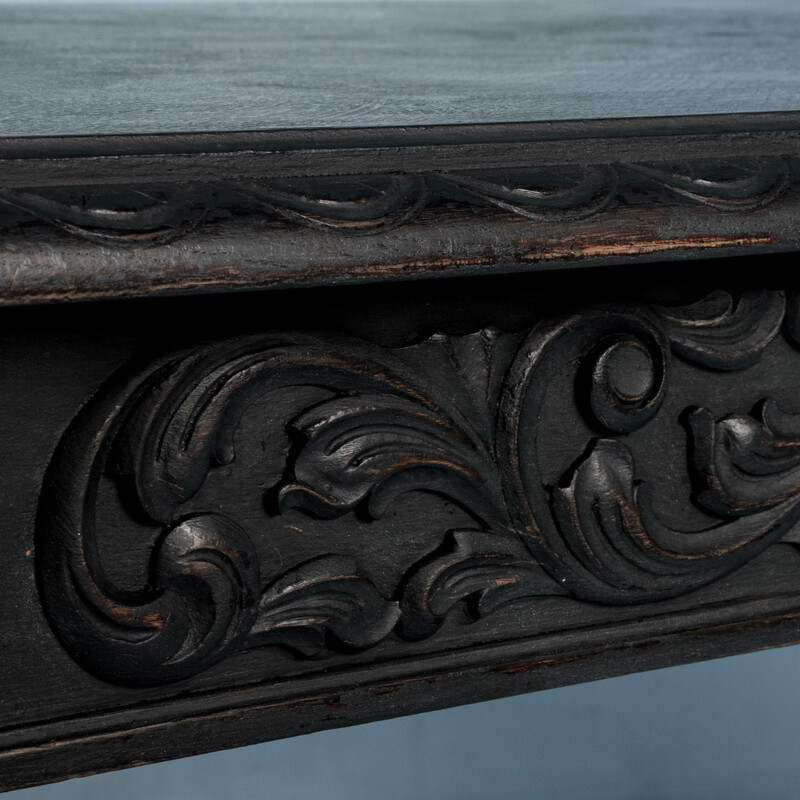 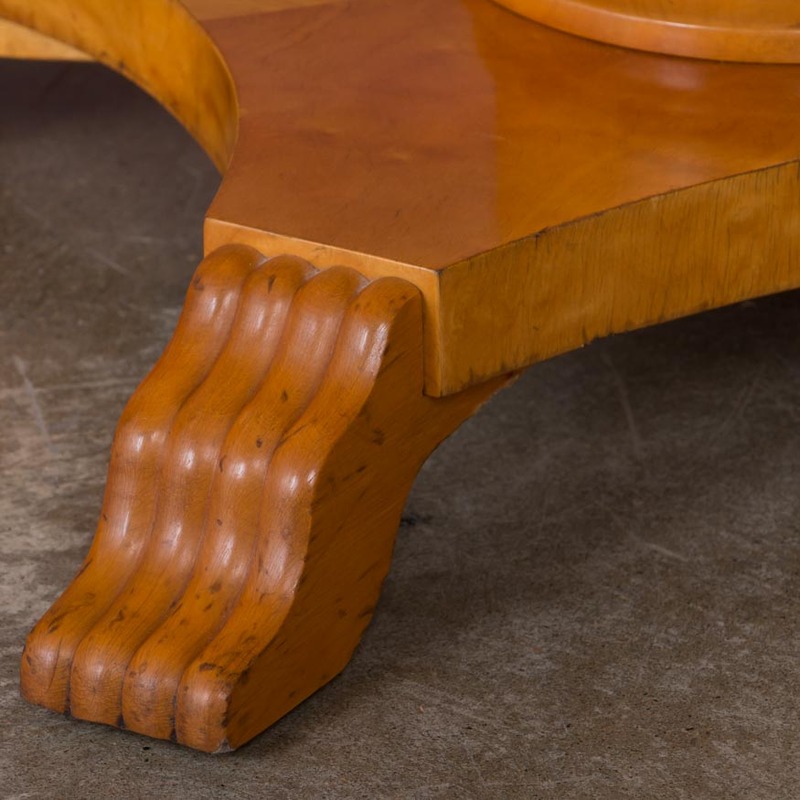 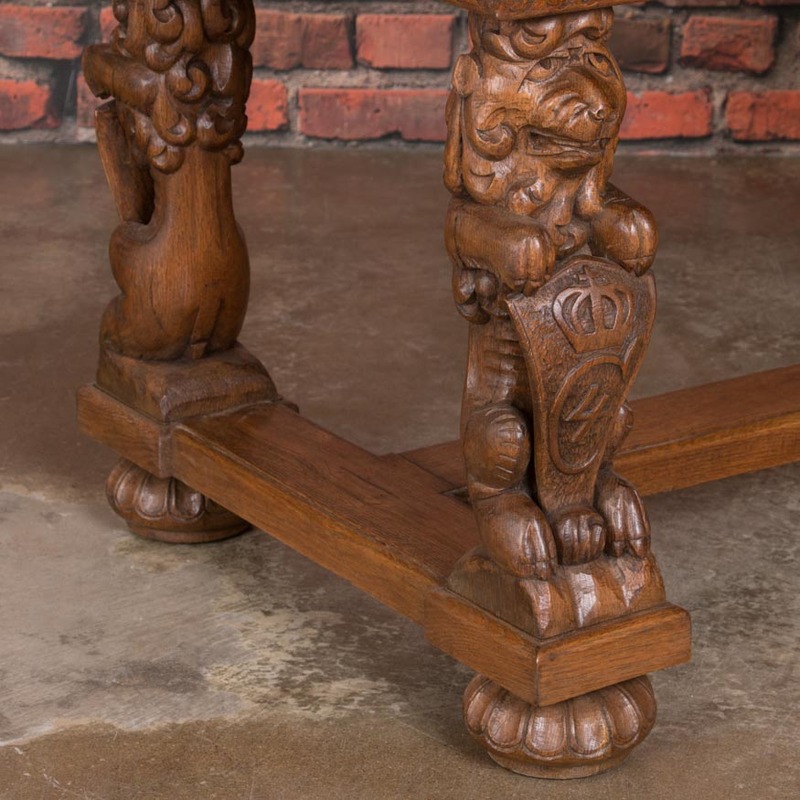 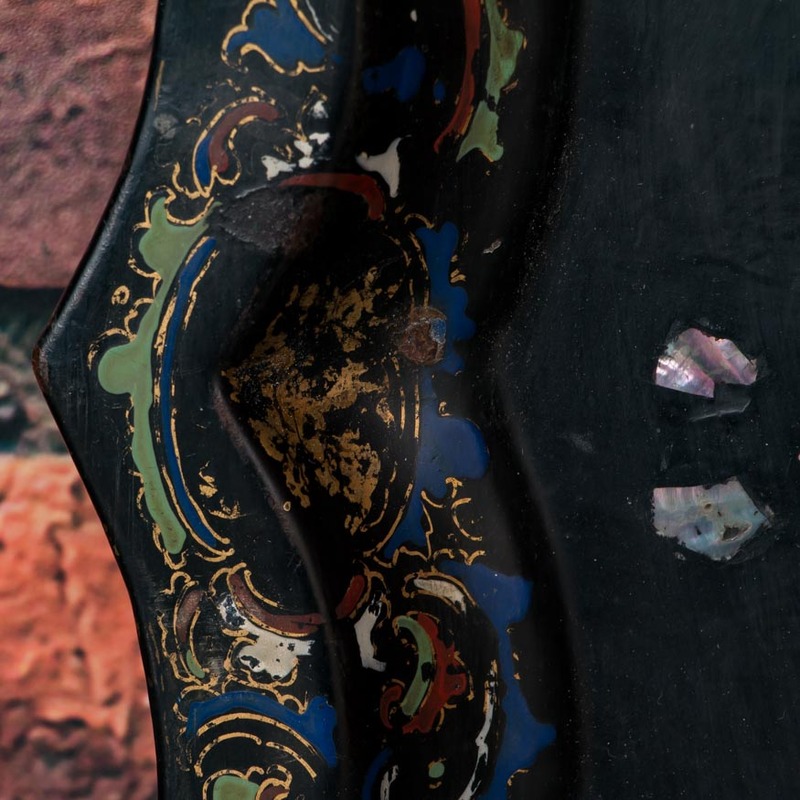 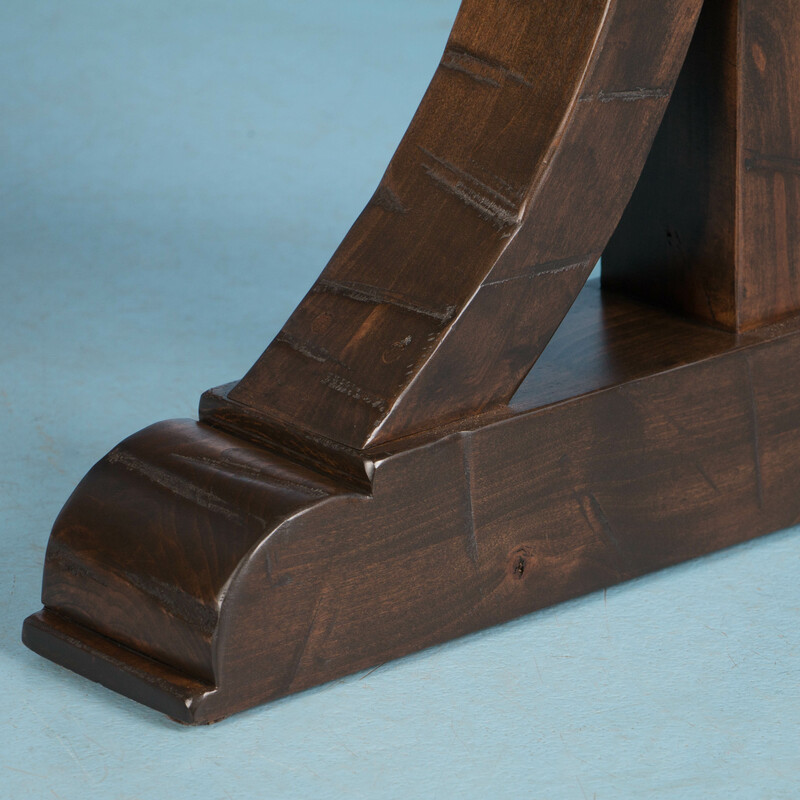 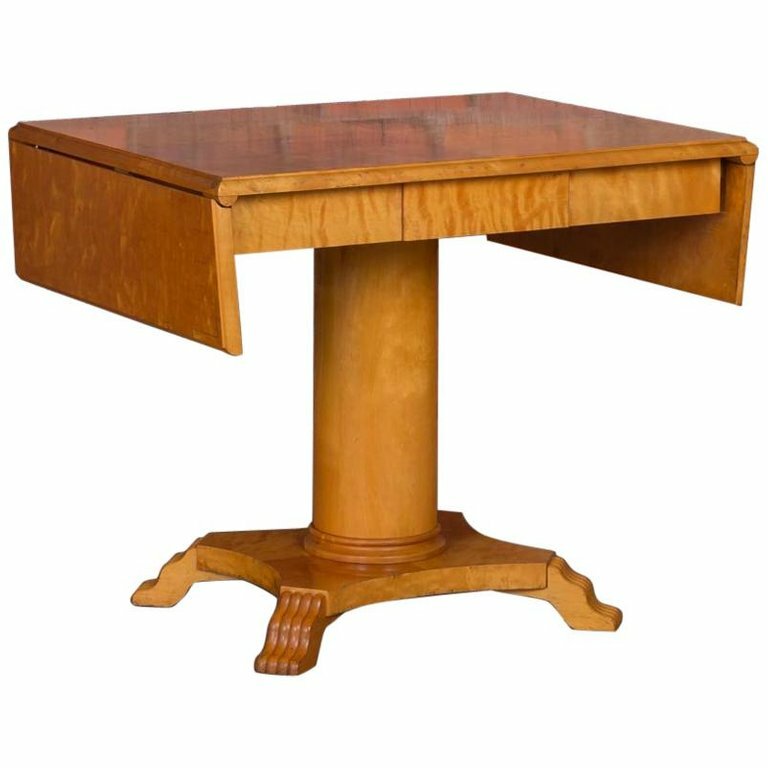 Constructed of elm, a mahogany colored finish has been applied to the wood. 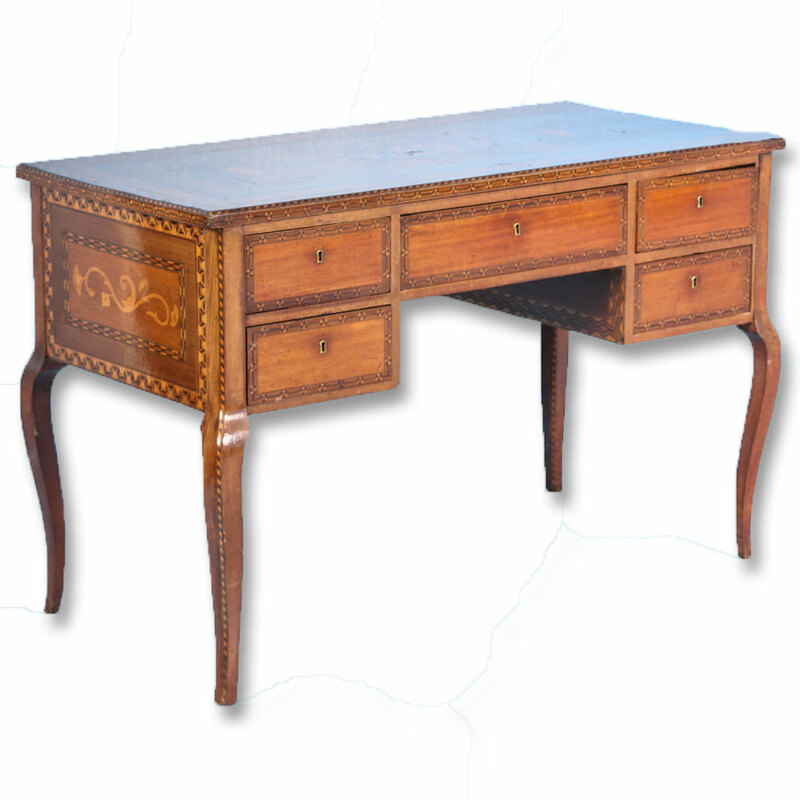 This is a lovely and elegant French antique bureau plat or writing table, with a variety of veneers and brass hardware on 3 working drawers.